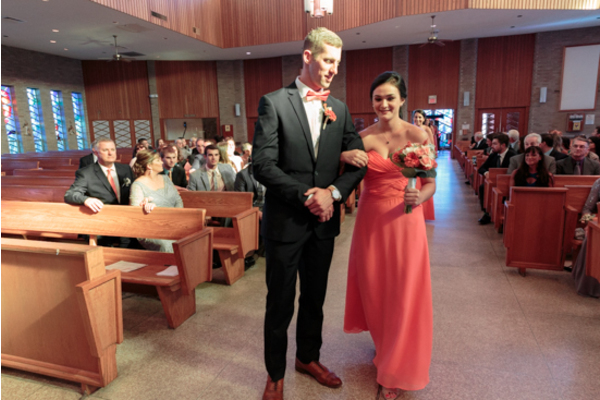 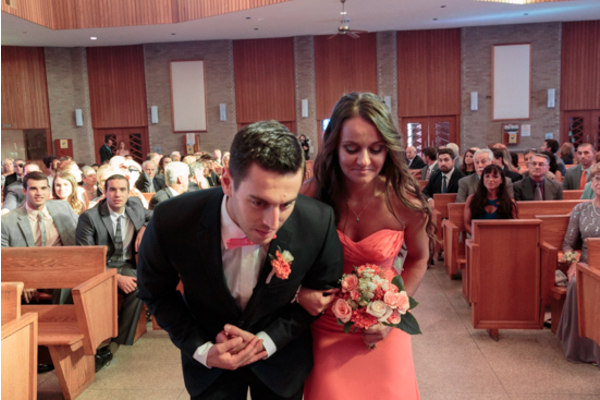 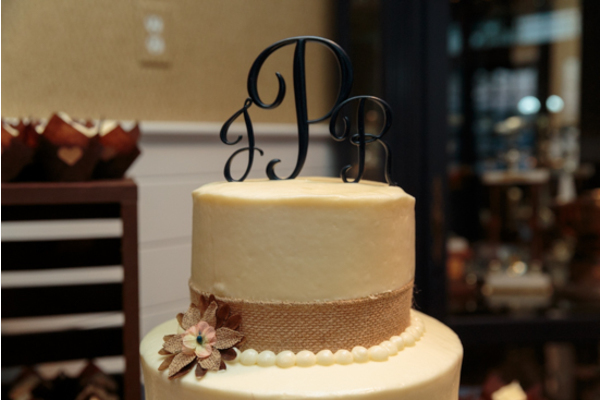 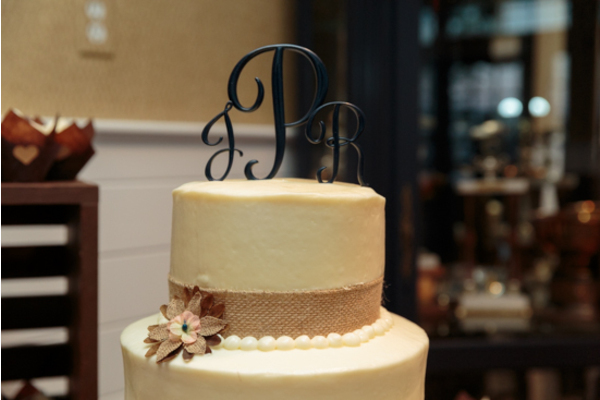 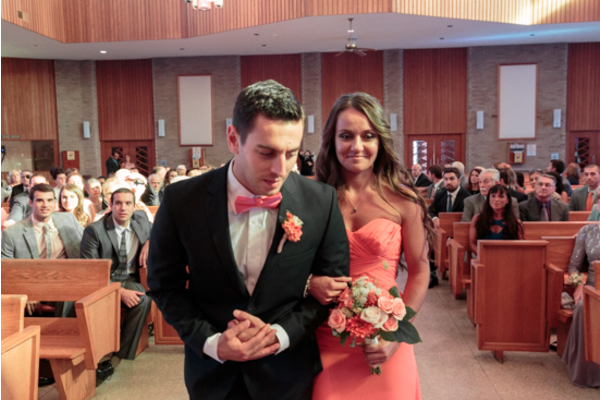 Congratulations to Rebecca and Justin for tying the knot. 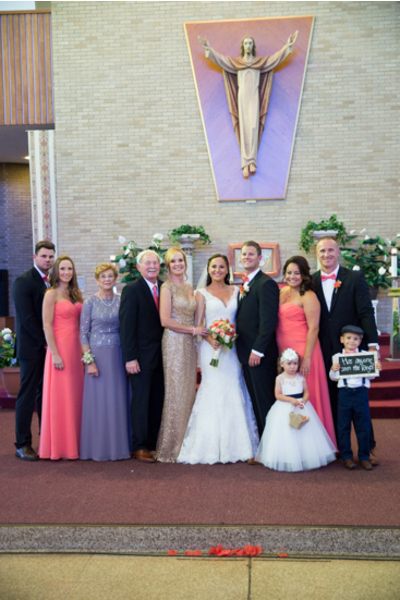 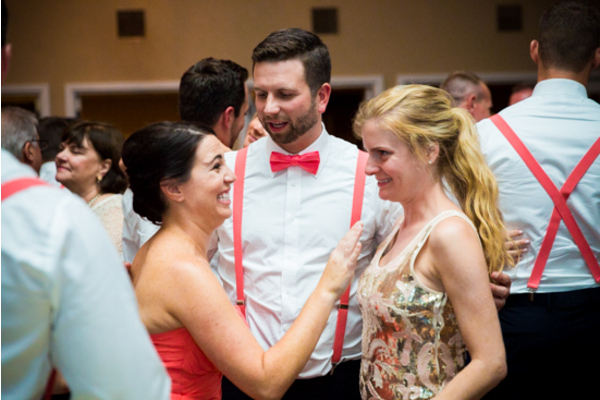 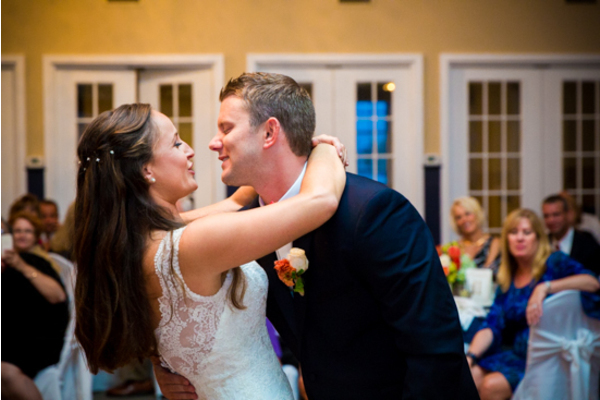 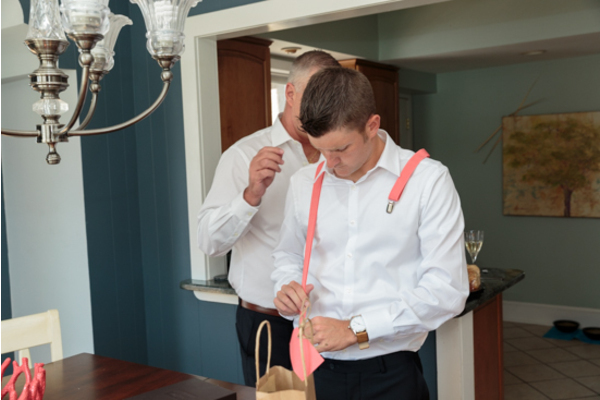 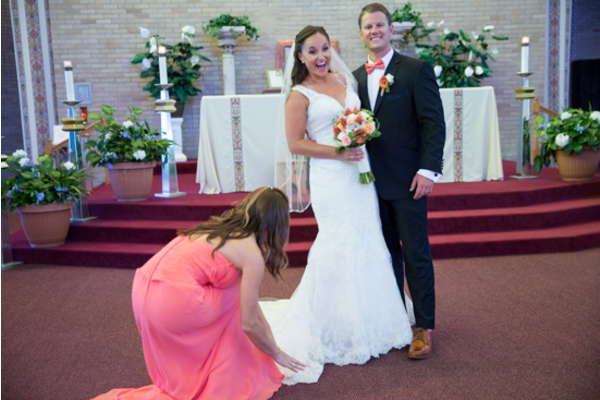 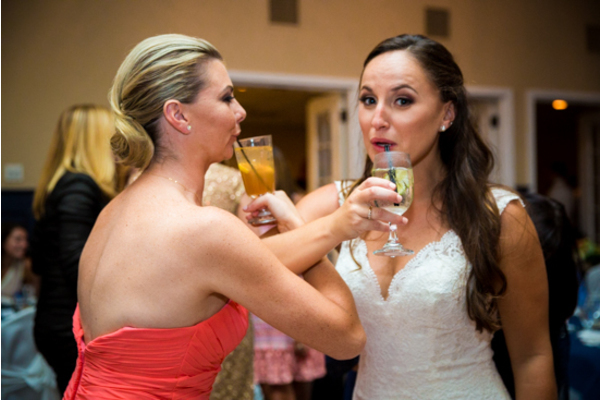 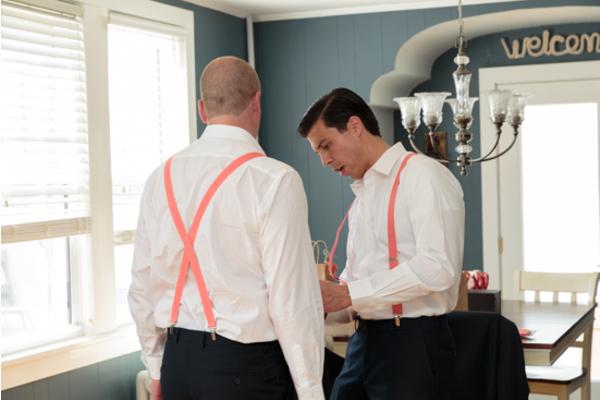 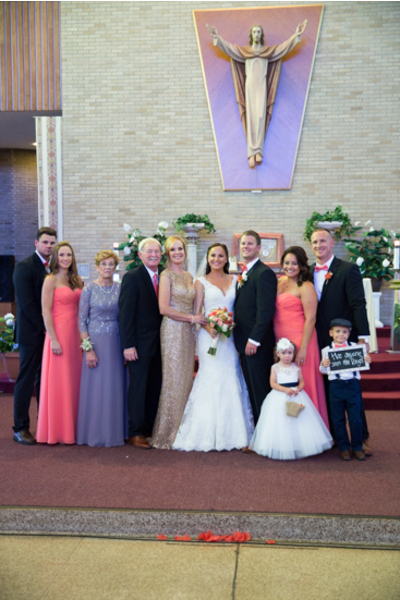 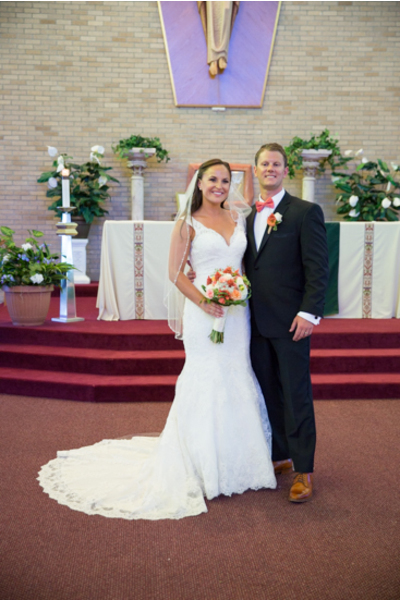 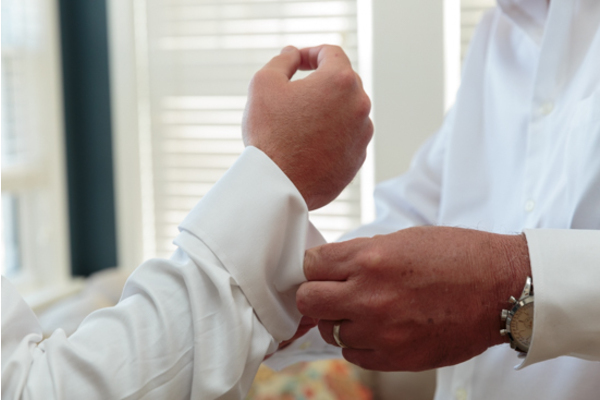 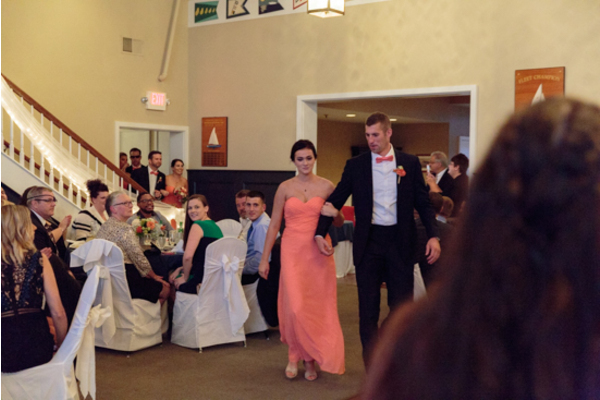 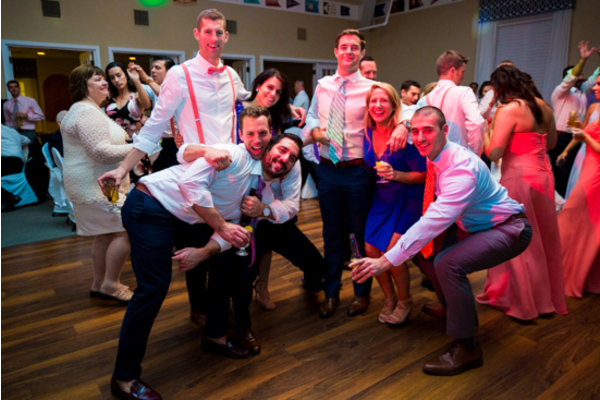 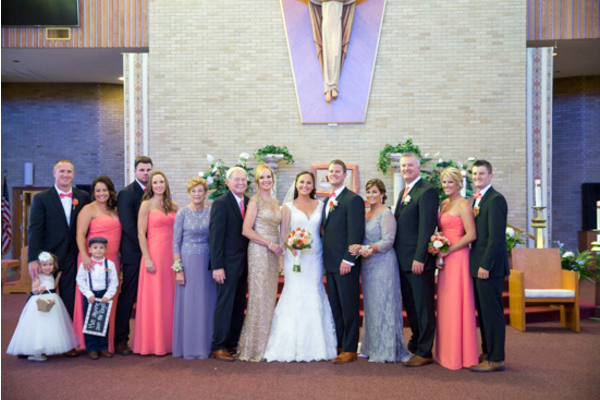 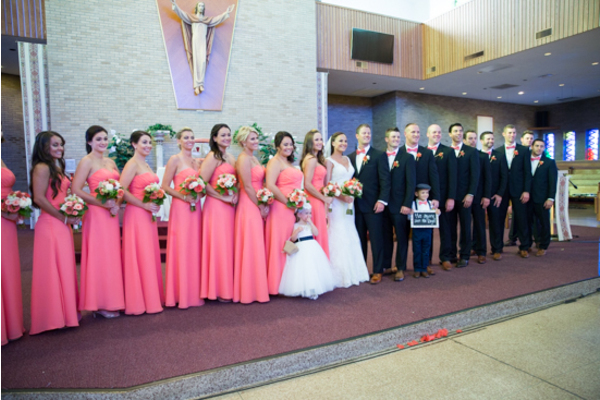 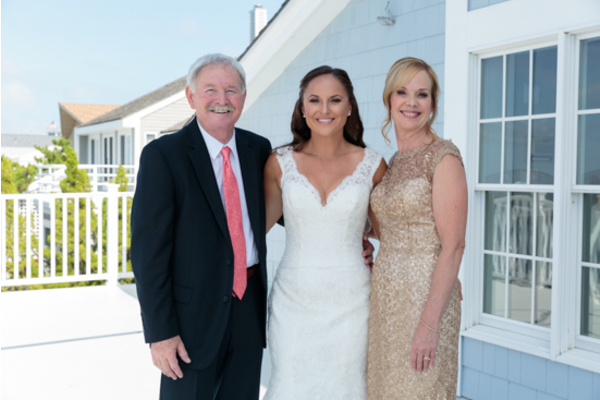 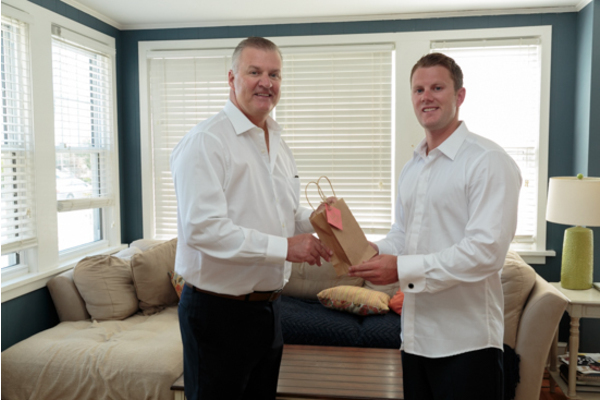 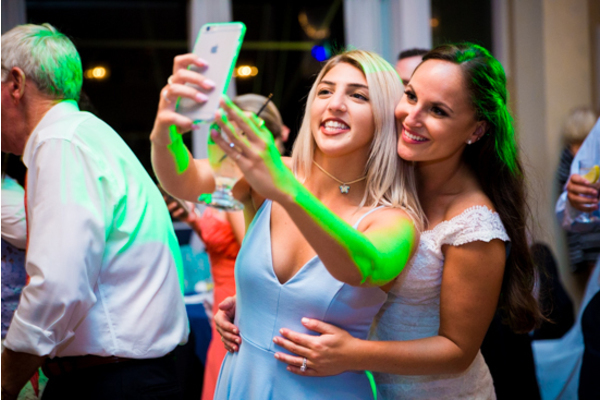 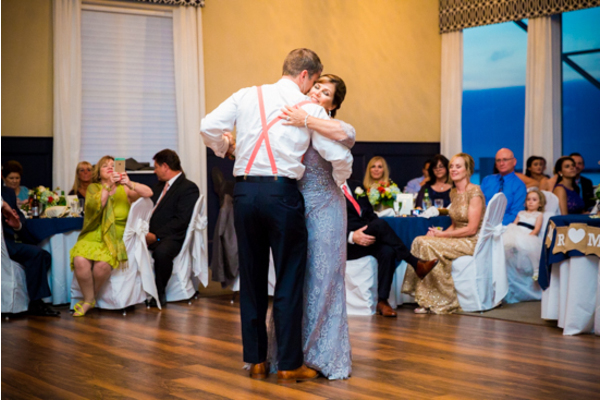 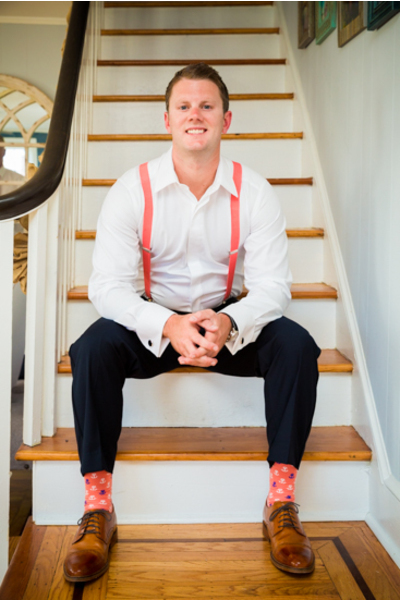 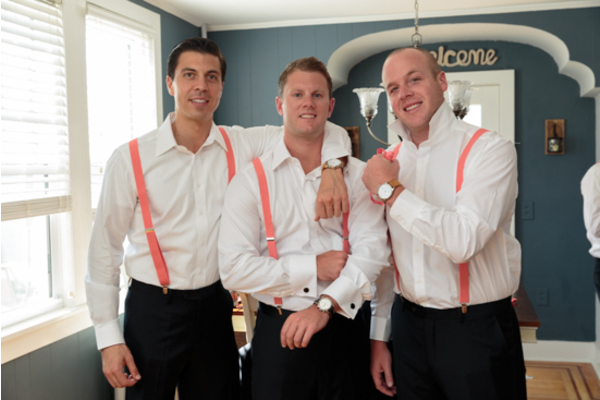 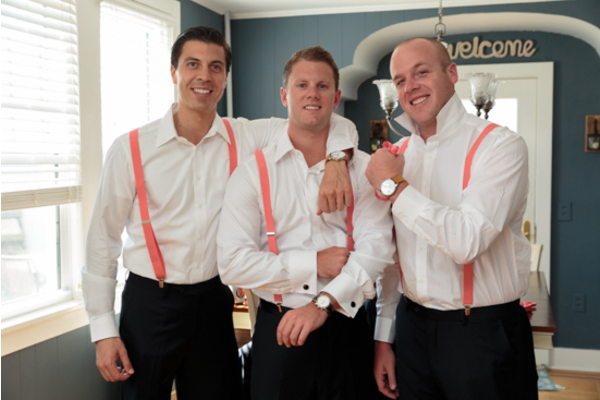 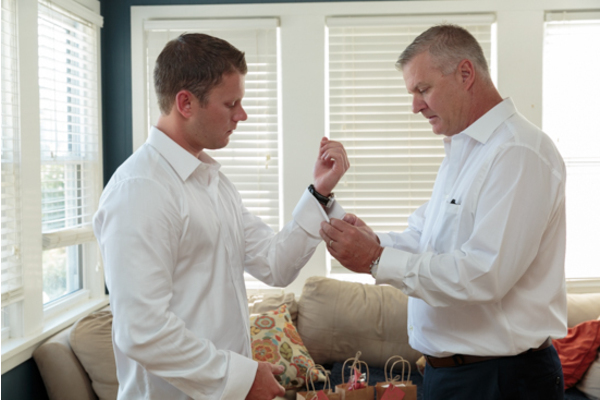 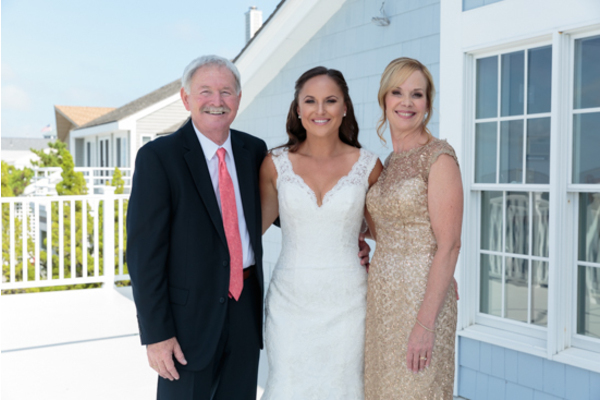 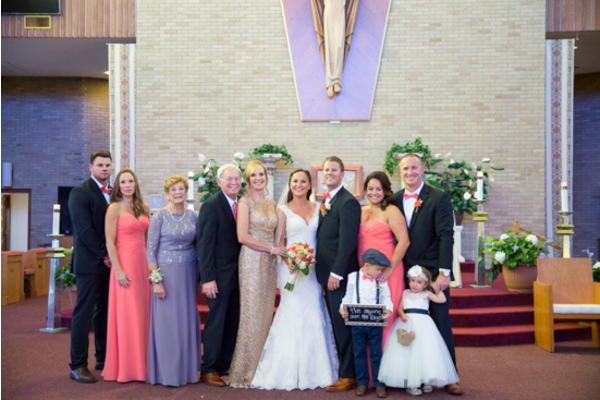 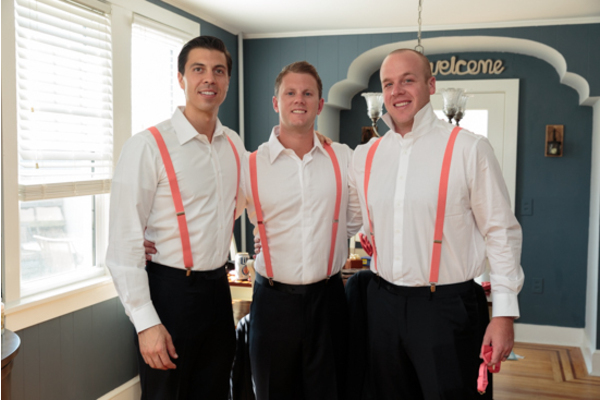 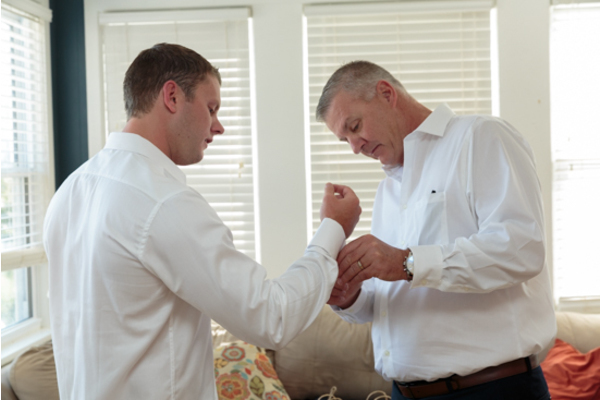 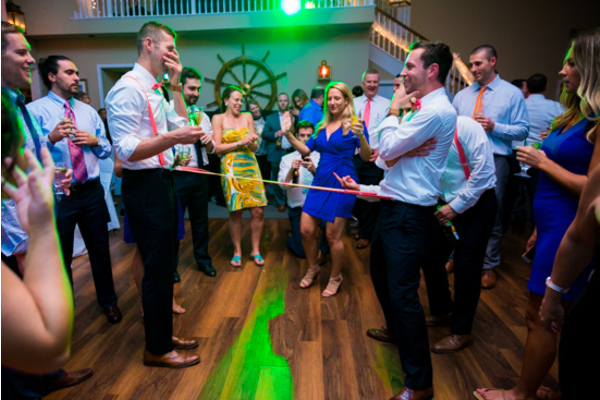 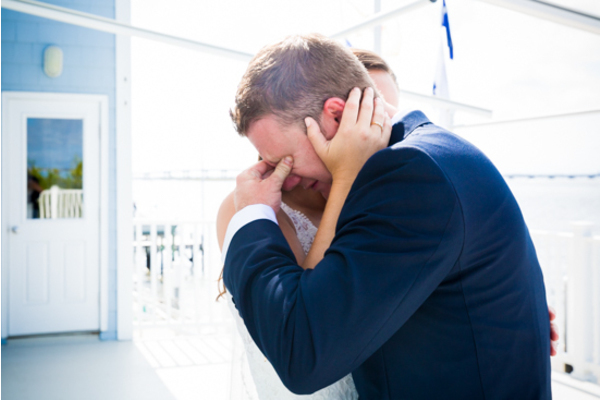 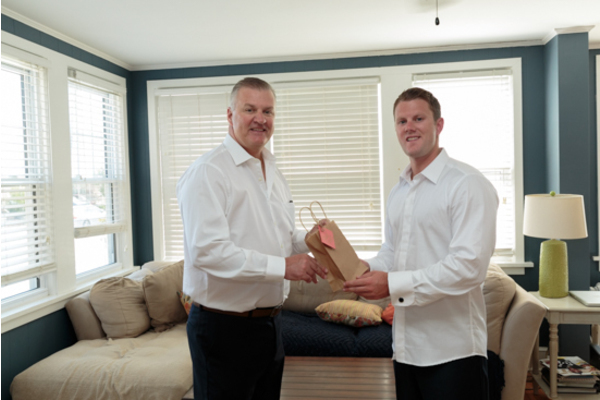 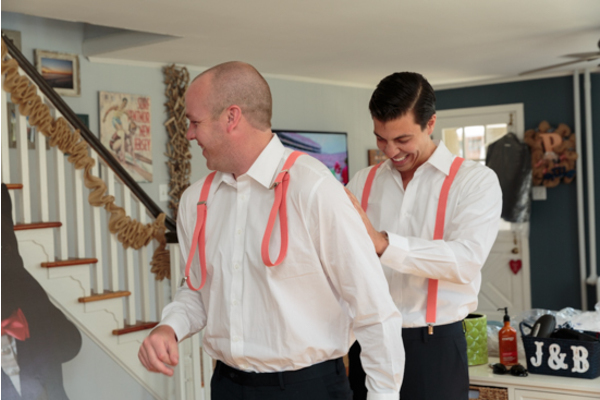 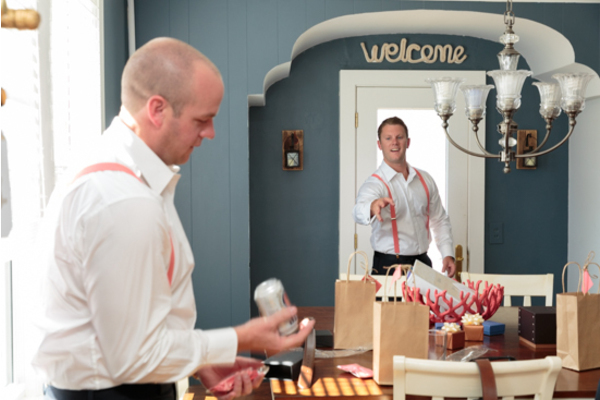 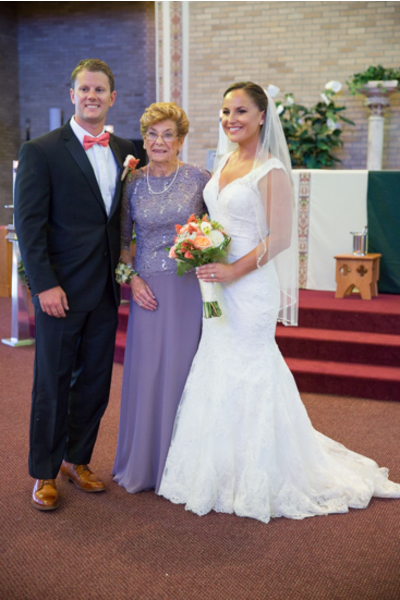 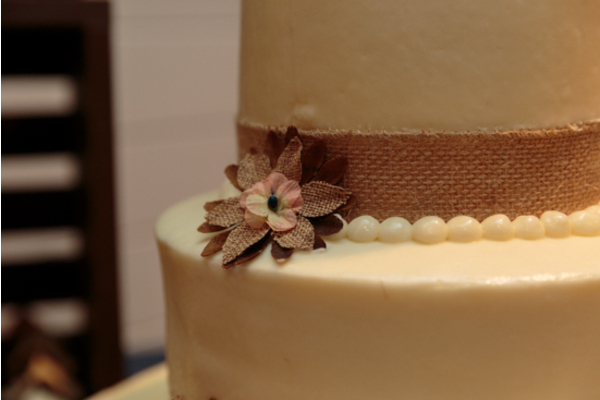 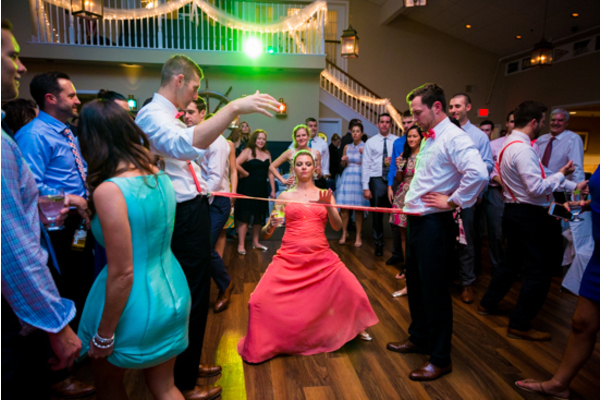 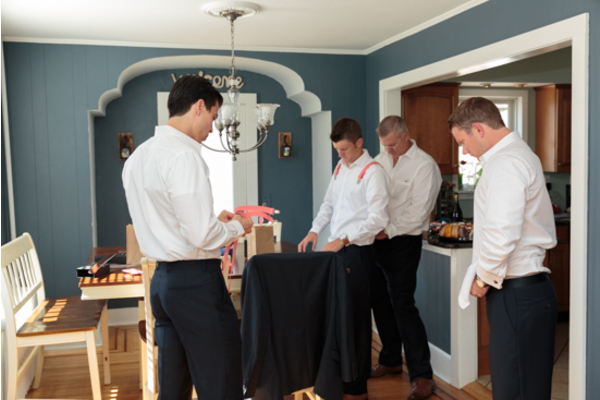 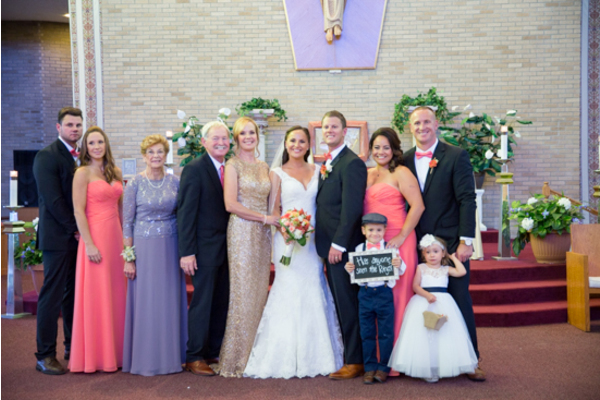 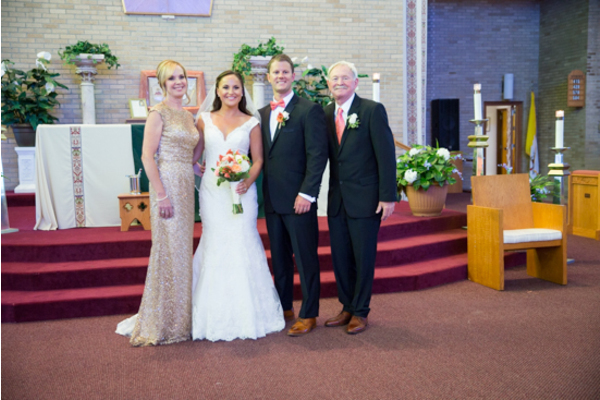 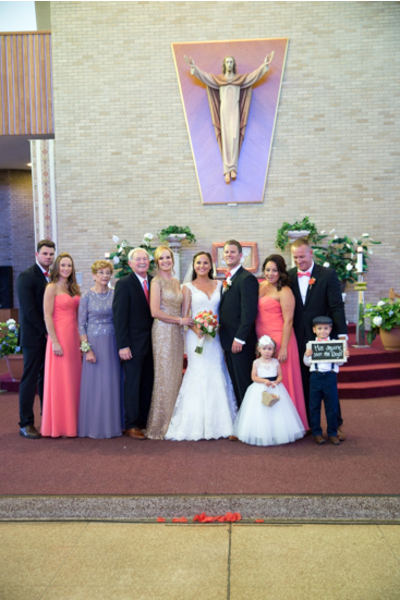 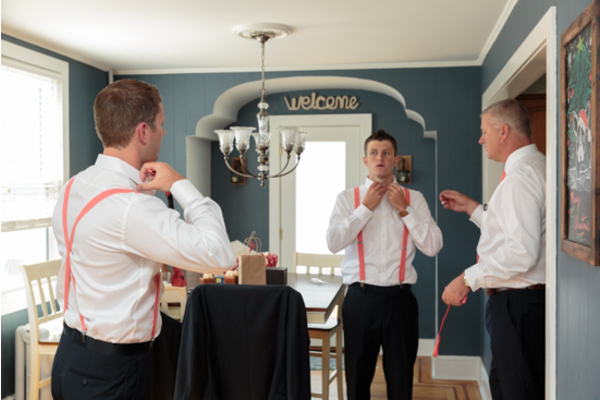 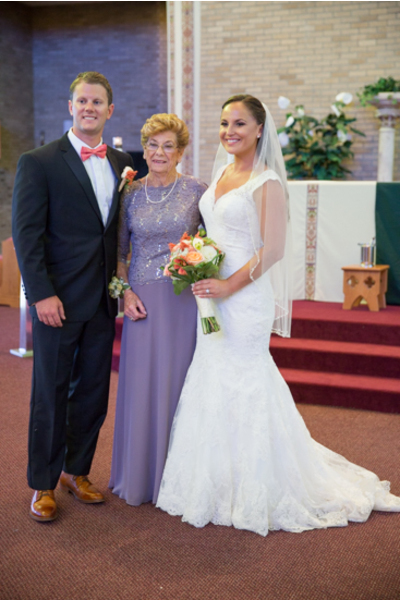 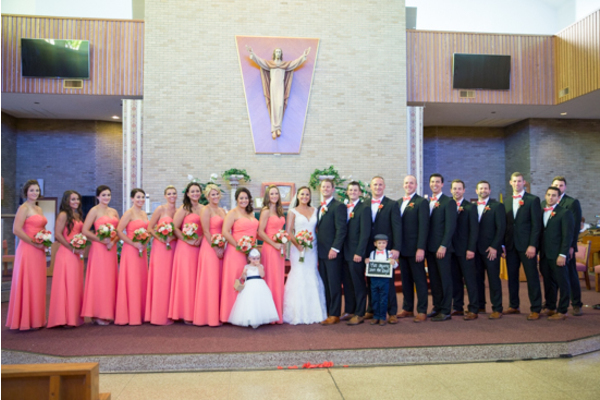 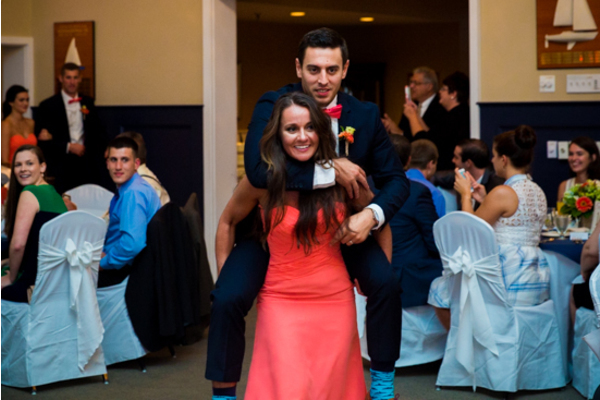 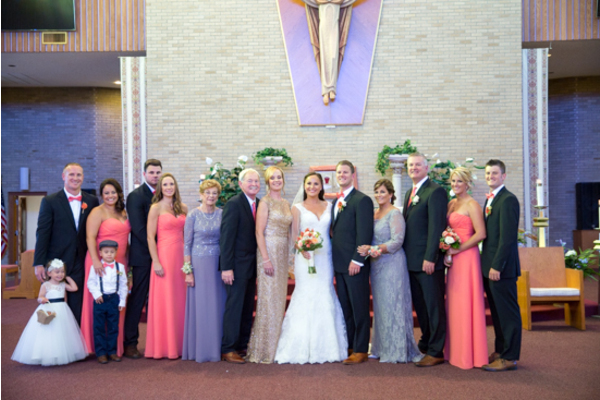 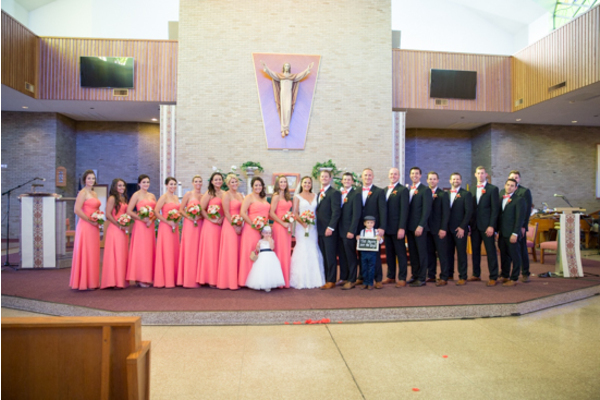 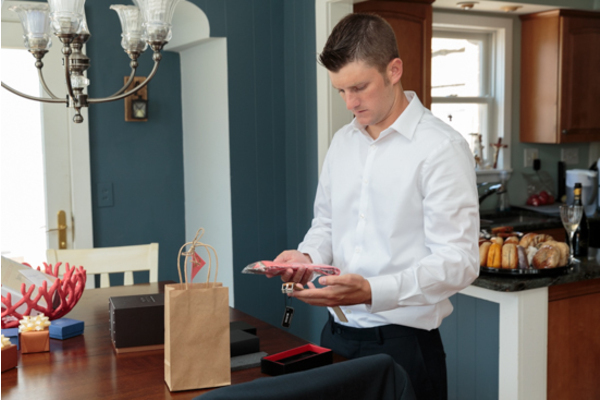 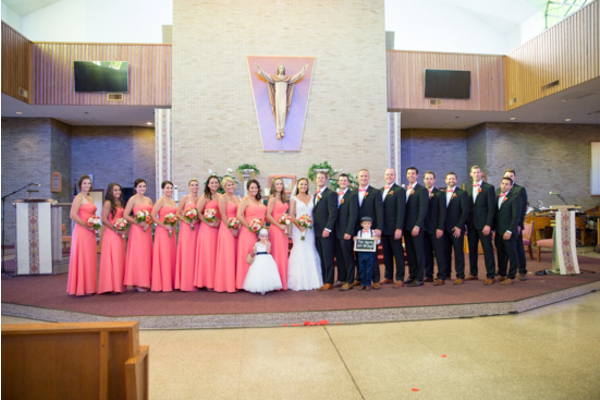 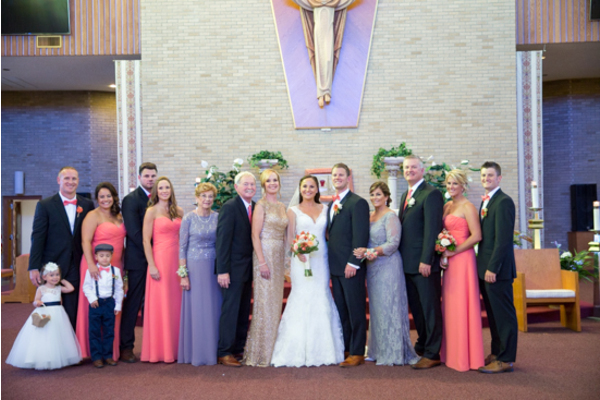 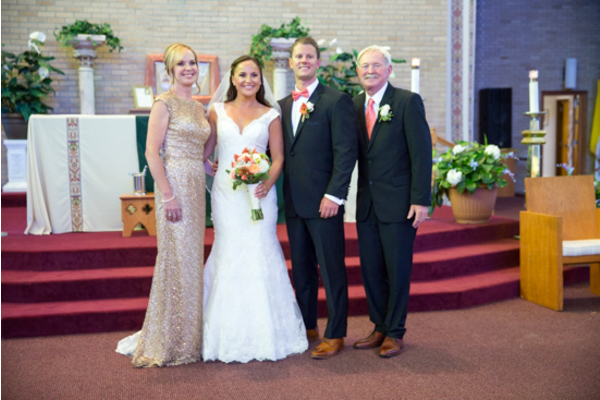 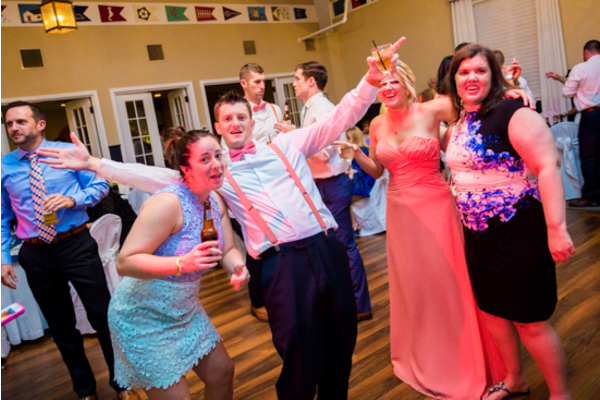 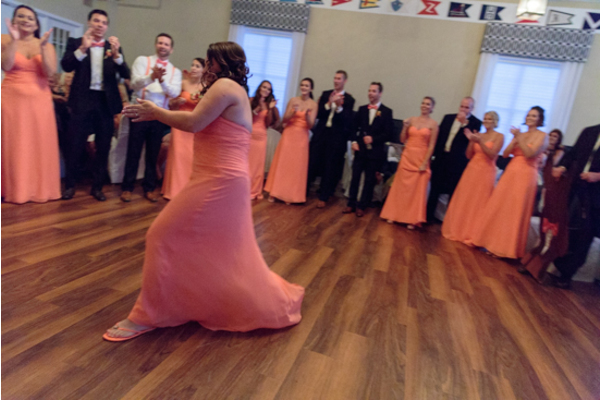 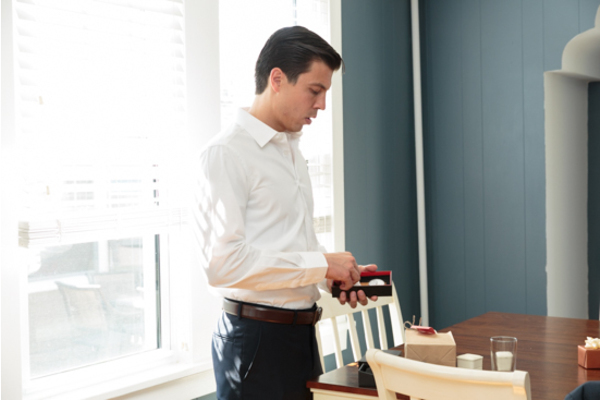 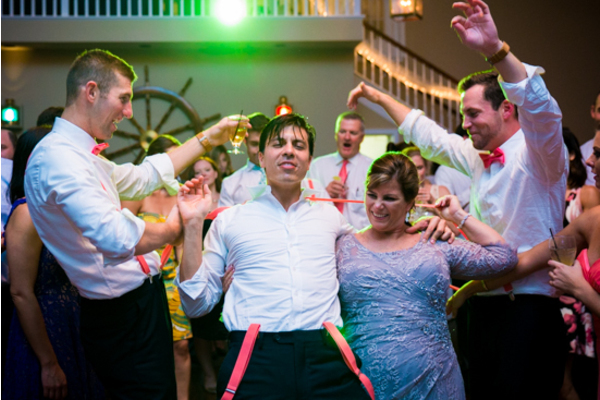 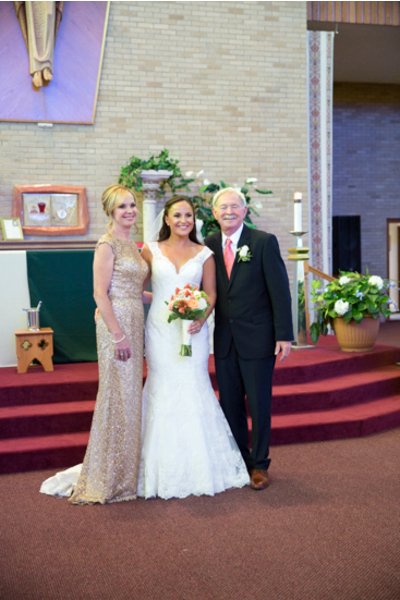 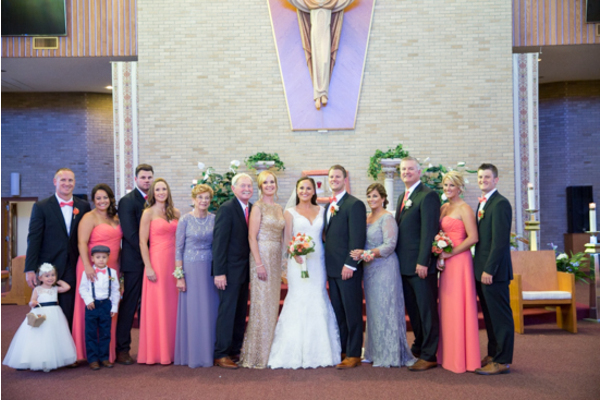 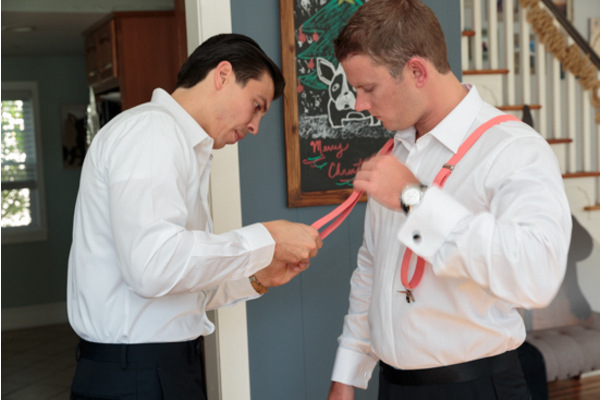 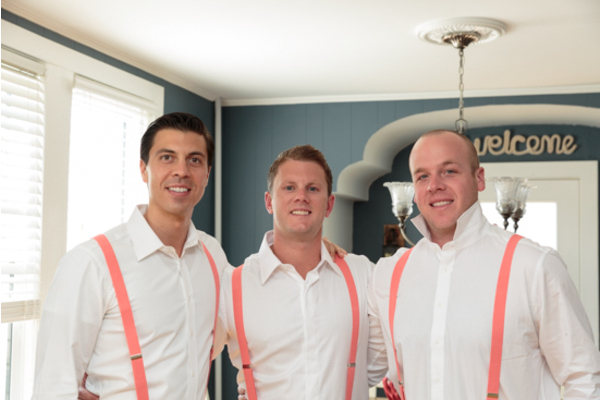 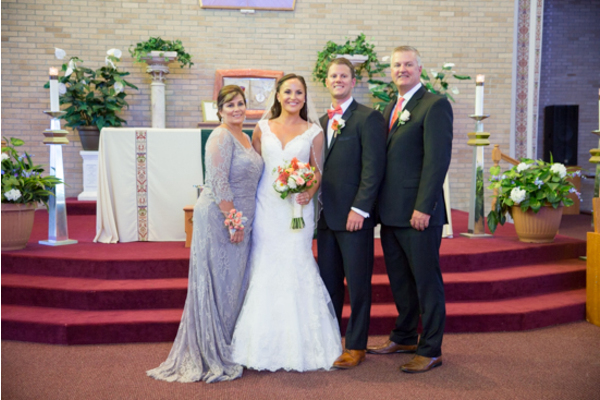 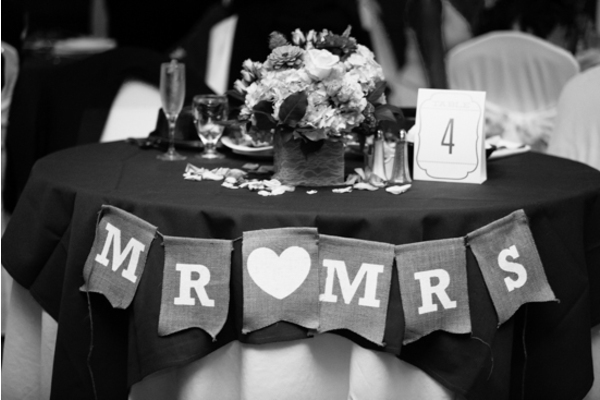 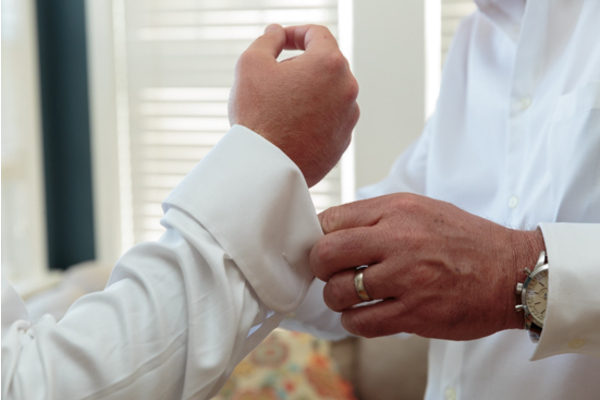 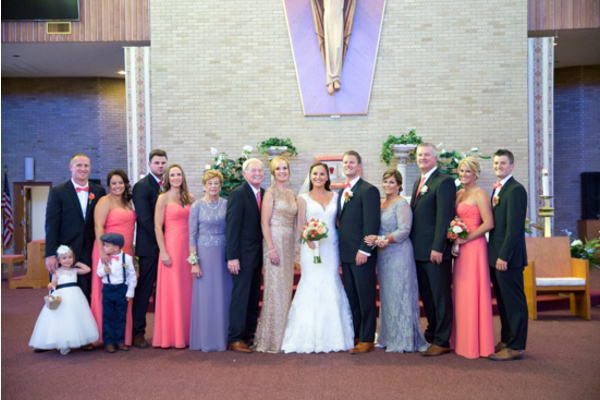 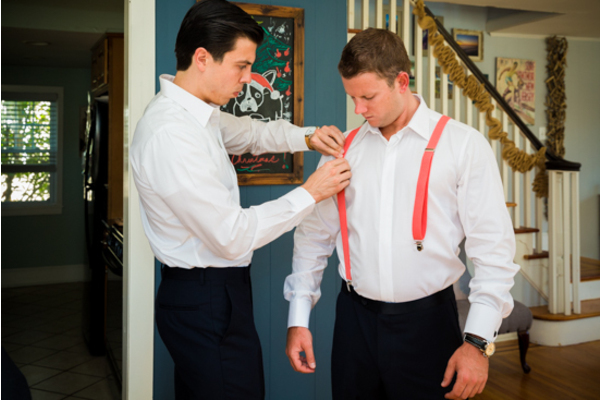 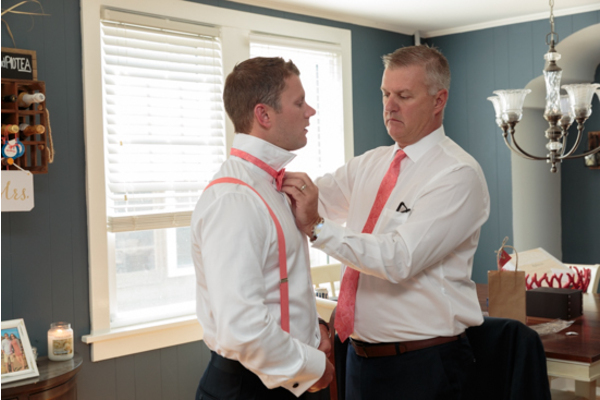 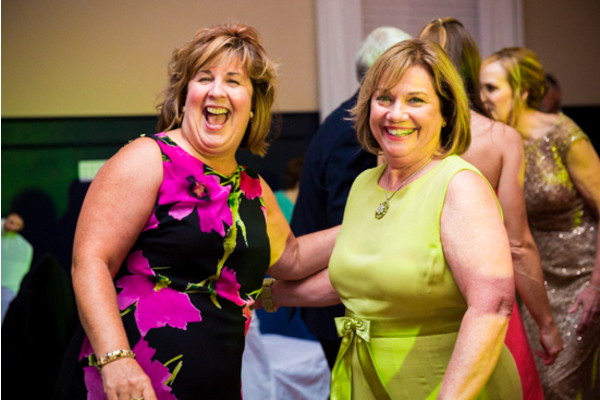 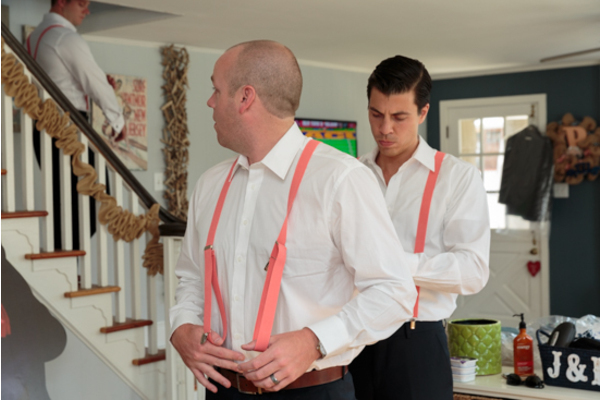 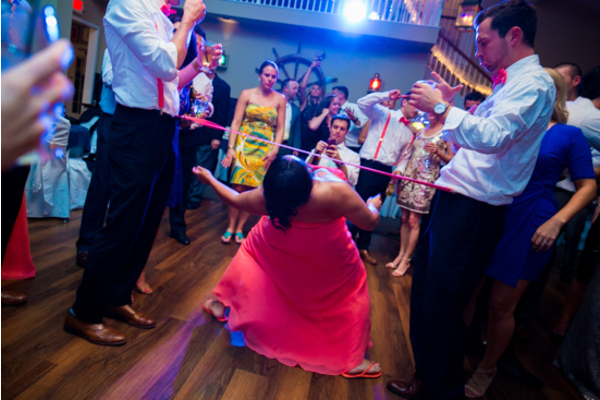 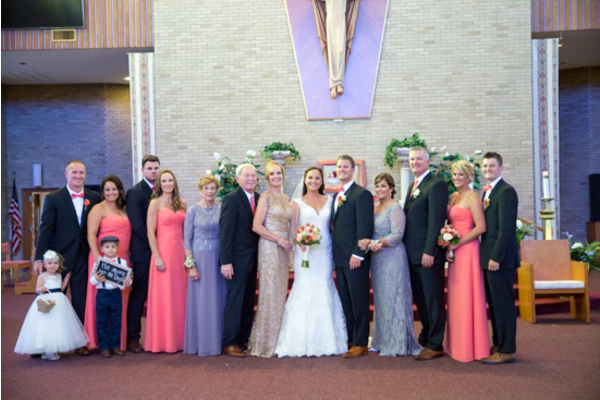 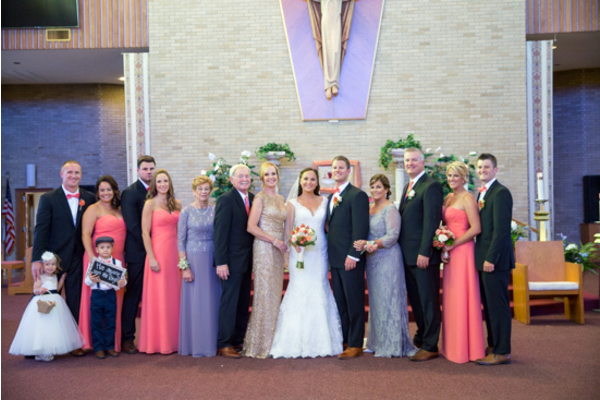 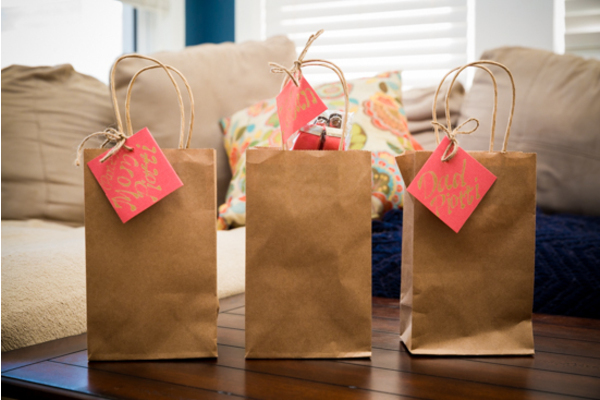 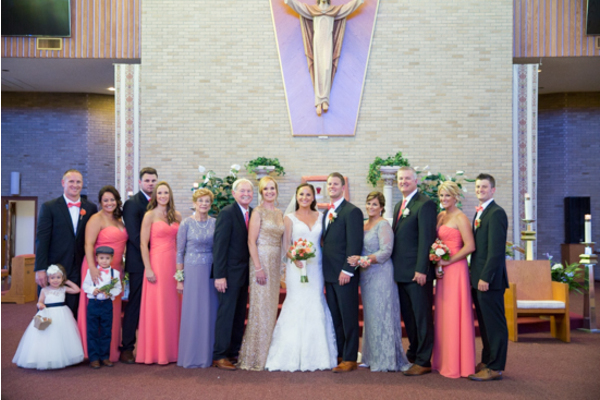 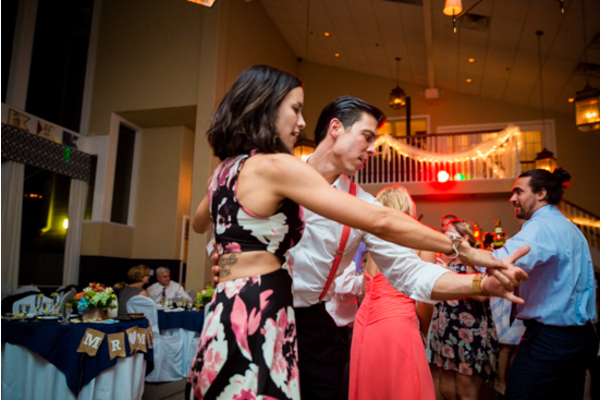 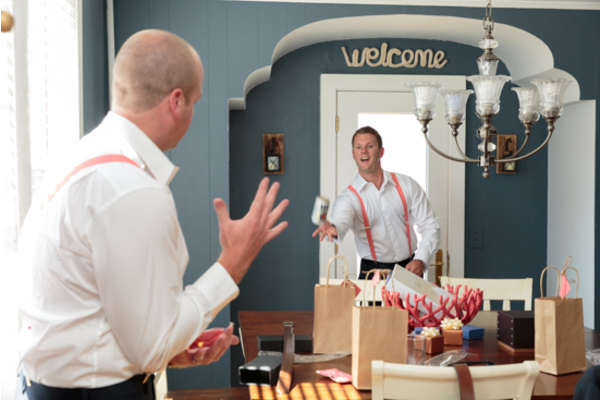 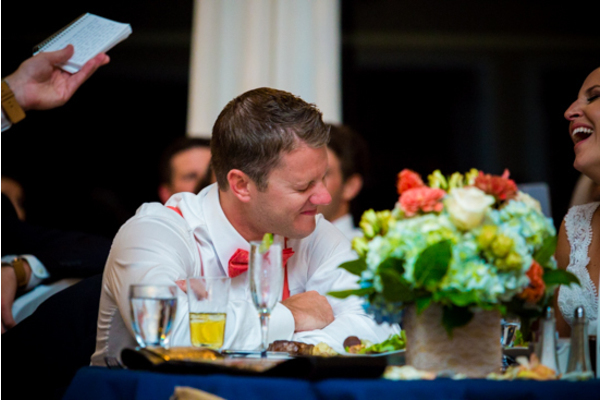 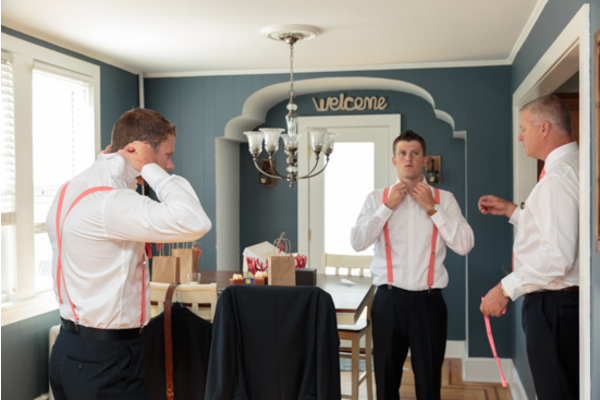 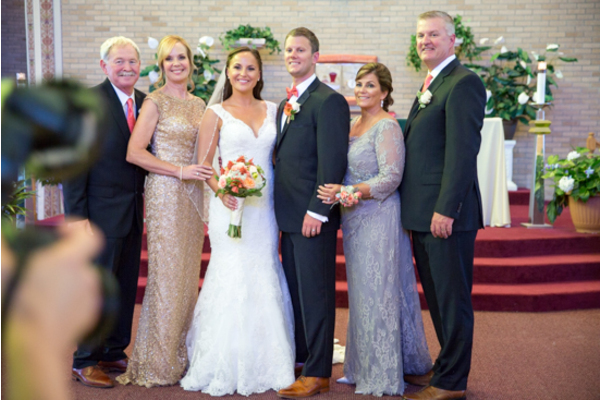 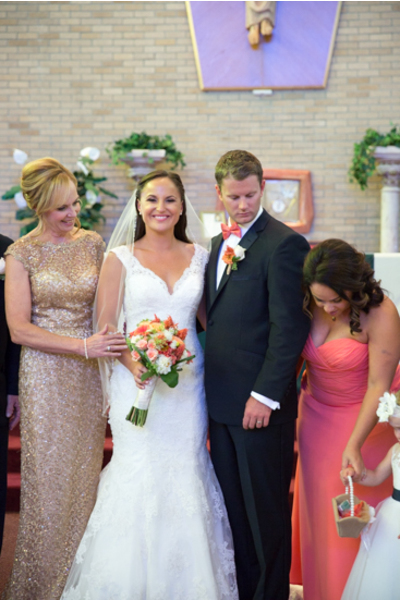 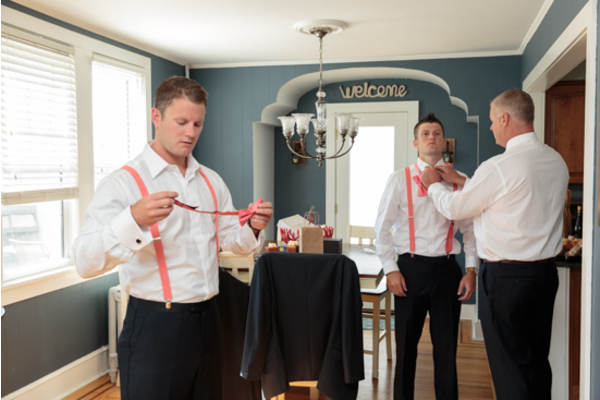 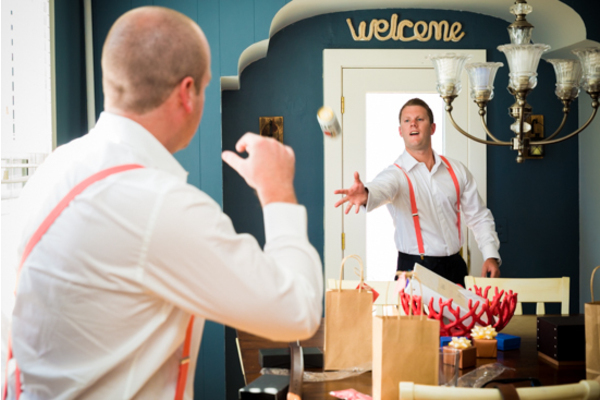 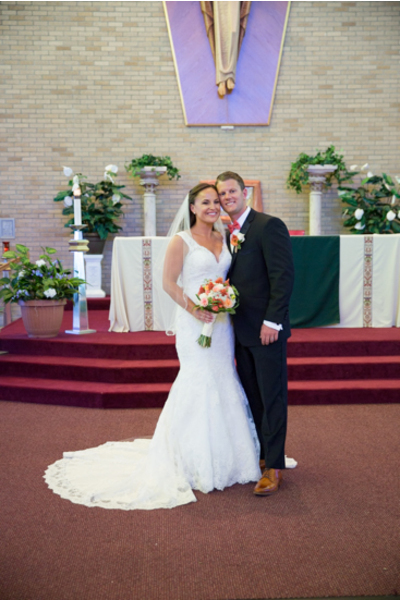 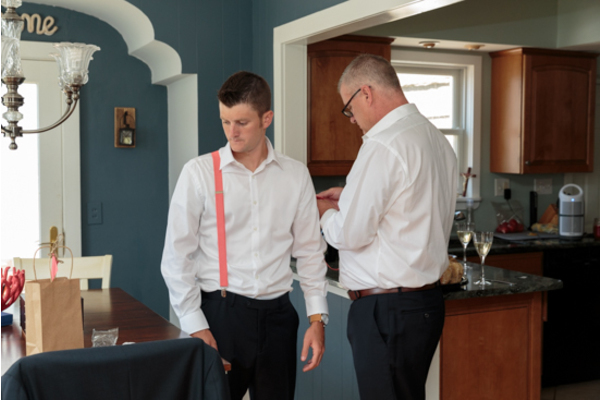 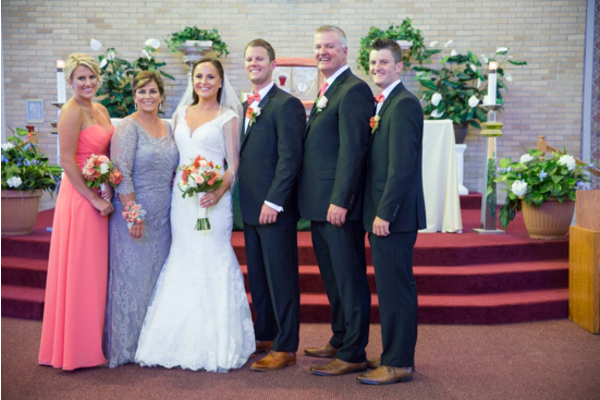 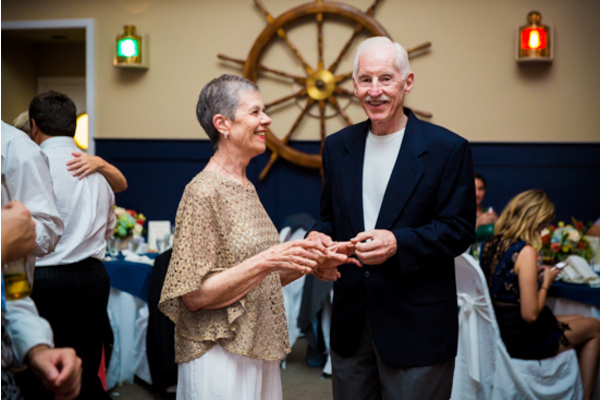 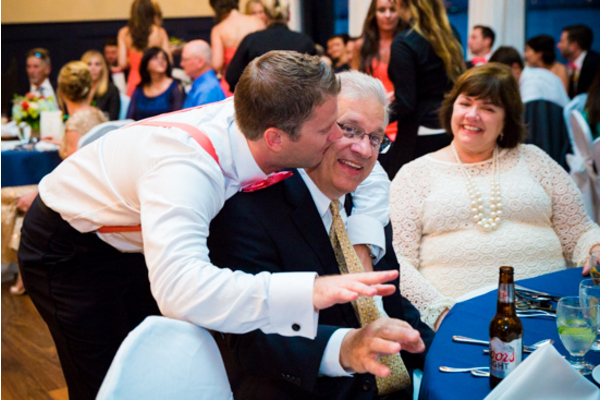 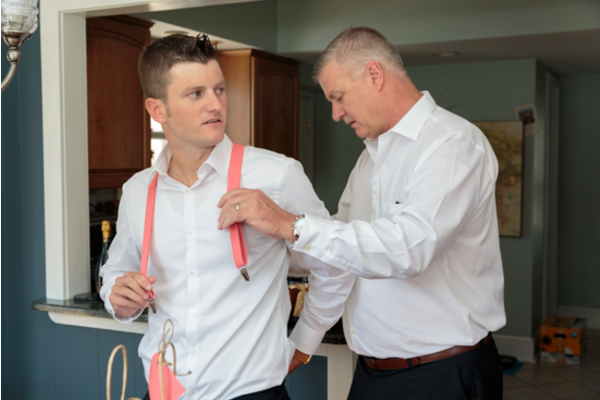 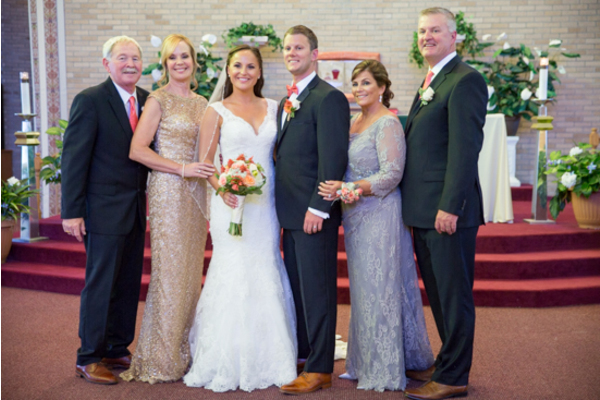 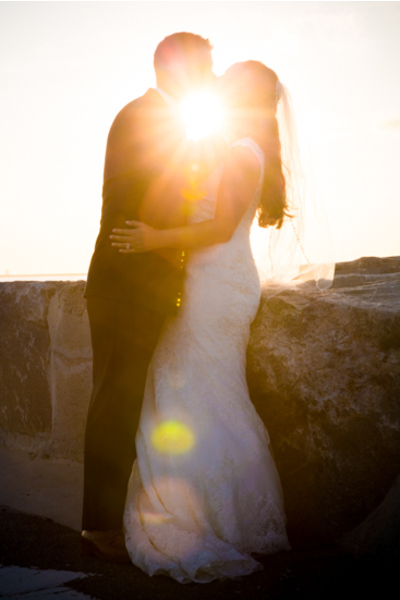 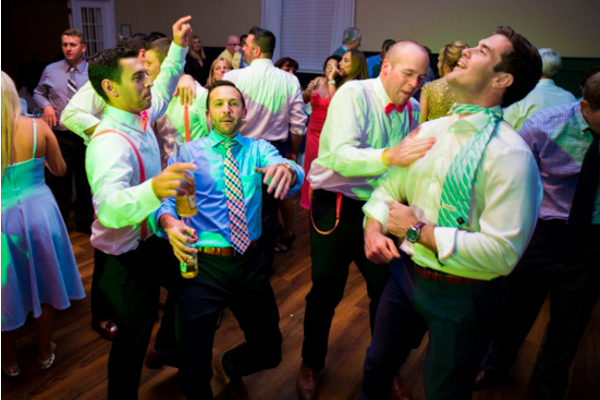 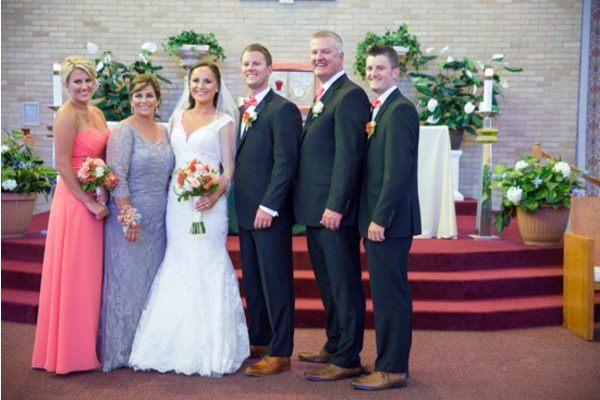 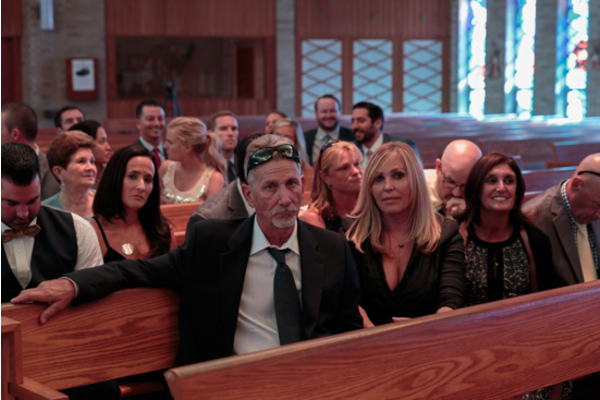 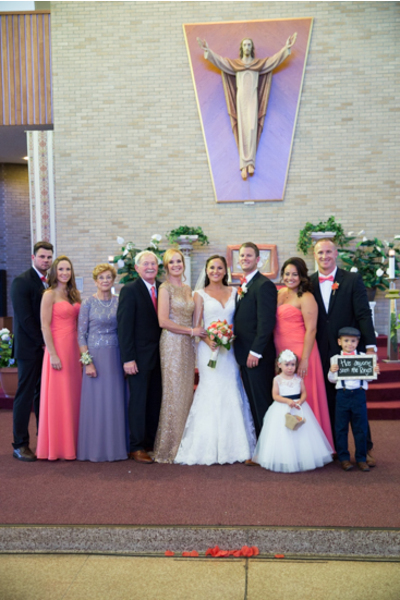 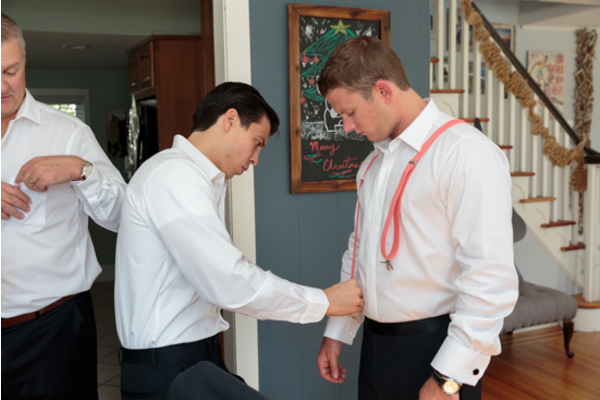 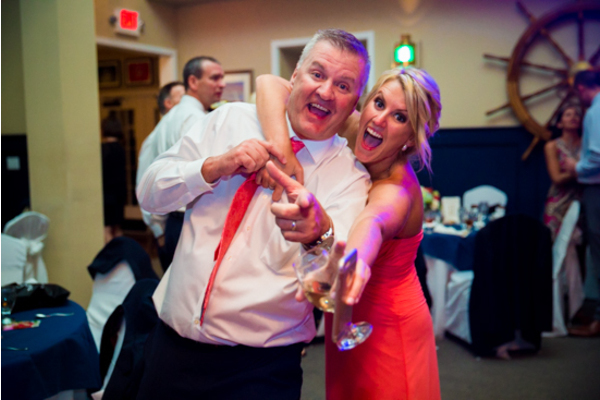 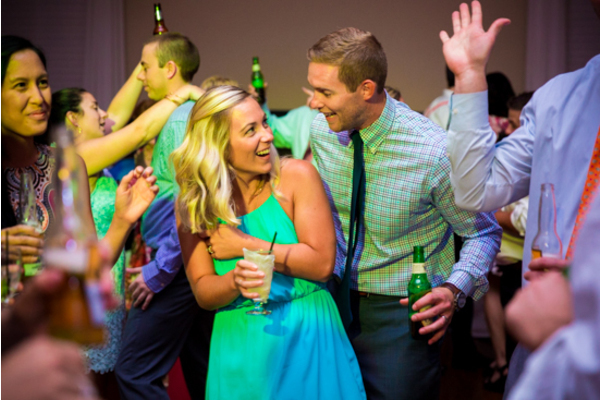 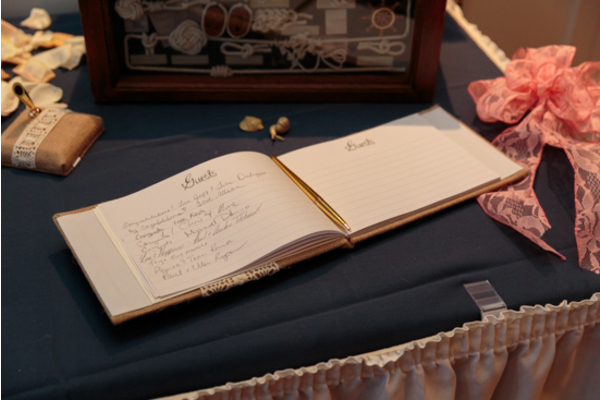 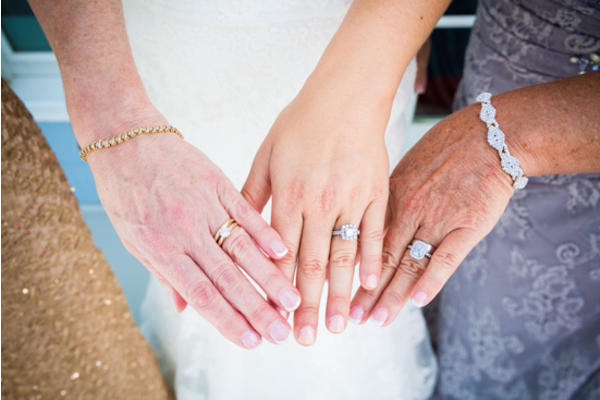 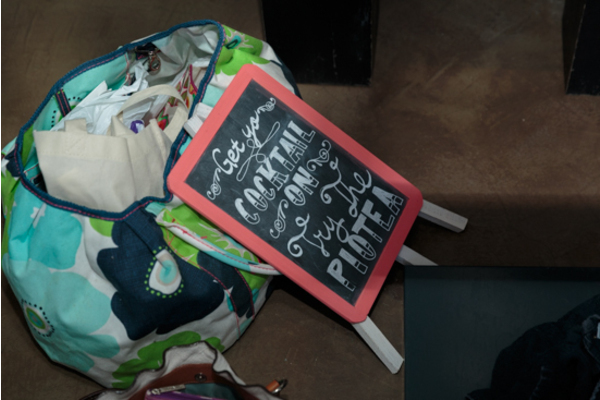 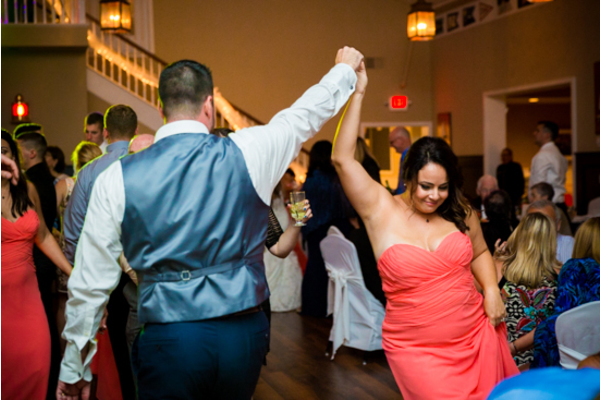 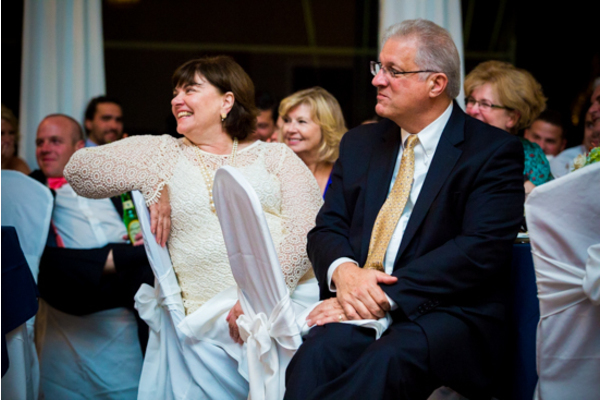 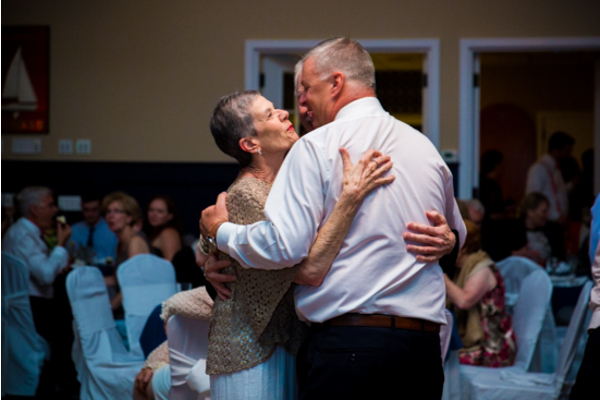 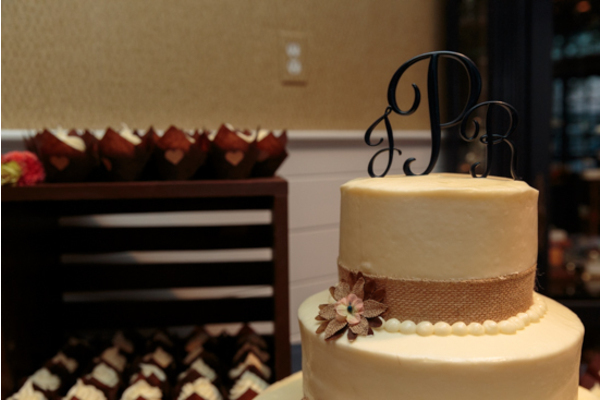 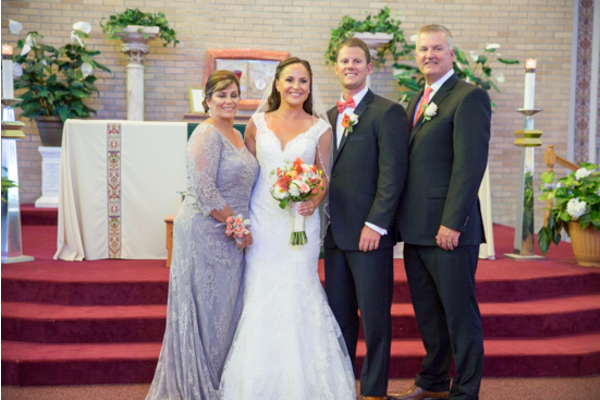 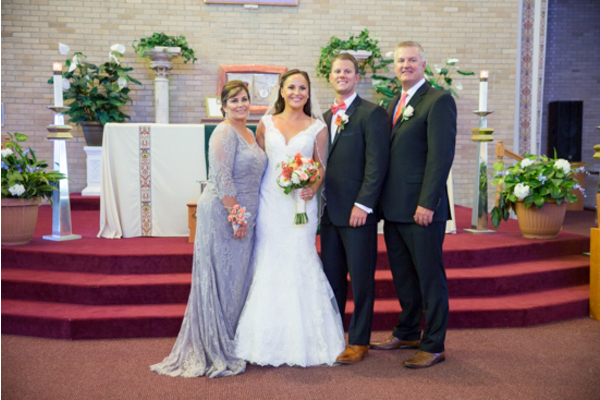 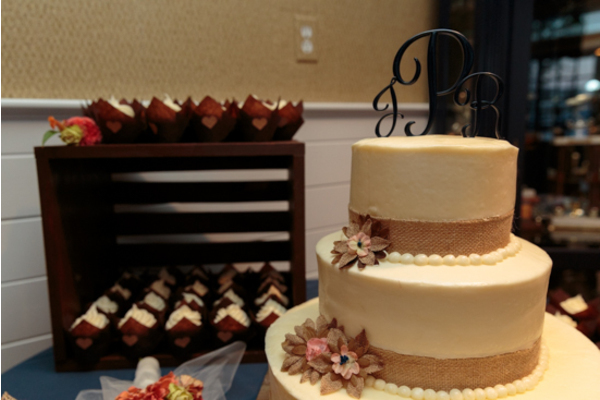 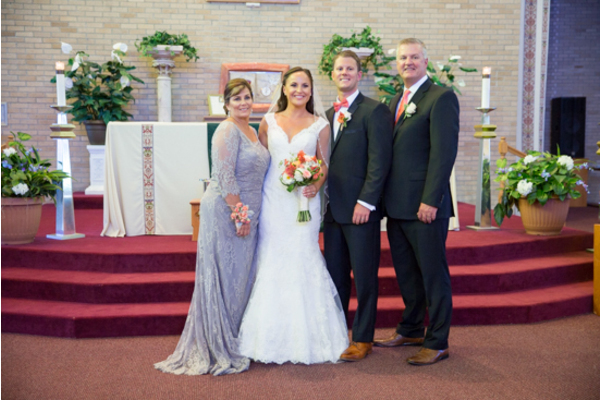 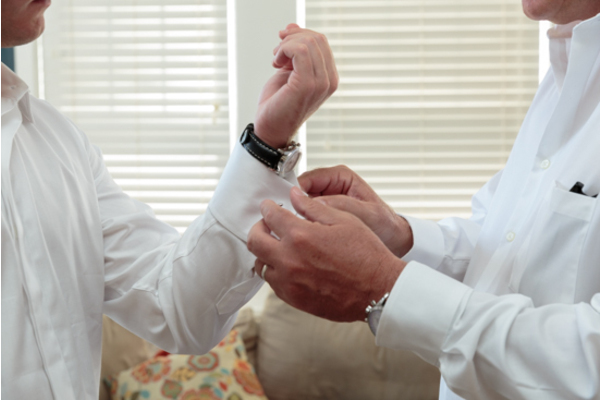 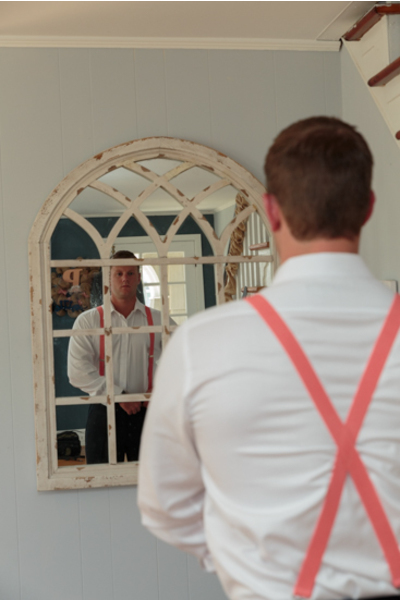 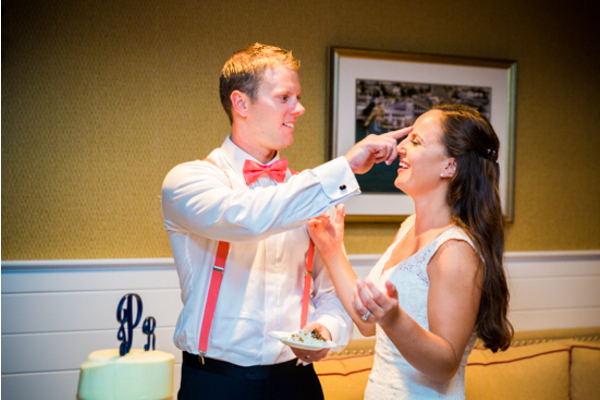 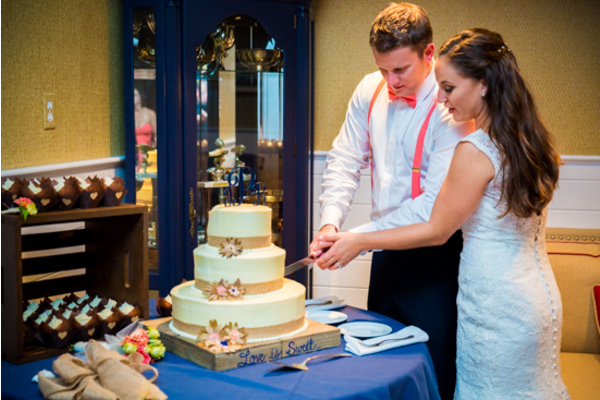 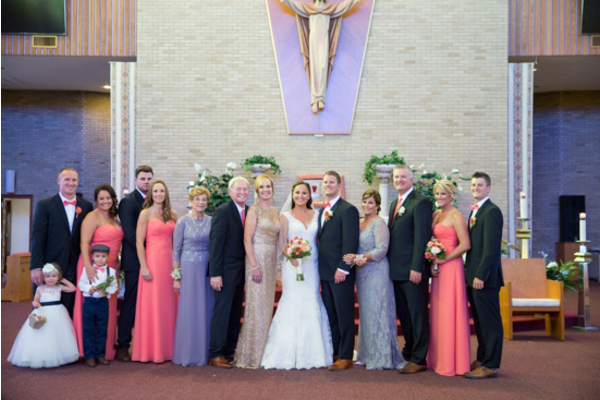 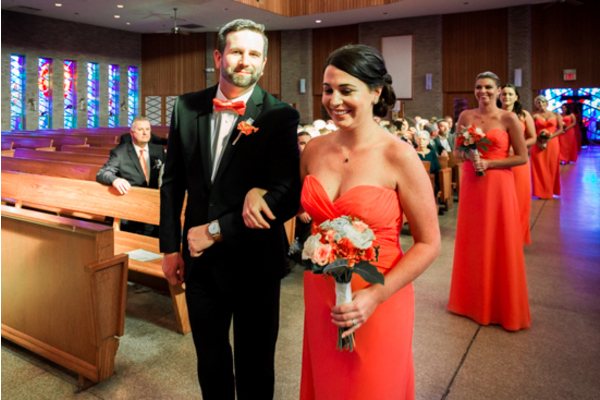 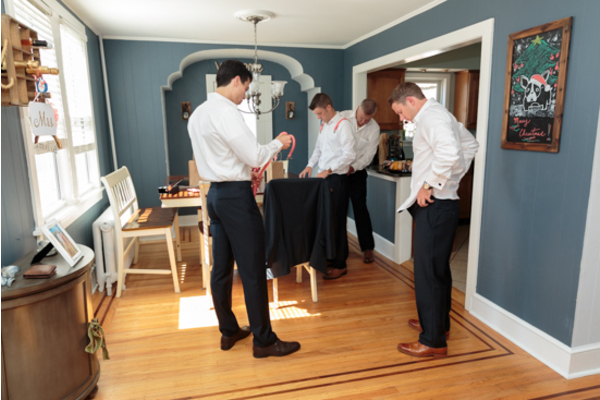 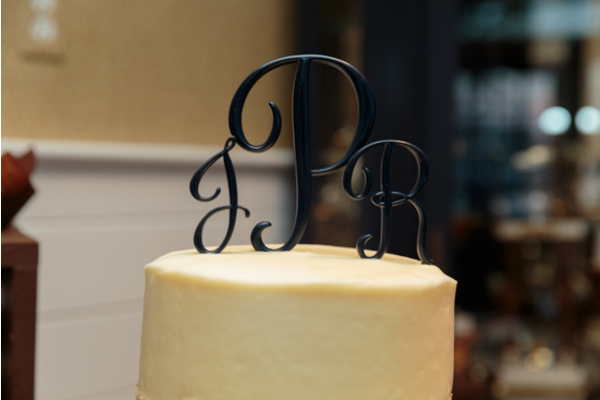 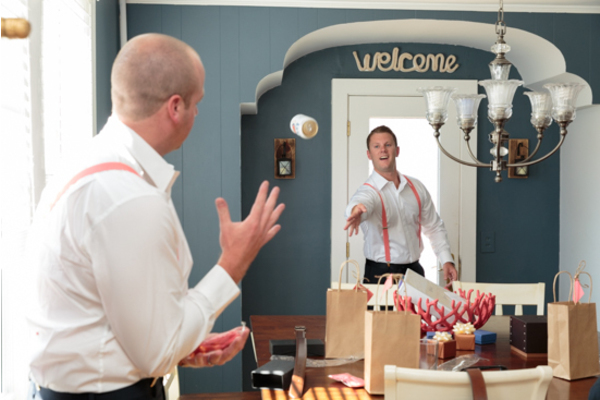 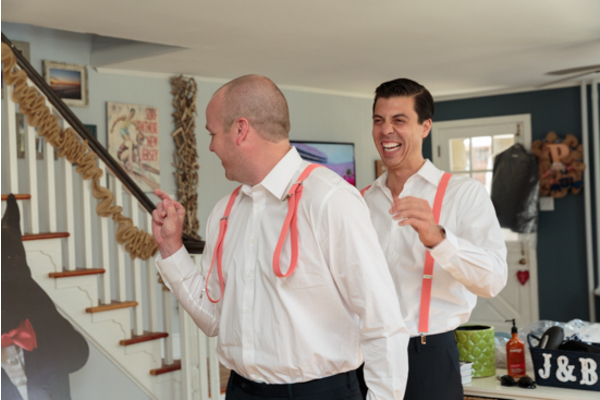 These two love birds exchanged vows in front of friends and family while beginning the next stage of their lives. 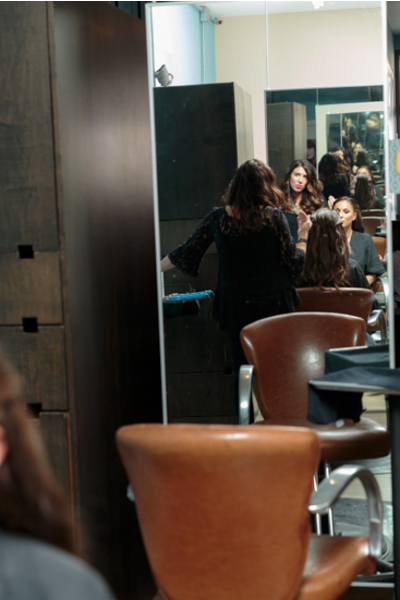 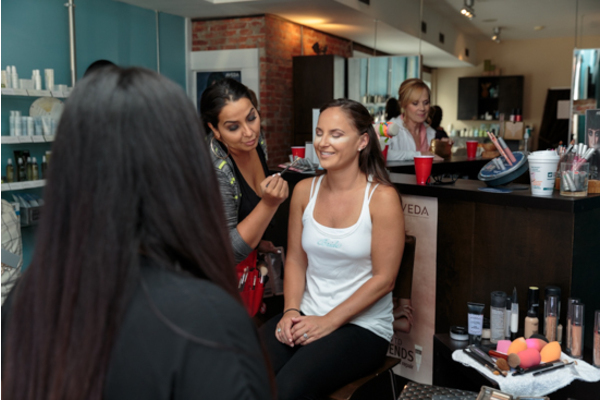 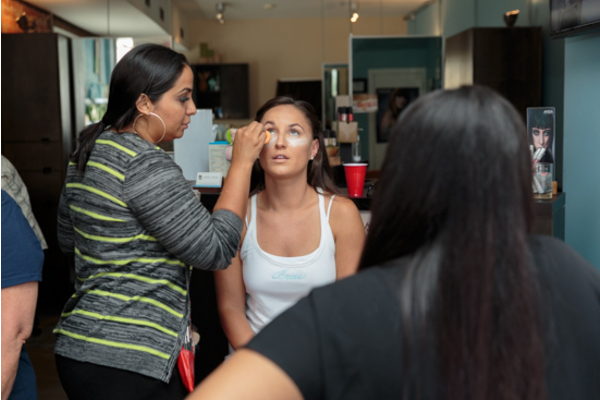 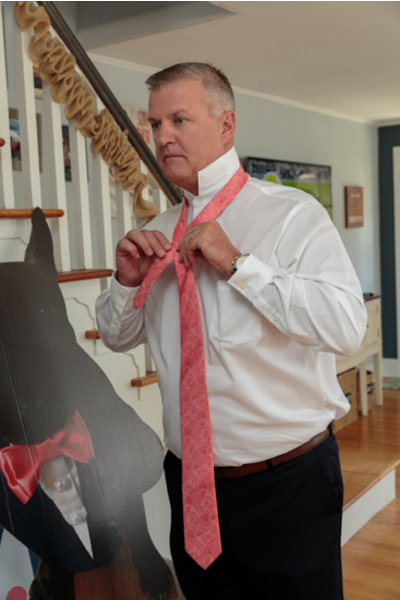 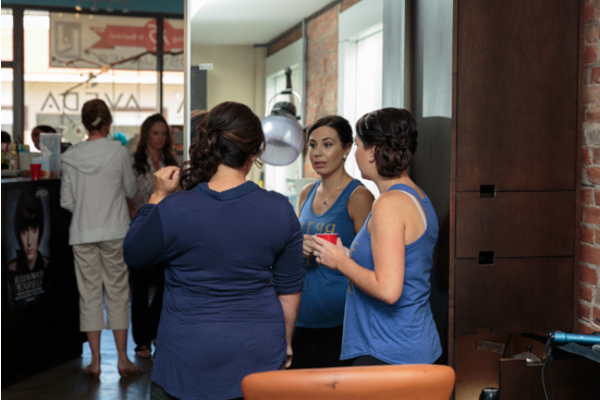 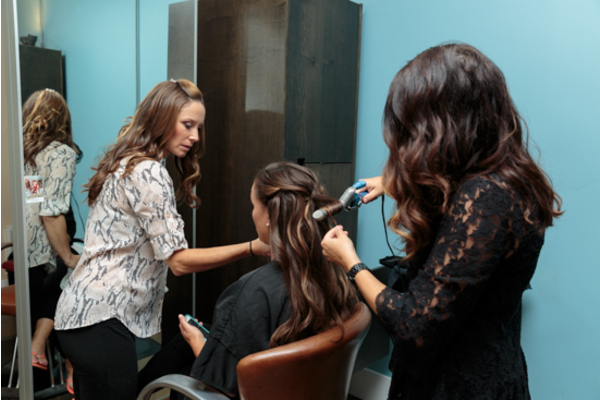 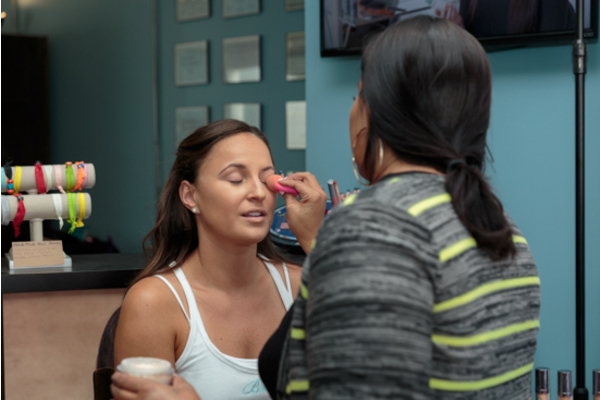 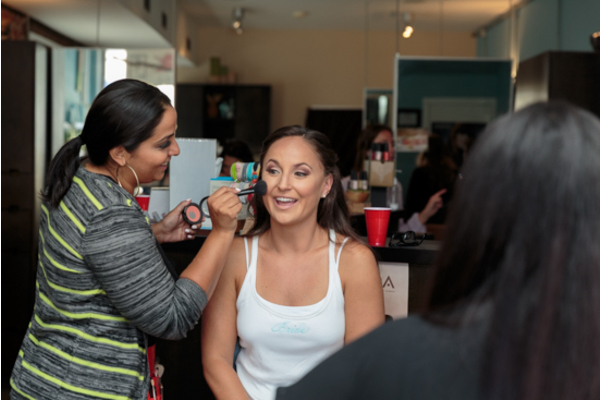 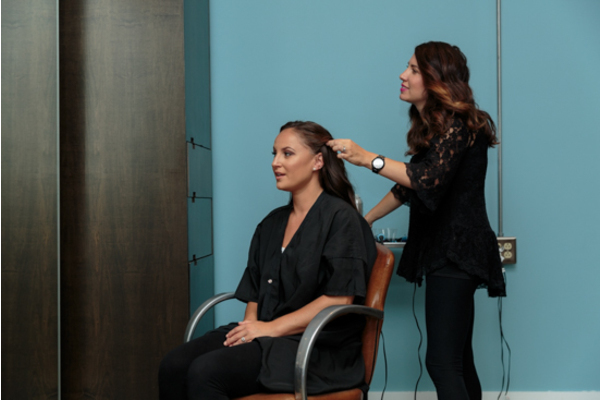 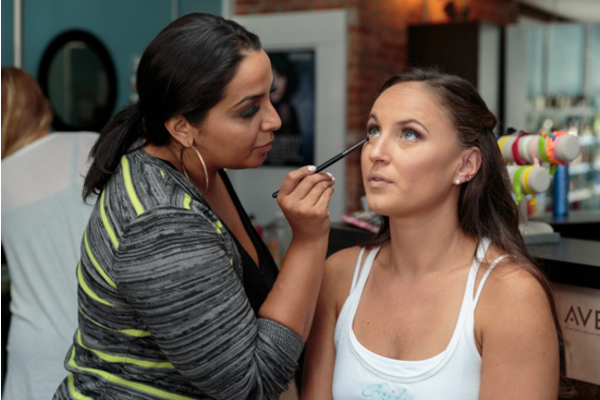 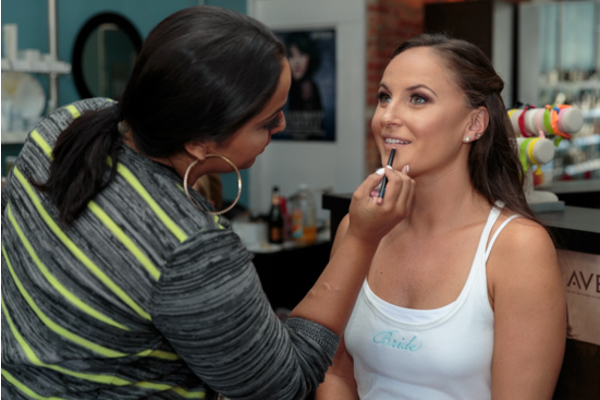 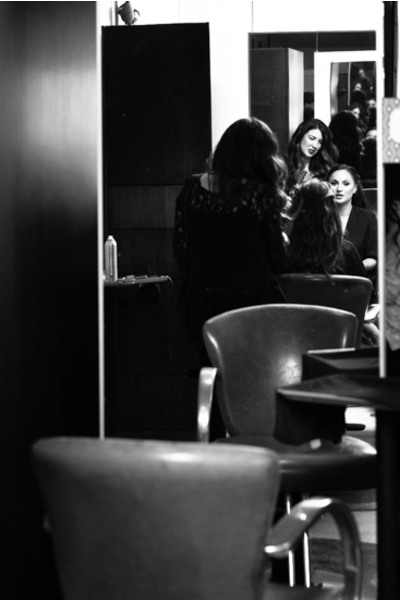 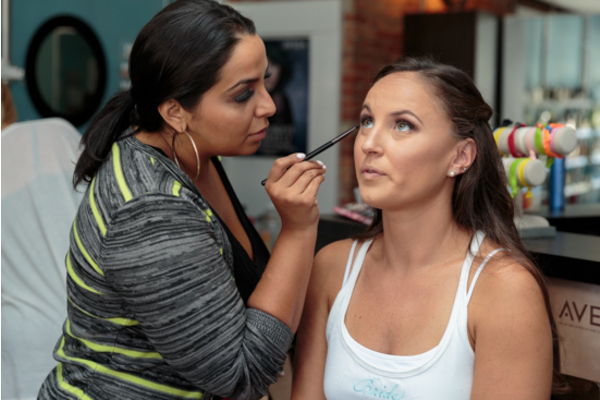 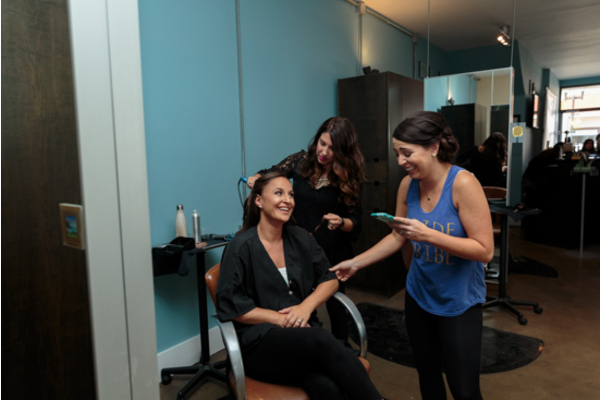 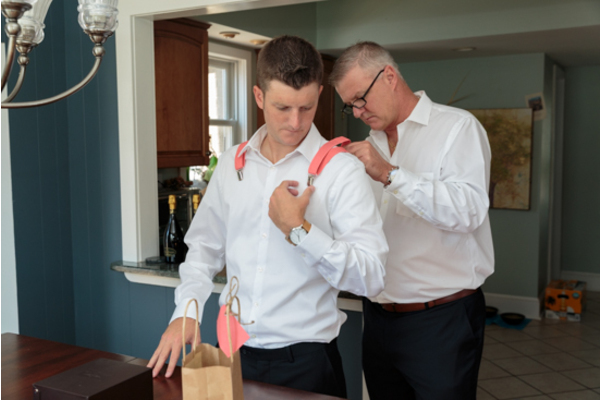 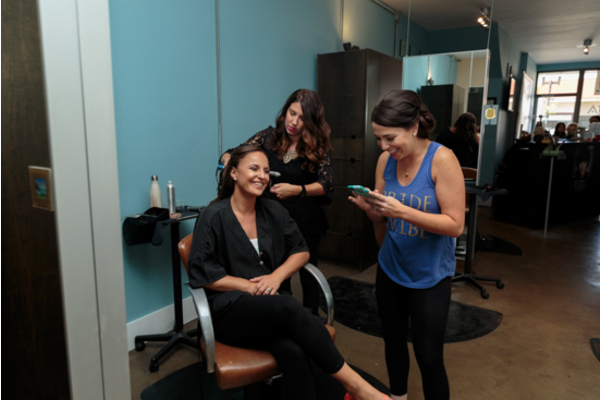 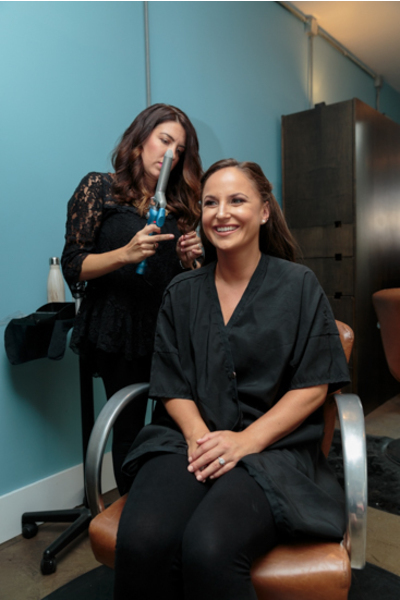 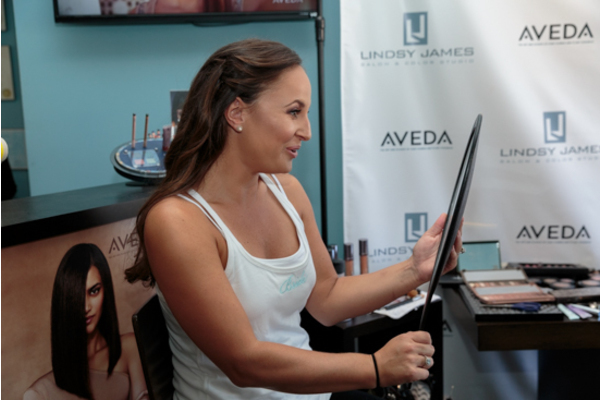 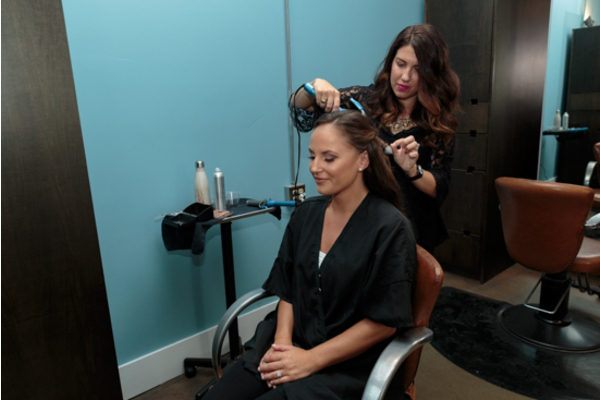 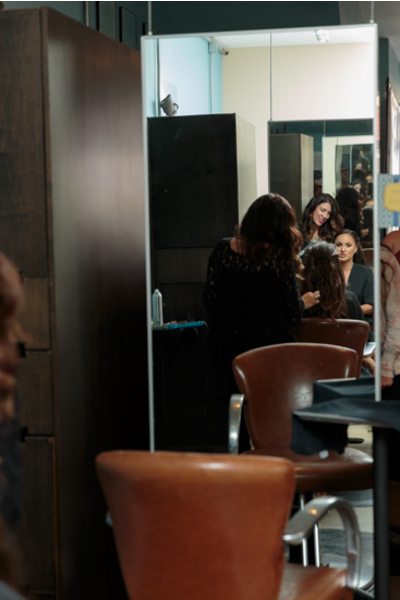 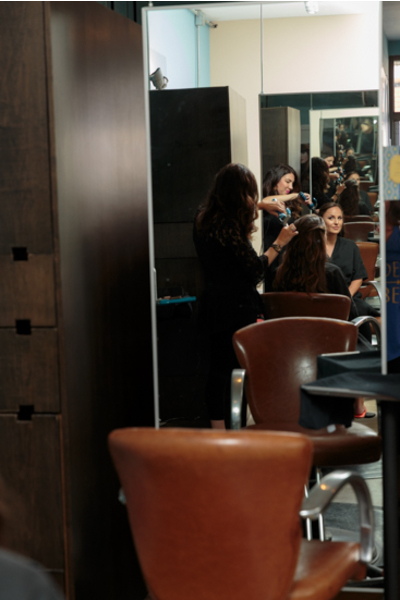 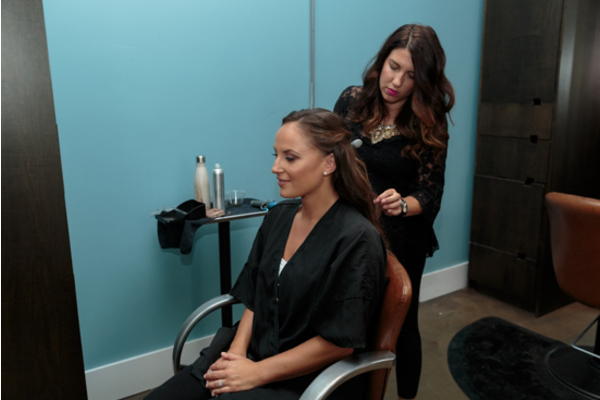 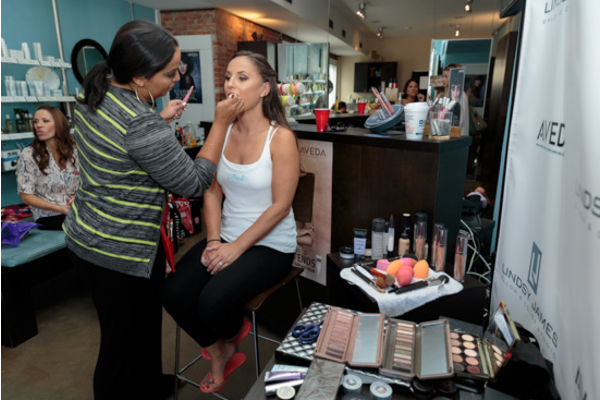 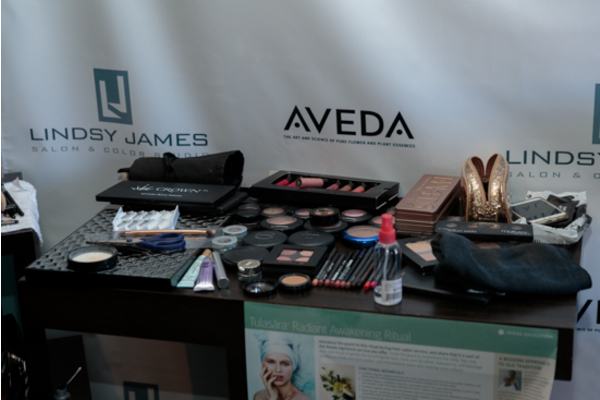 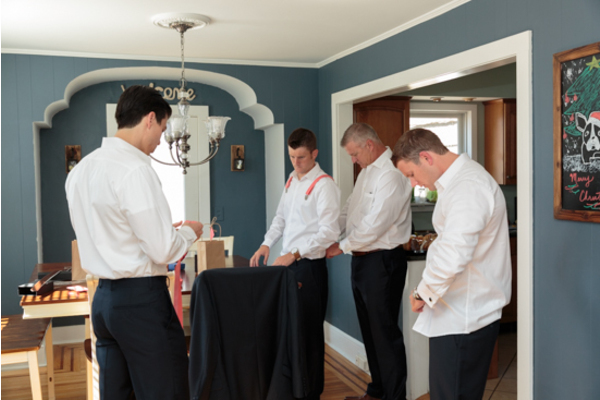 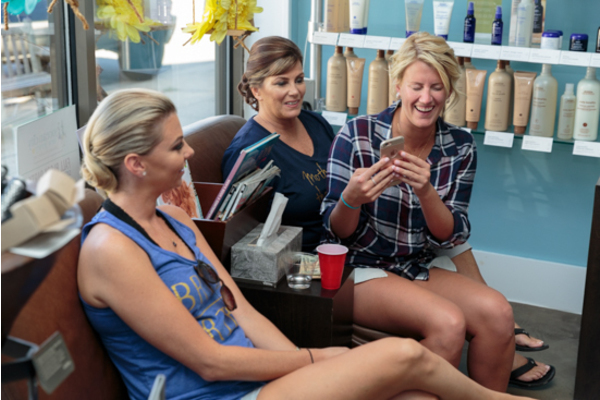 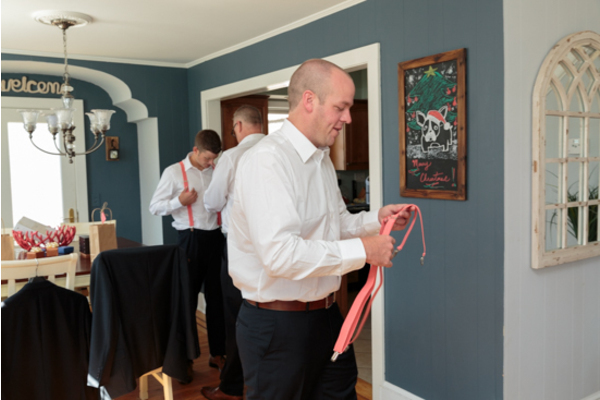 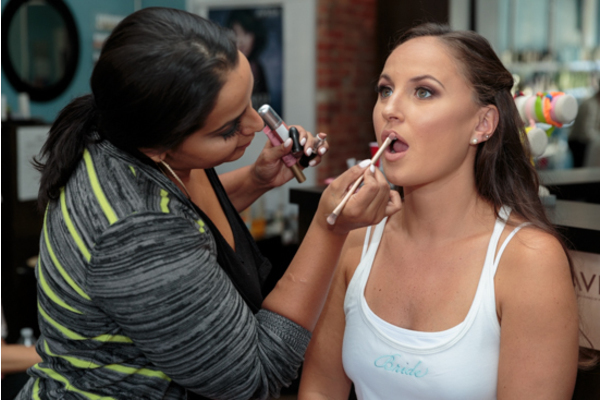 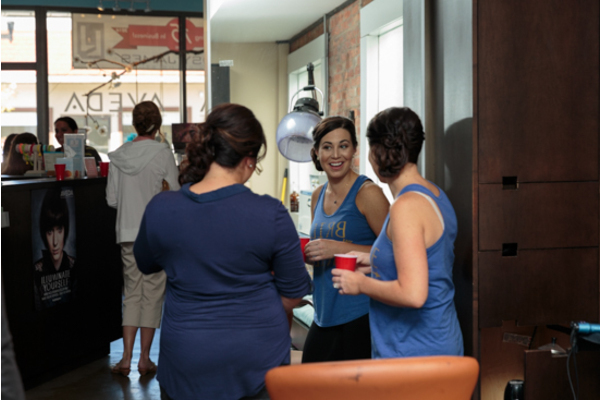 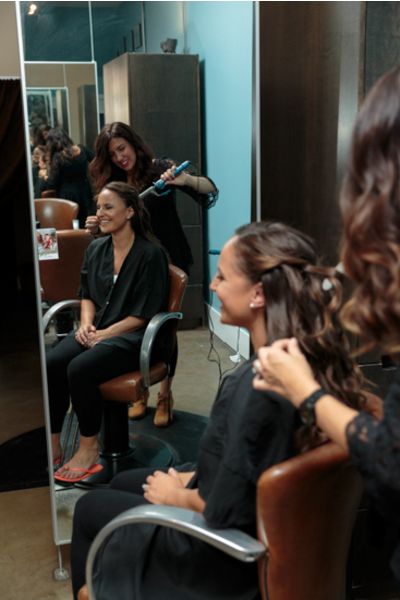 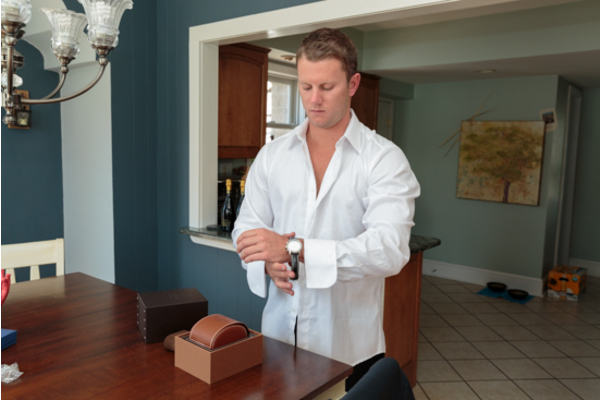 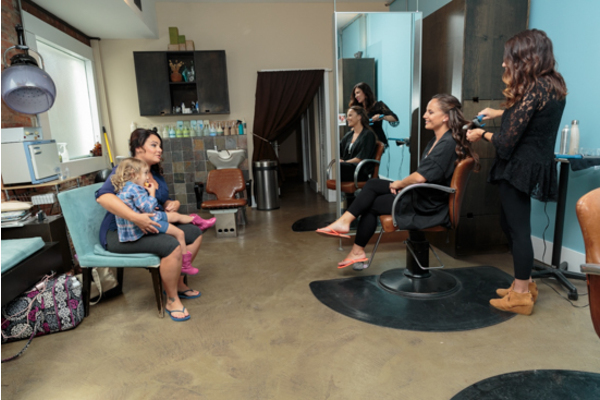 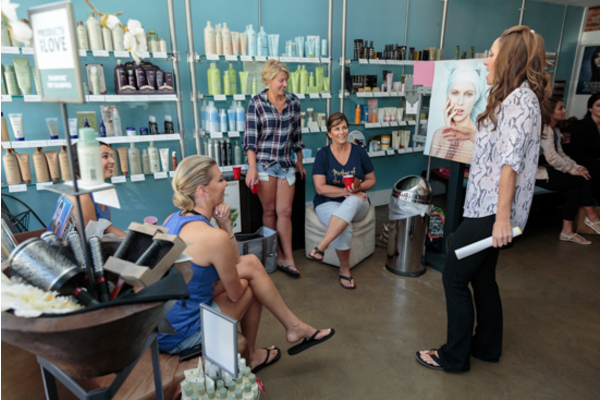 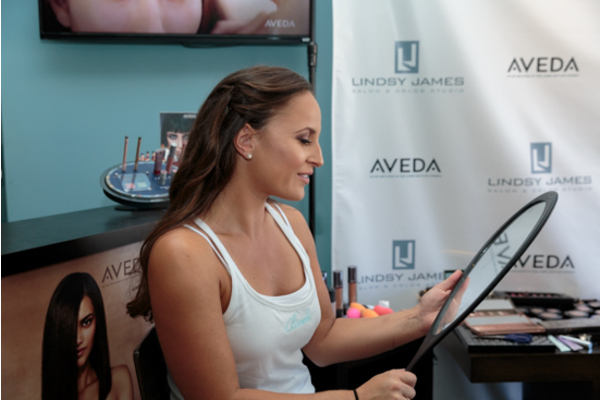 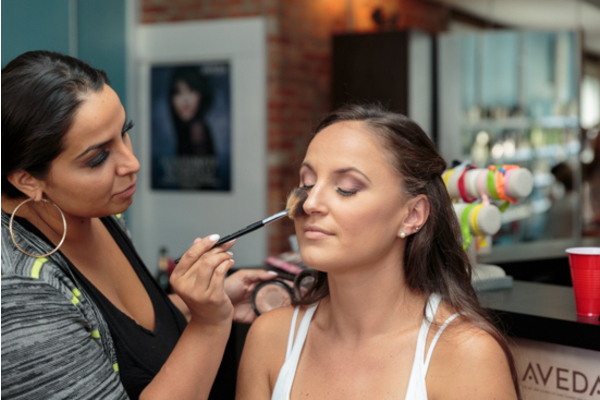 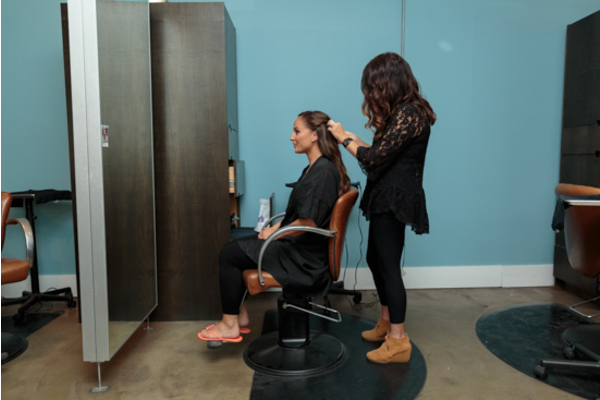 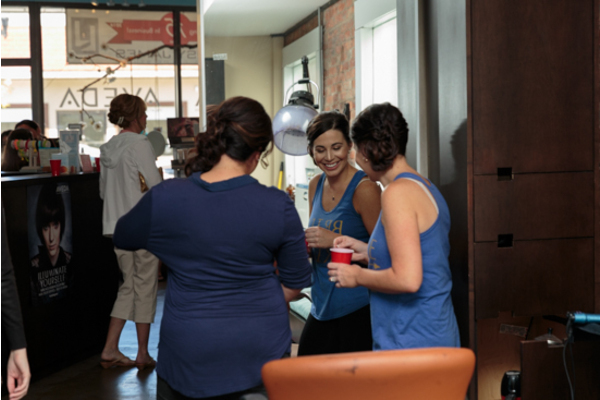 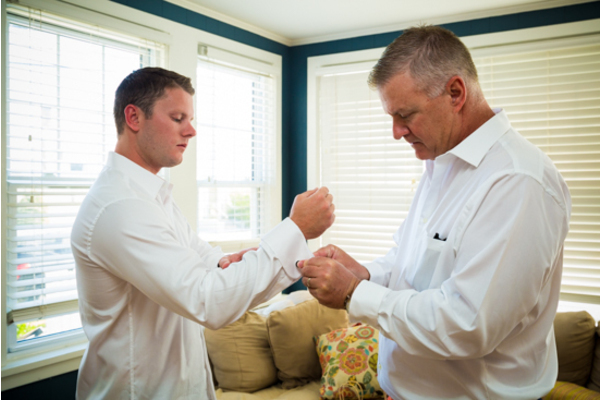 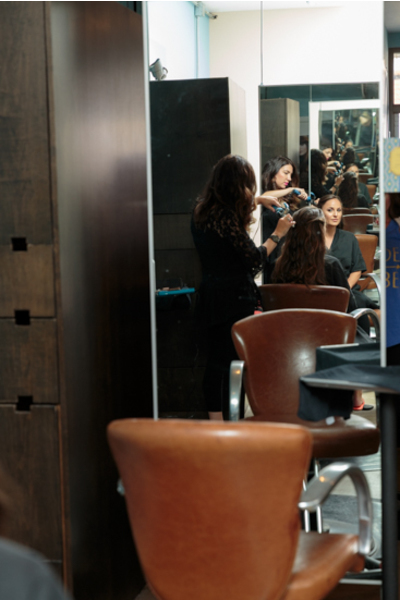 The day started with Rebecca prepping for her big day with her mother and bridesmaids. 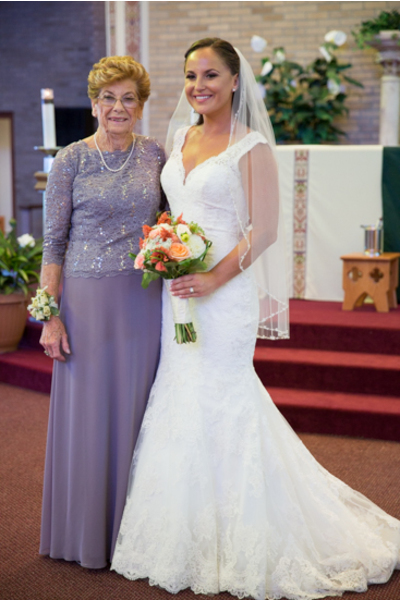 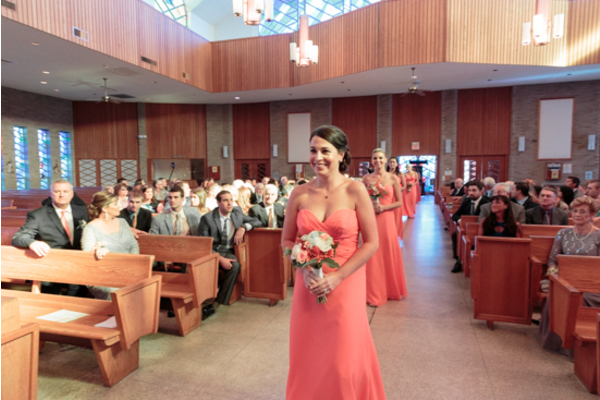 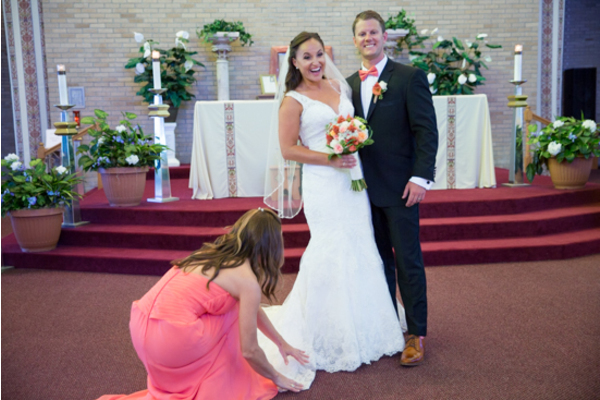 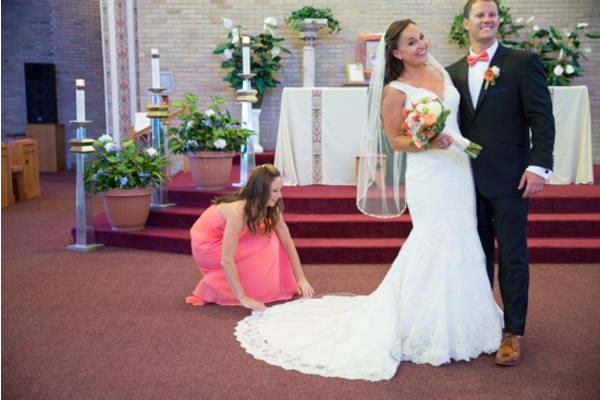 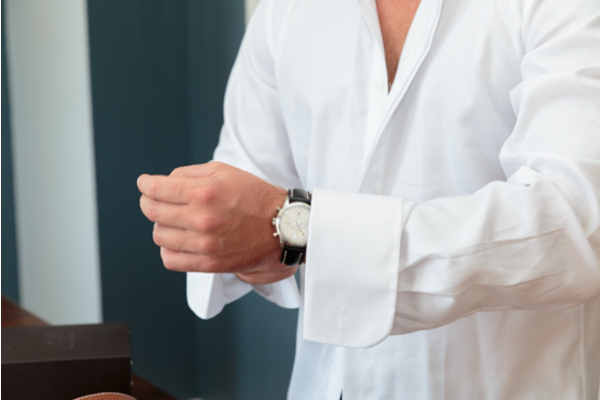 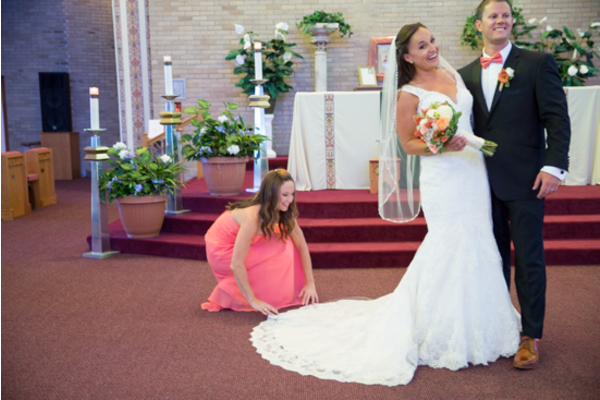 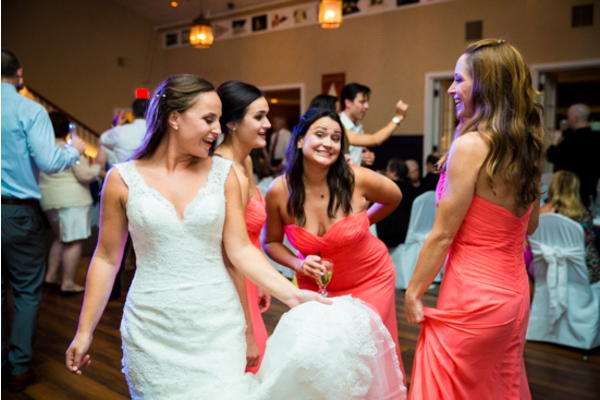 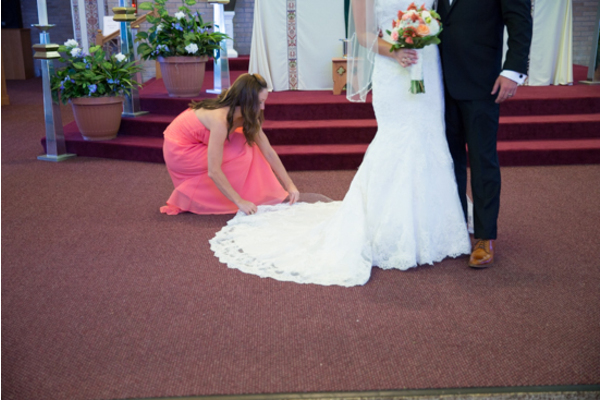 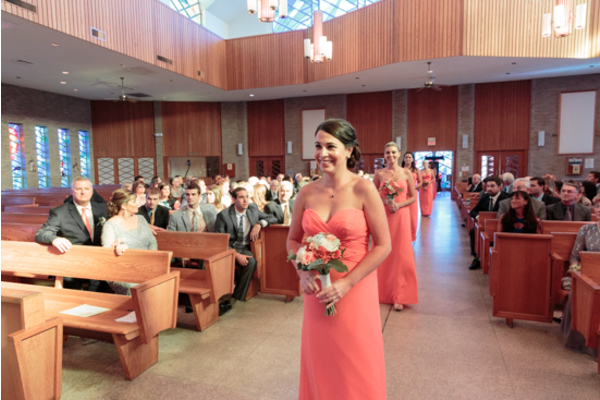 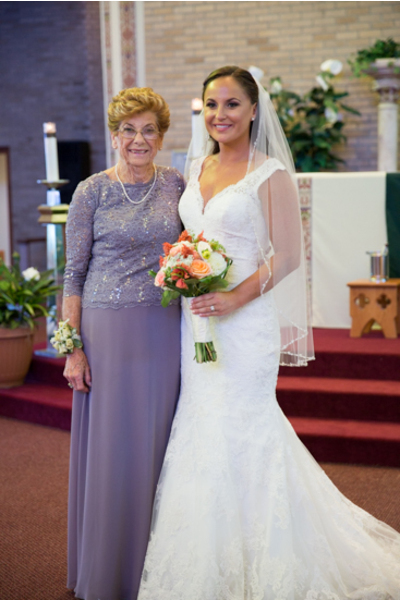 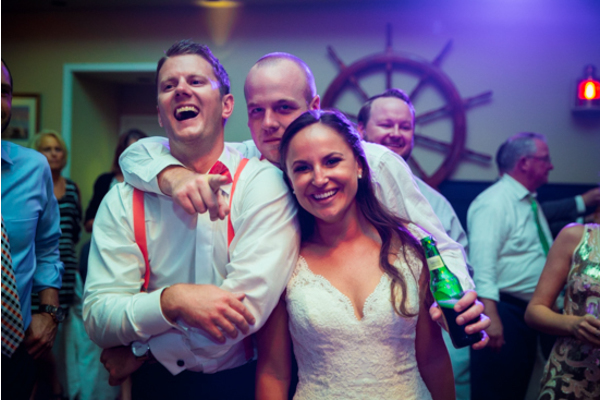 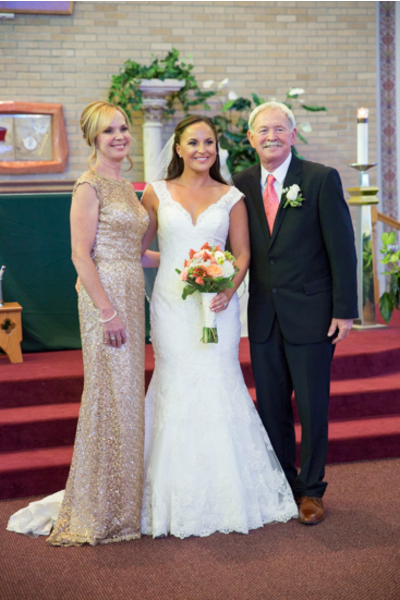 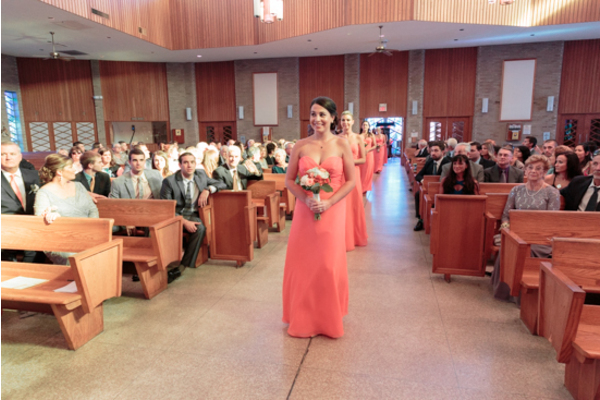 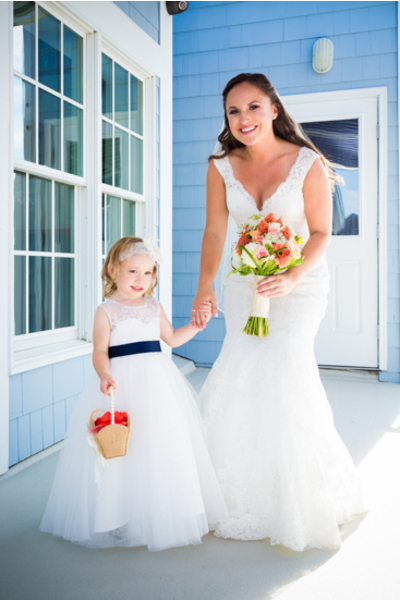 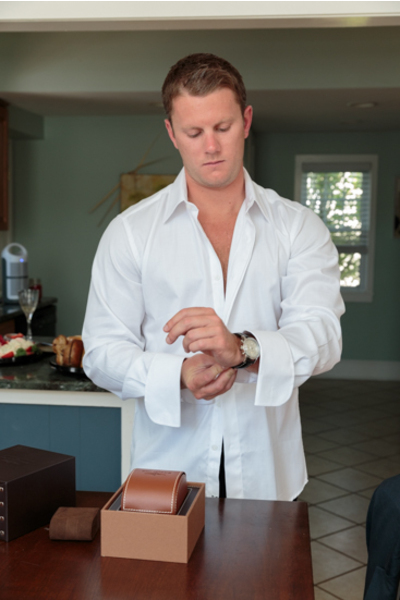 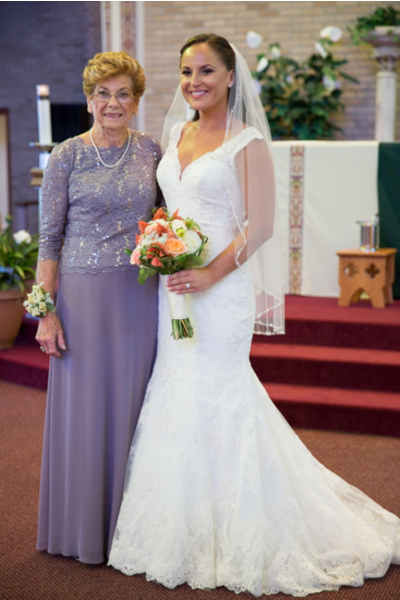 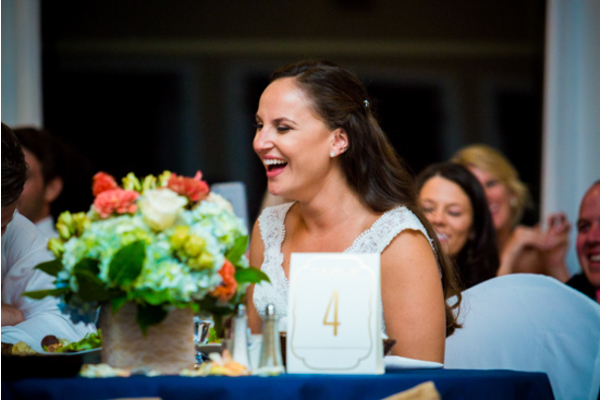 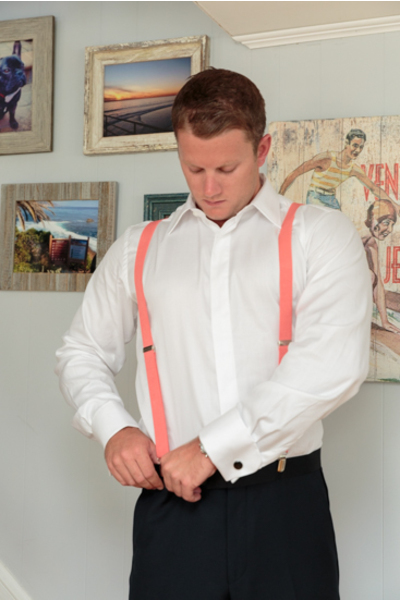 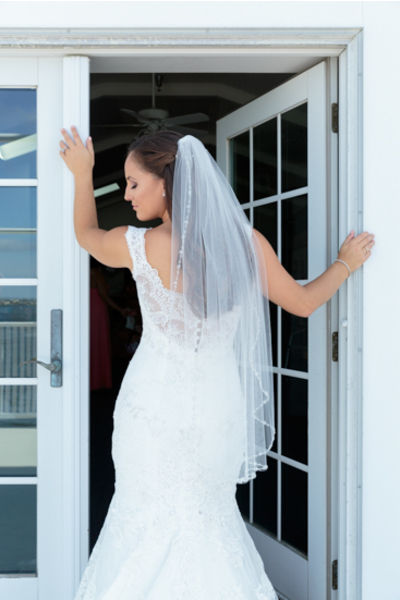 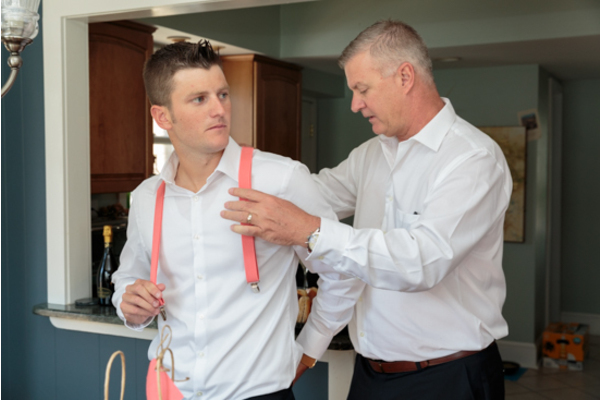 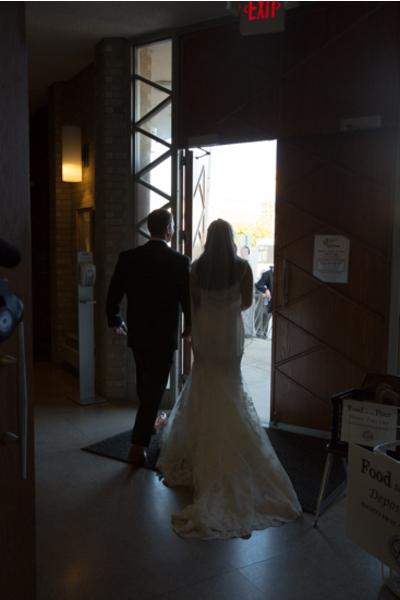 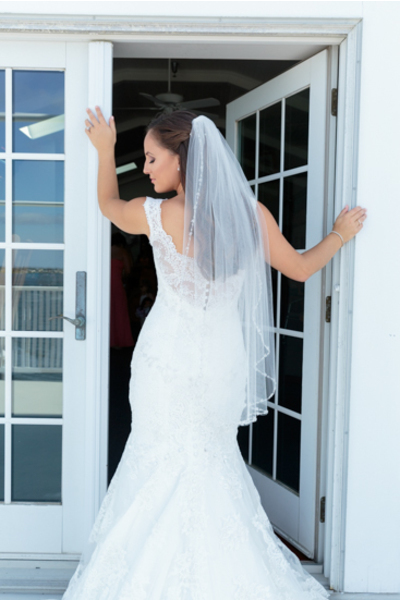 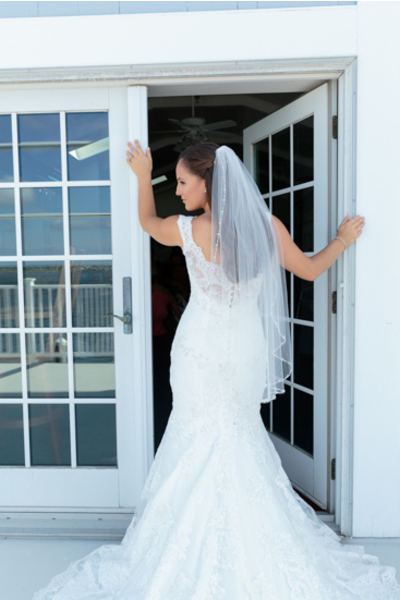 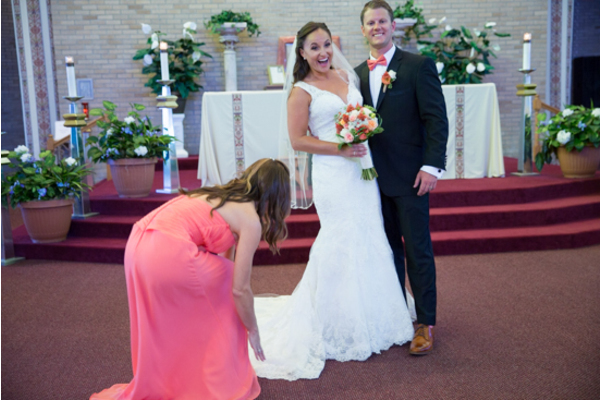 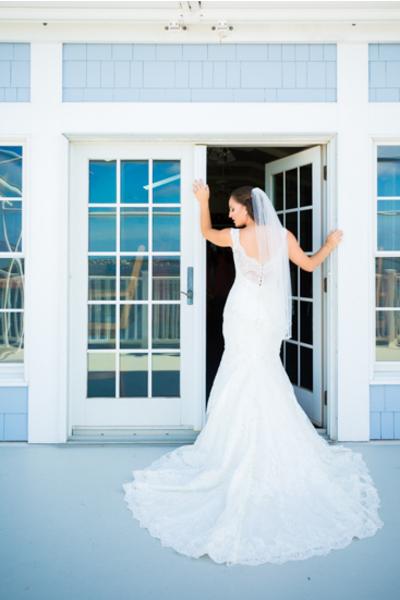 Once Rebecca was all zipped up into her gorgeous white gown it was time for the first looks. 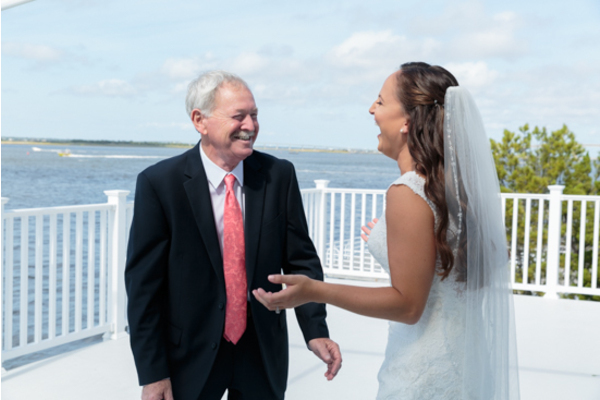 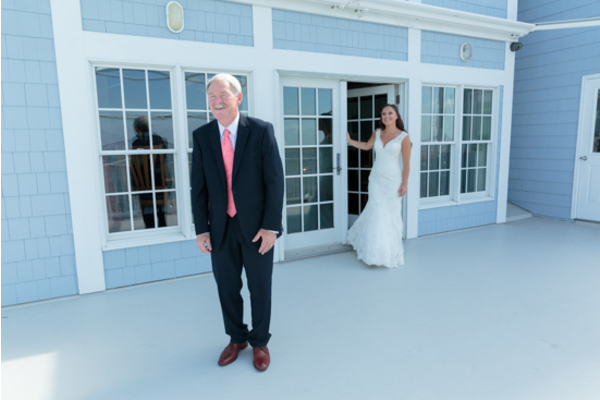 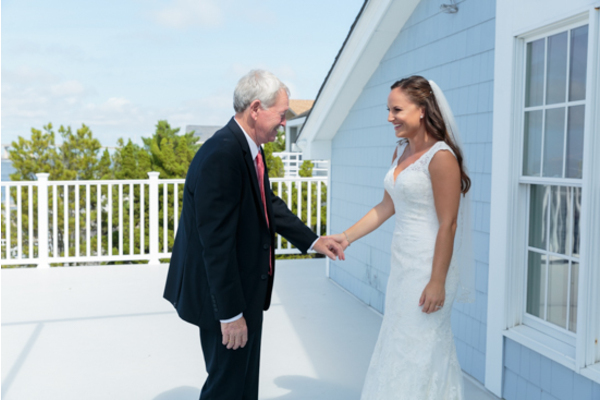 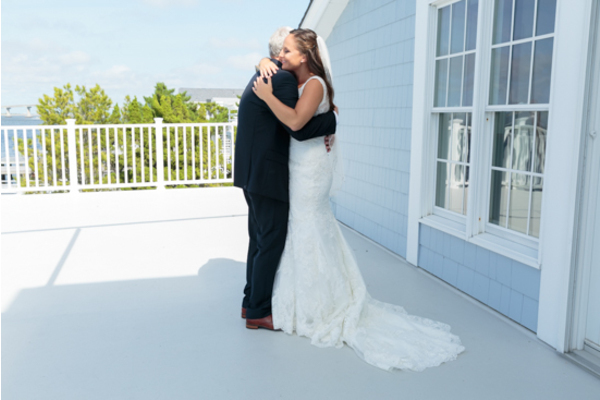 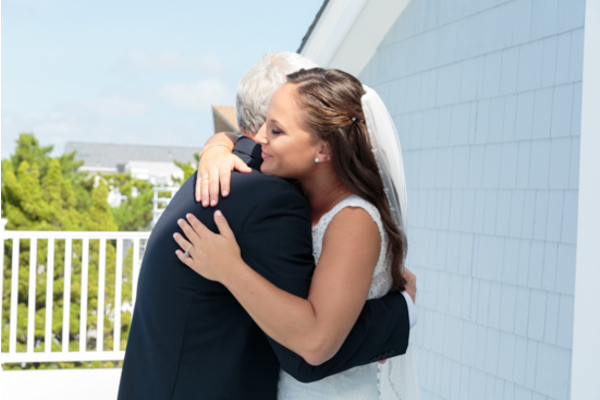 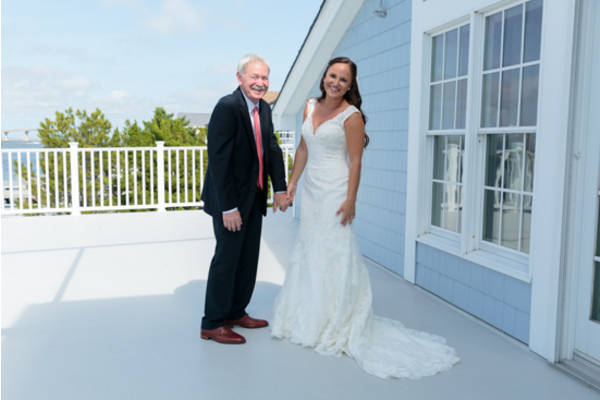 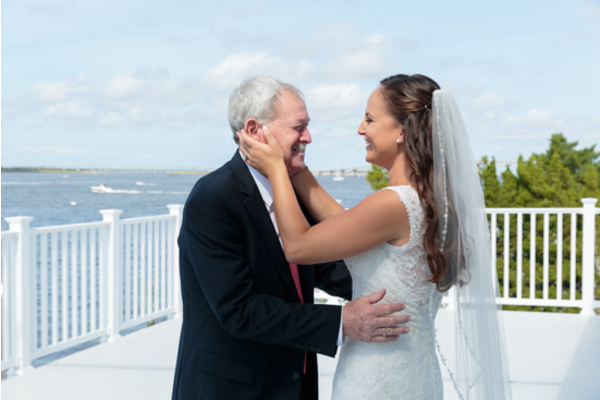 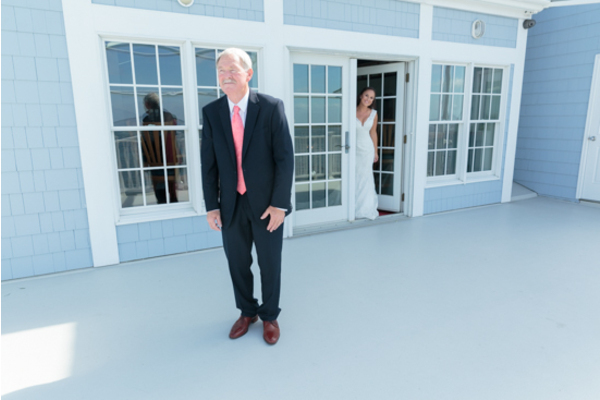 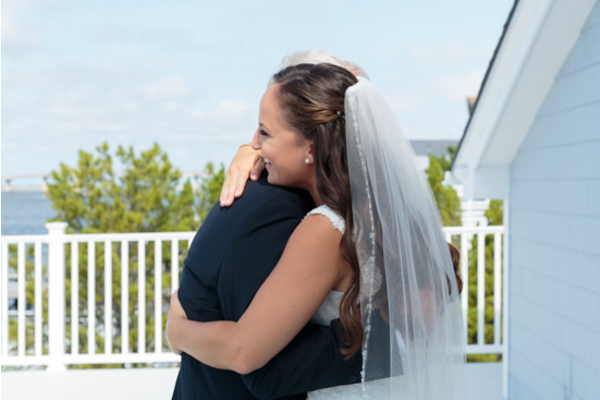 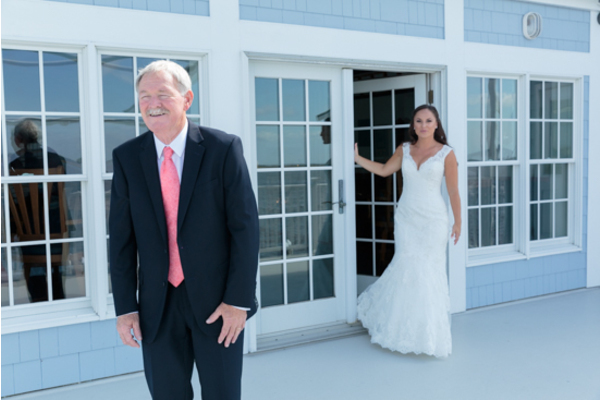 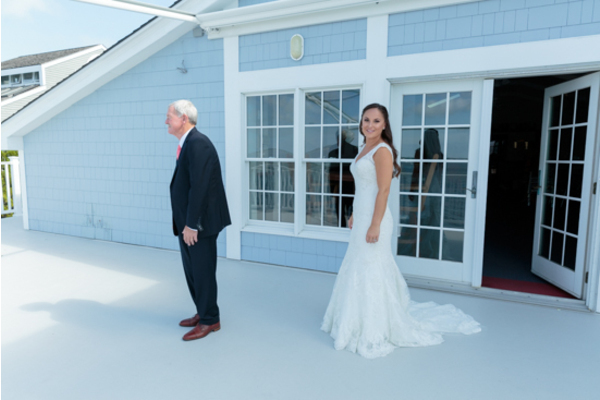 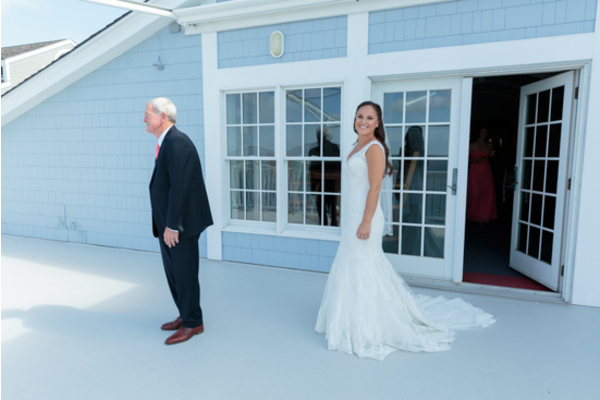 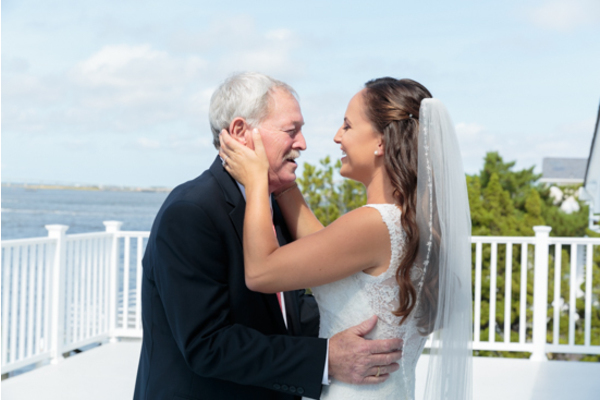 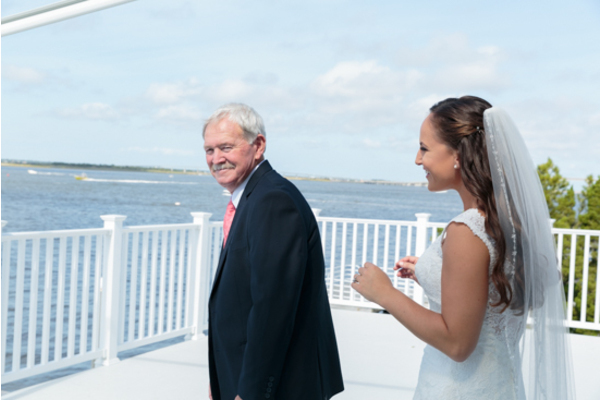 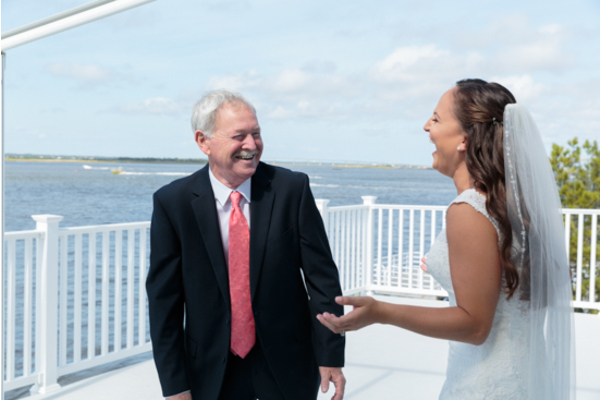 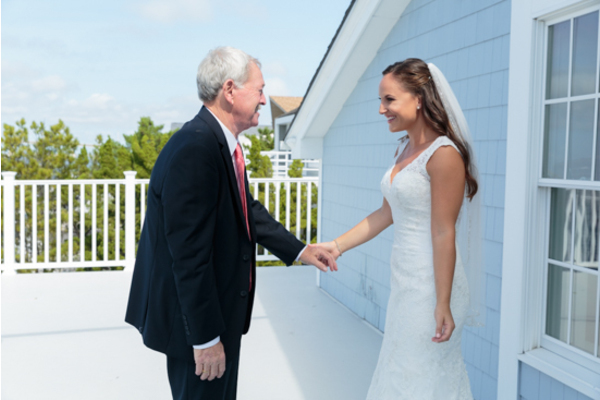 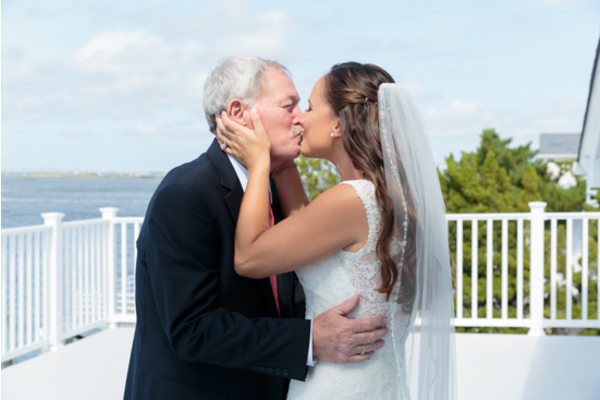 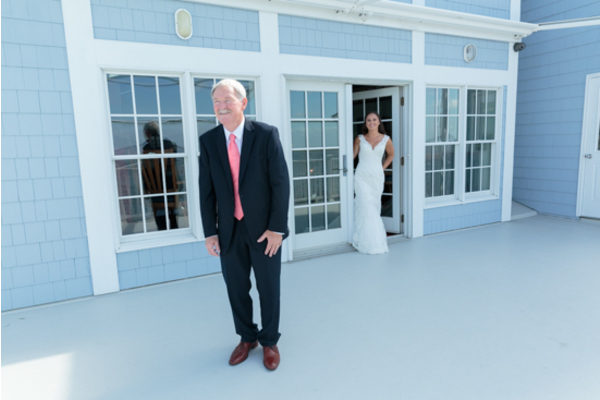 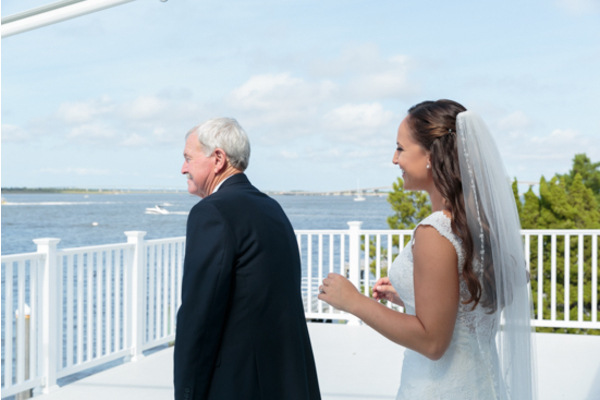 Rebecca’s father was first, you can easily see the excitement in Rebecca’s face as she walked onto the deck to surprise her father. 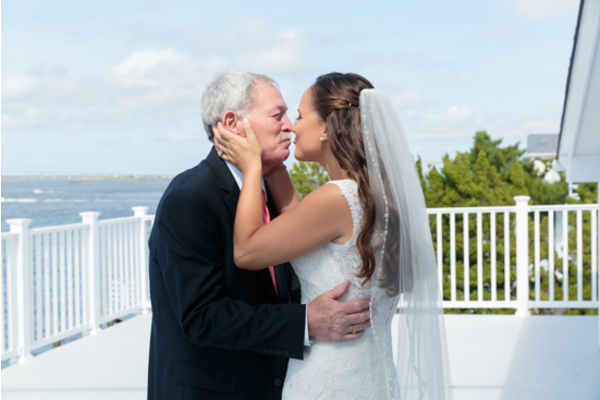 Blown away by her beauty Rebecca’s father hugged her close, expressing how proud he was of her. 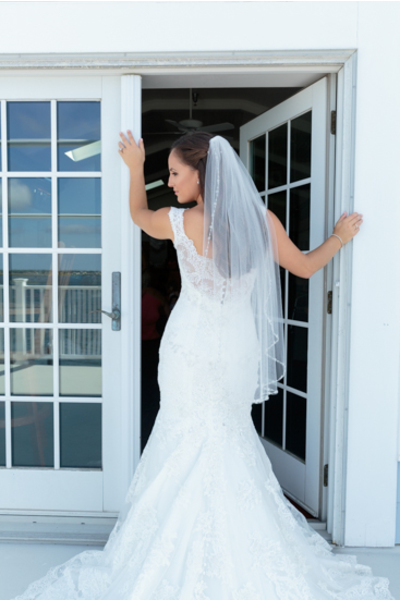 After her father it was time for Justin’s first look. 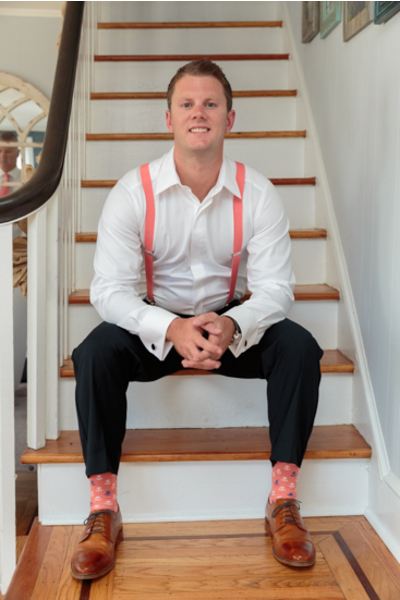 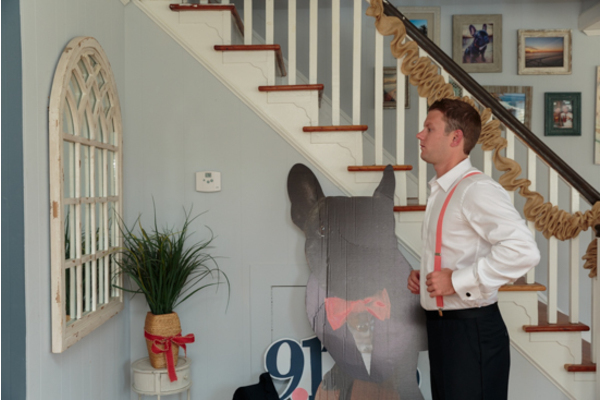 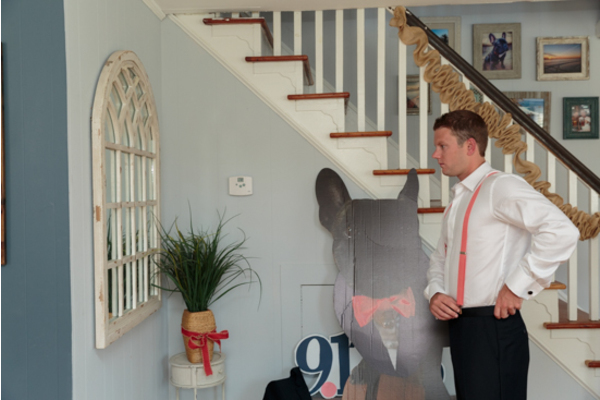 Standing out on the same deck Justin patiently awaited his bride. 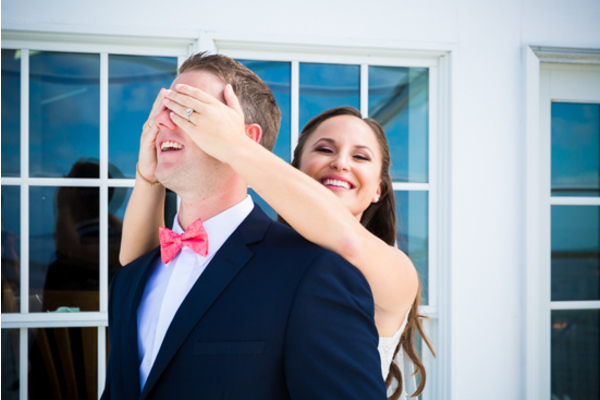 Rebecca sneaked up on Justin and covered his eyes from behind while whispering “guess who.” Justin immediately turned around and was star struck by Rebecca’s beauty. 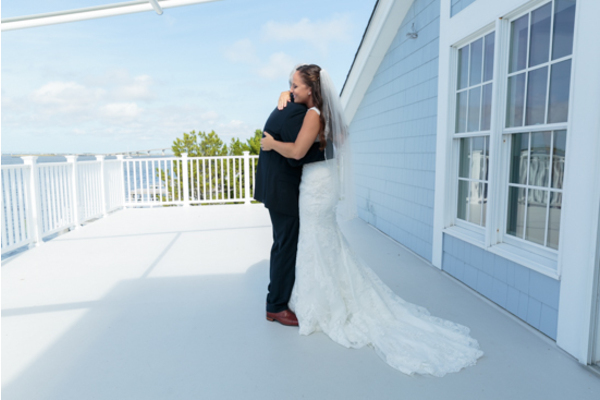 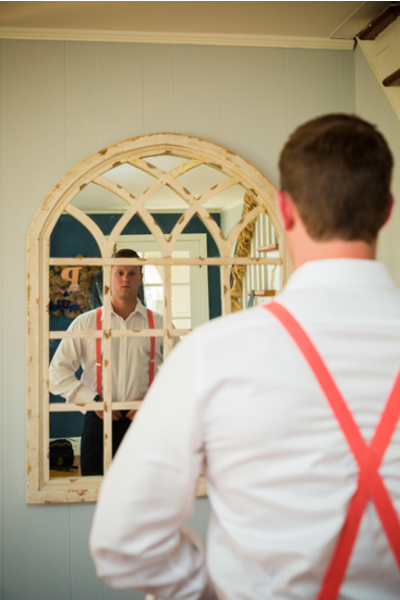 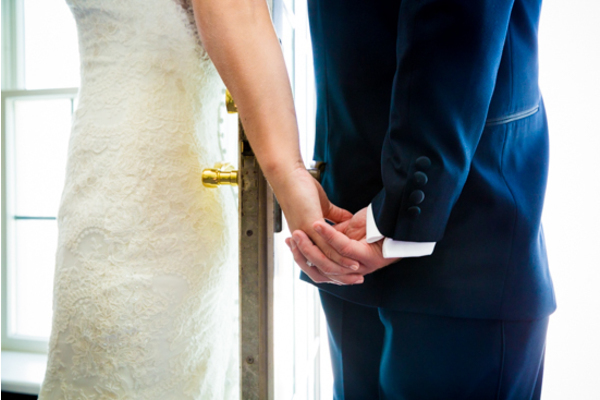 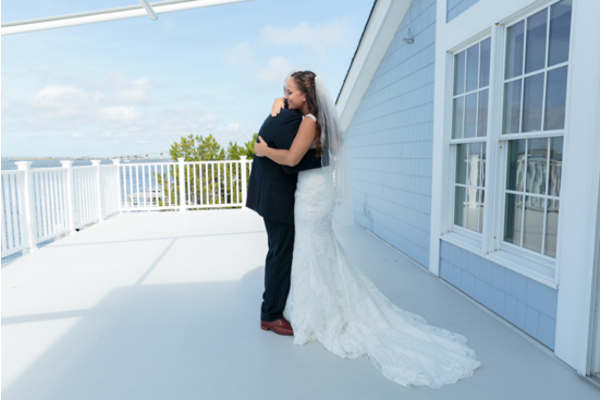 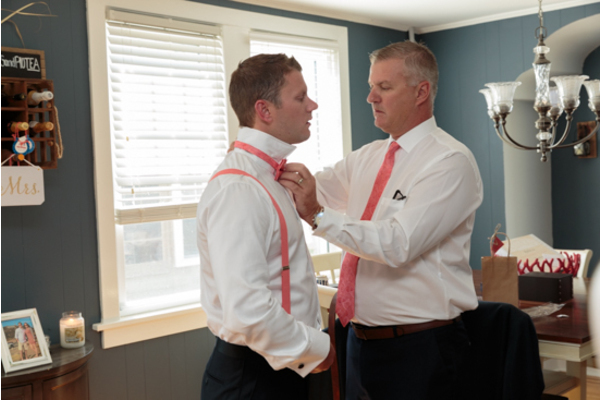 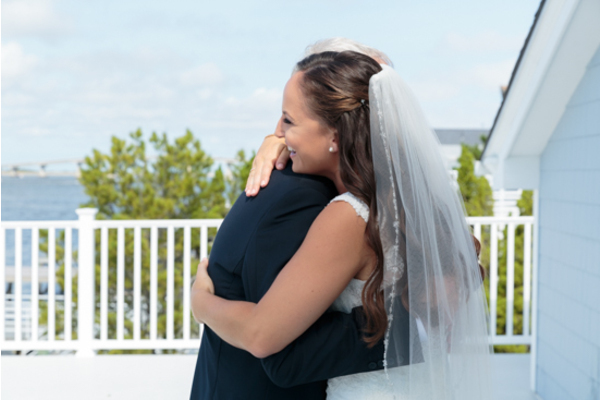 Our NJ wedding photographer captured every moment including when the couple stood in each other’s arms before heading down to the ceremony. 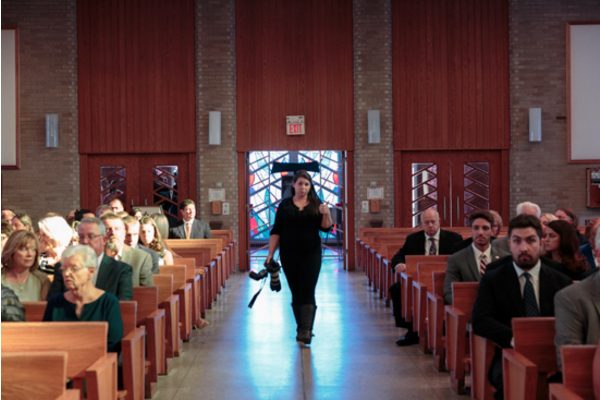 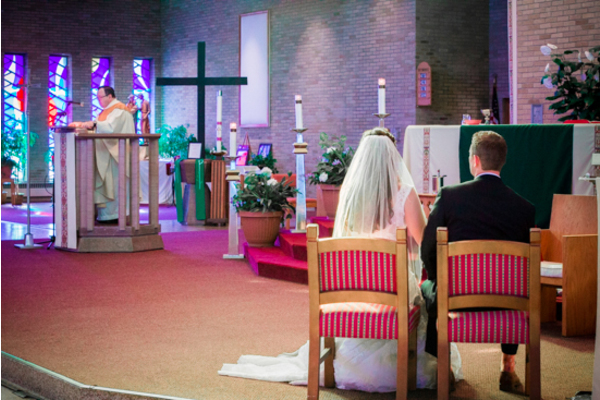 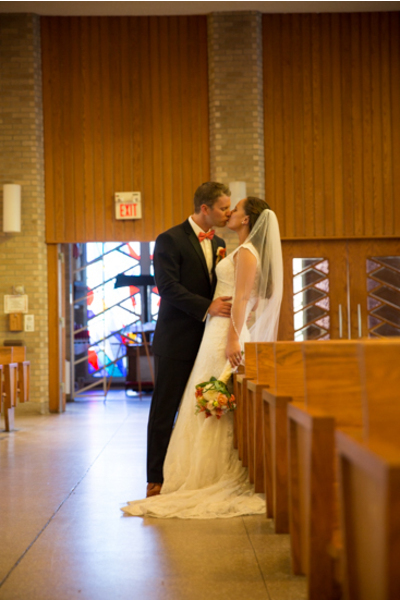 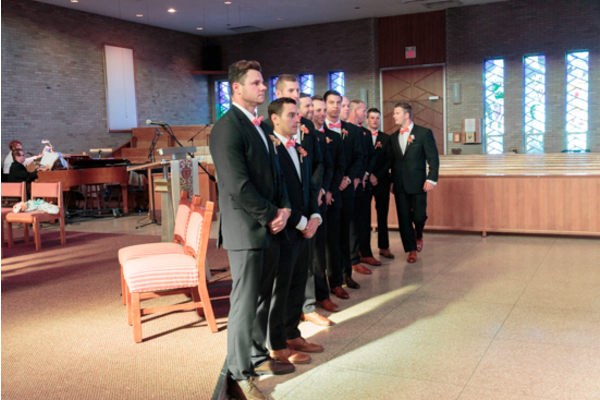 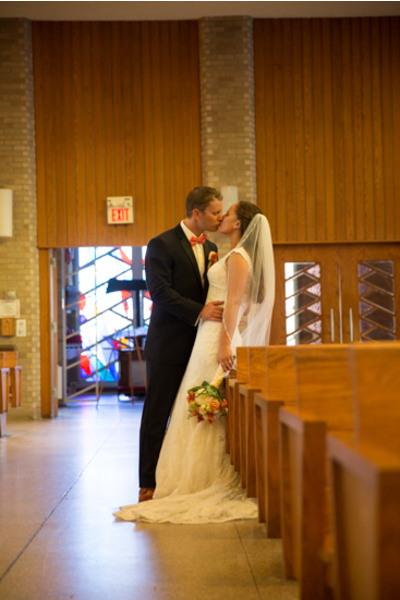 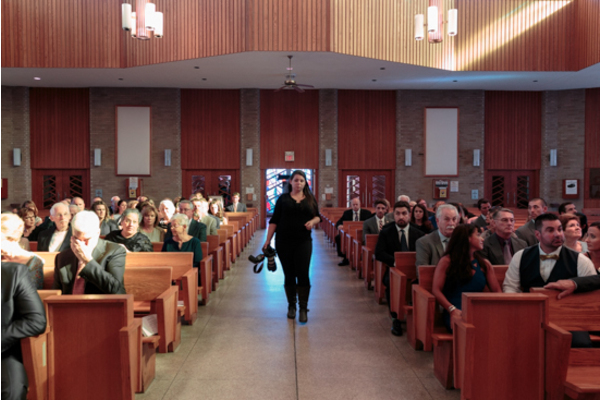 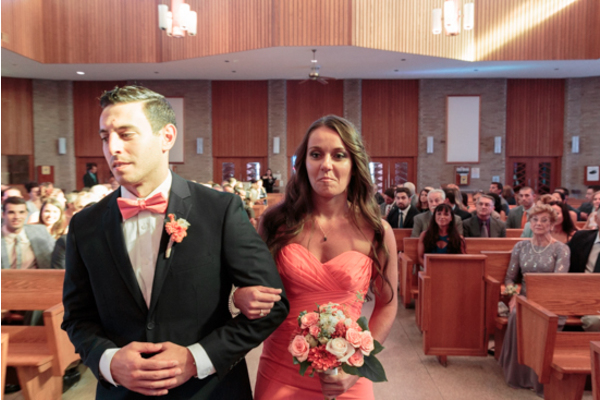 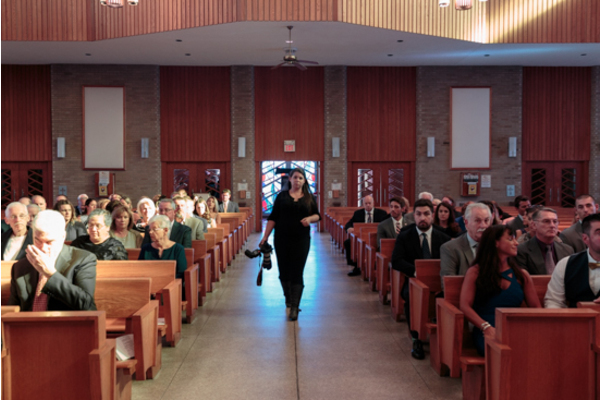 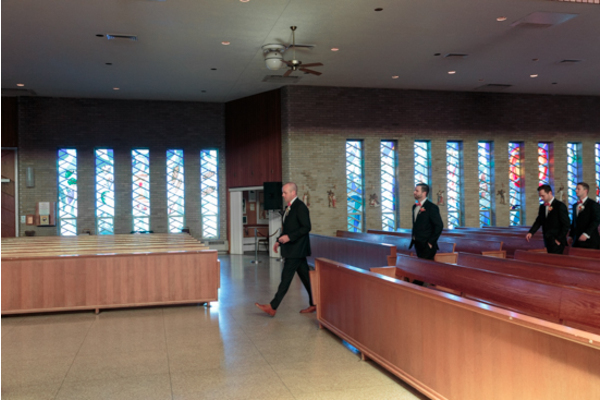 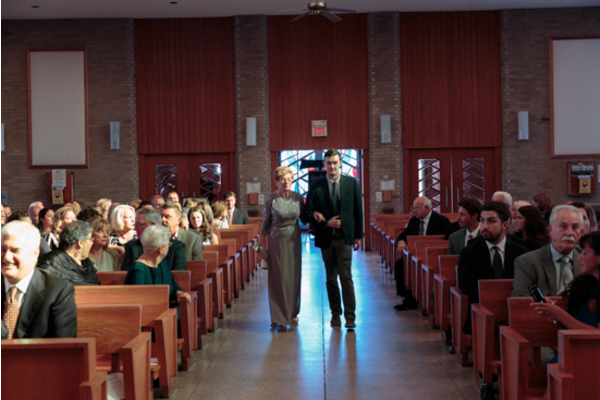 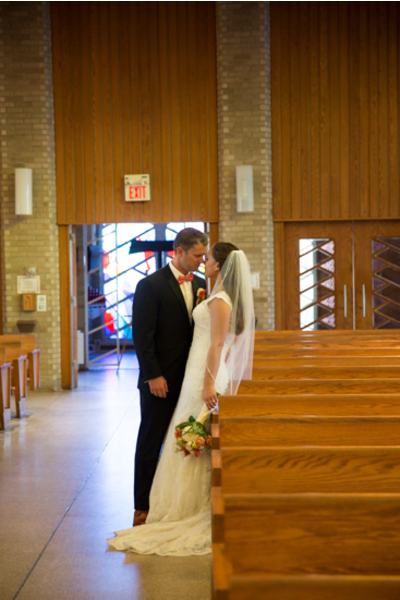 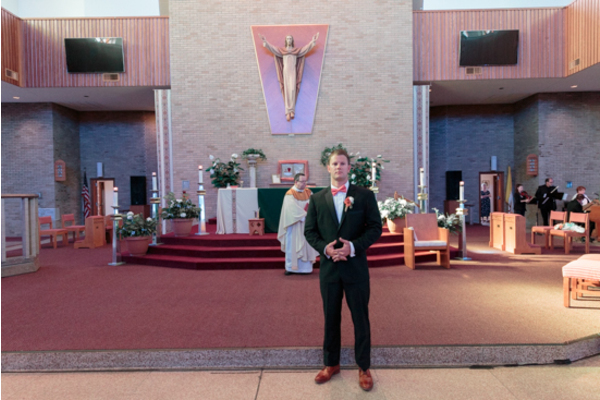 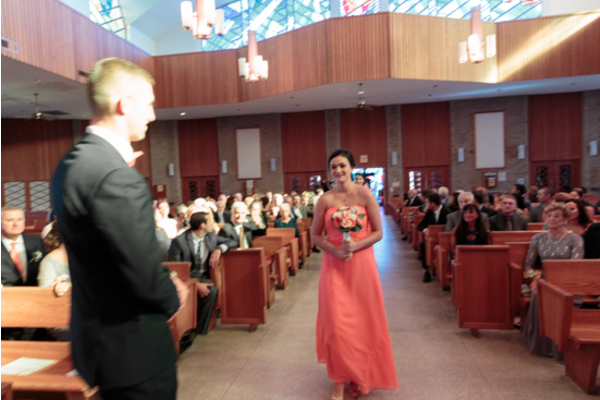 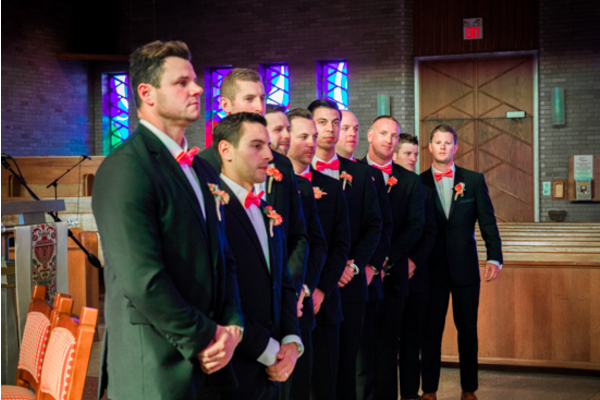 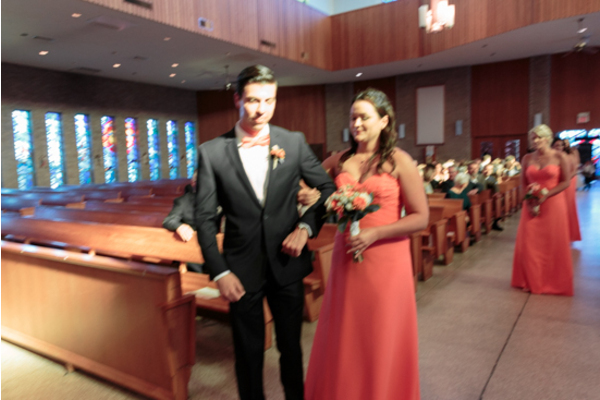 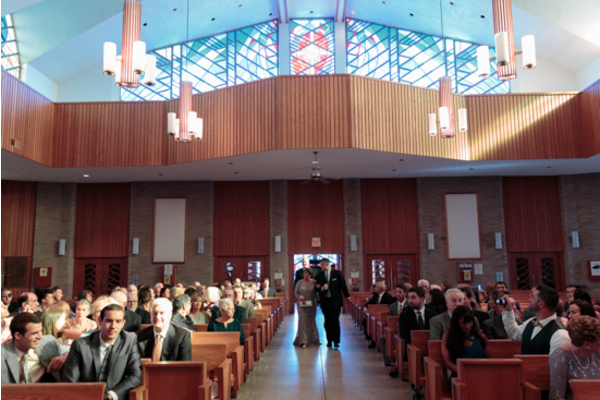 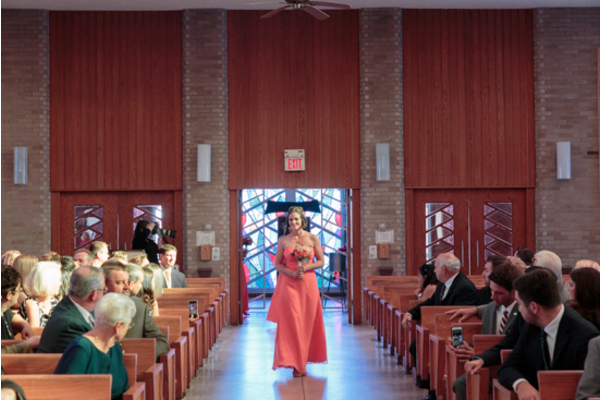 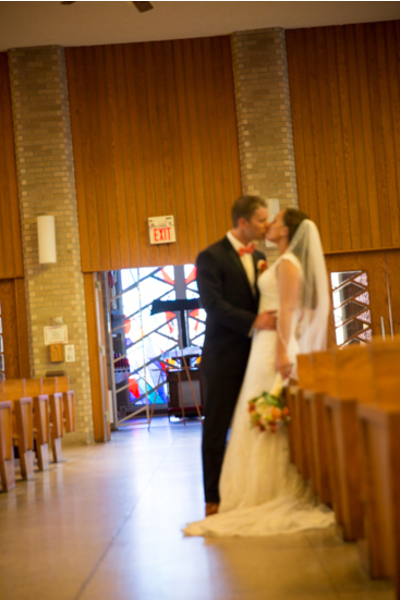 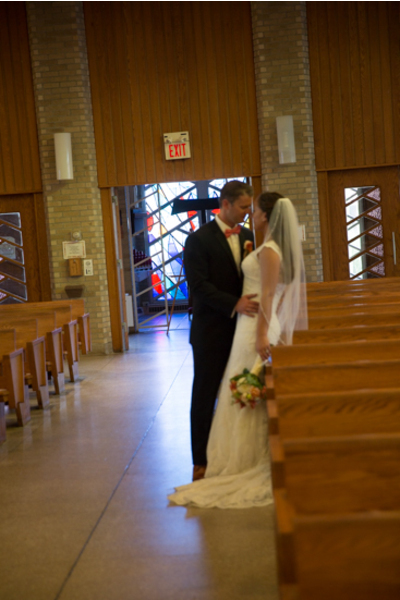 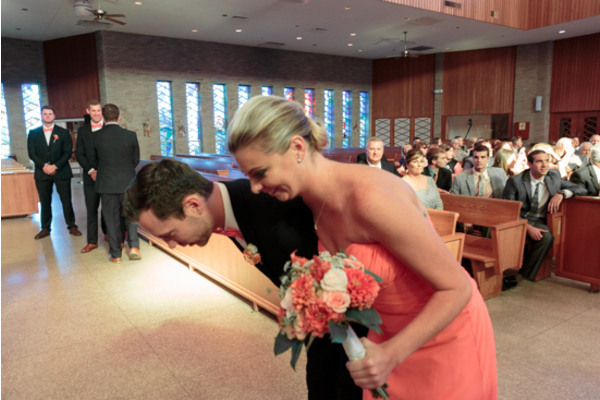 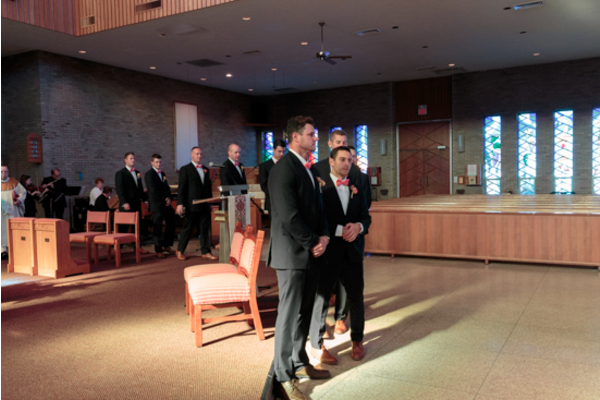 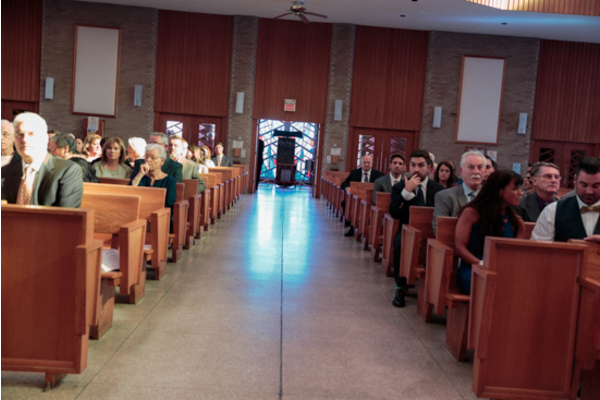 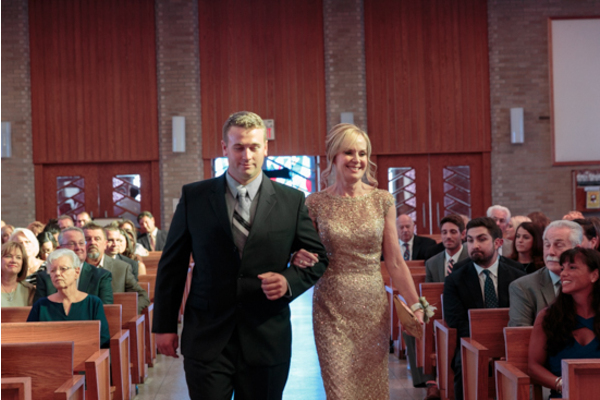 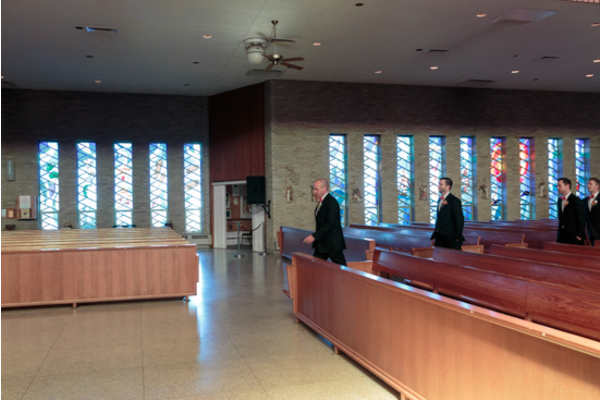 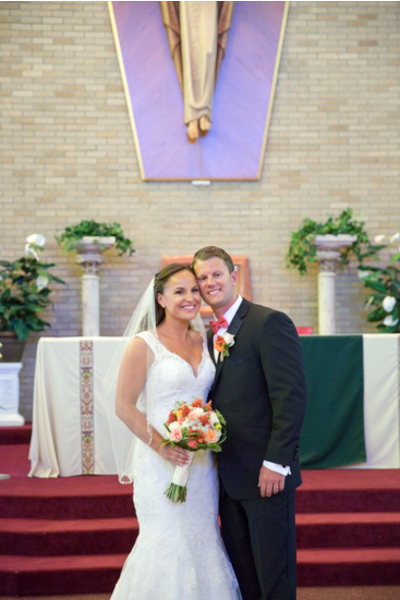 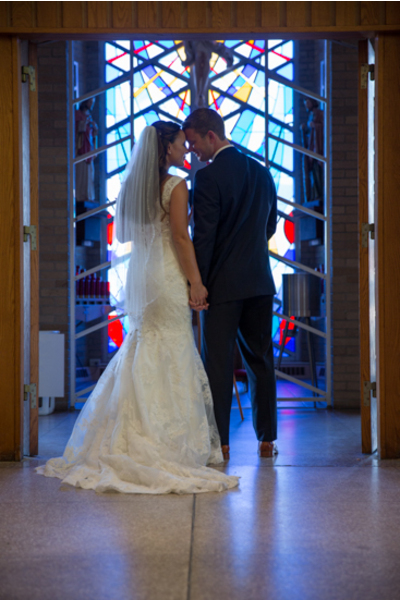 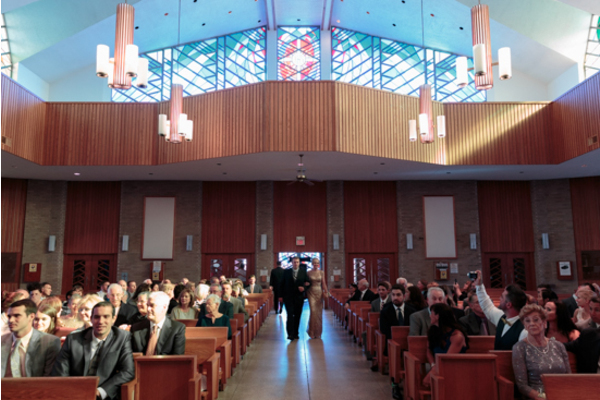 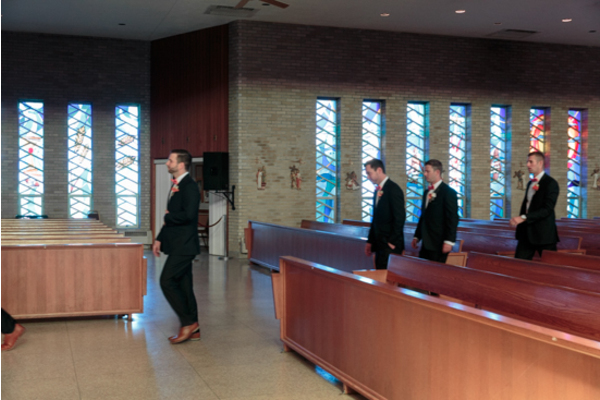 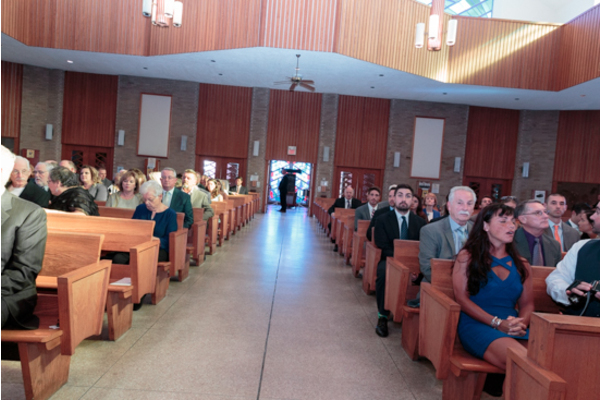 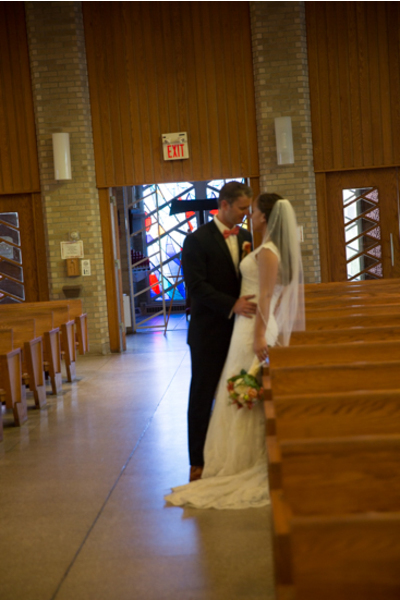 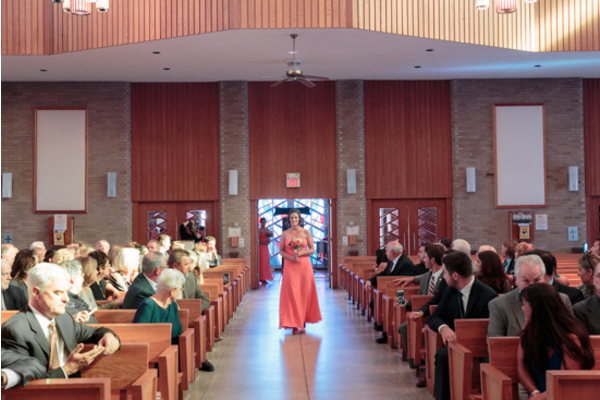 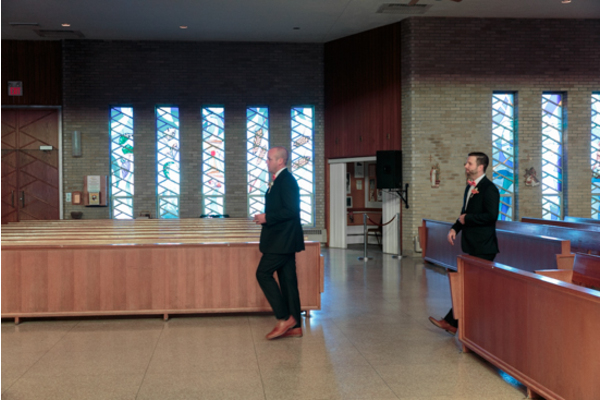 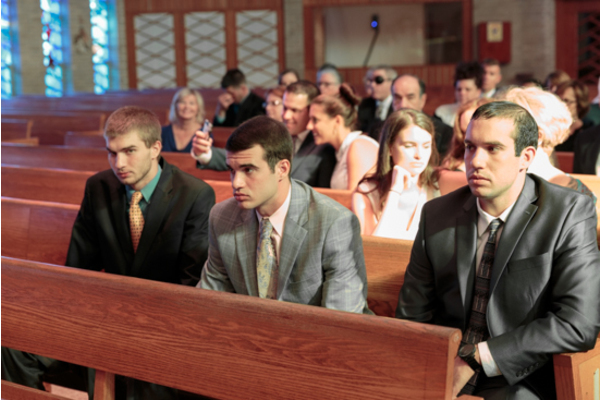 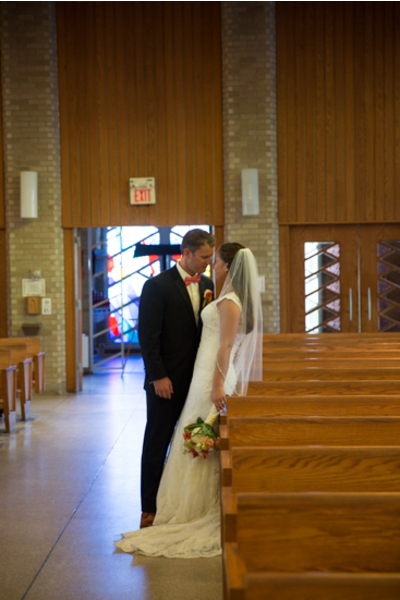 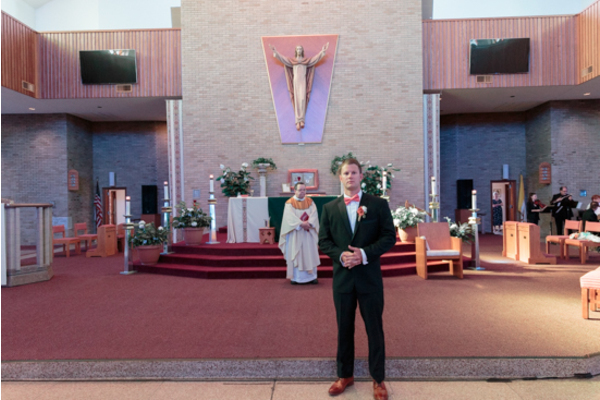 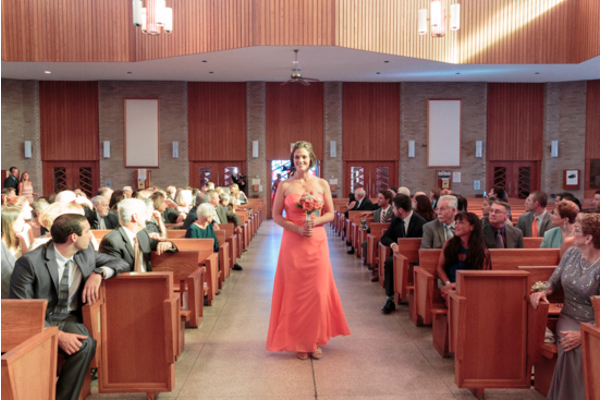 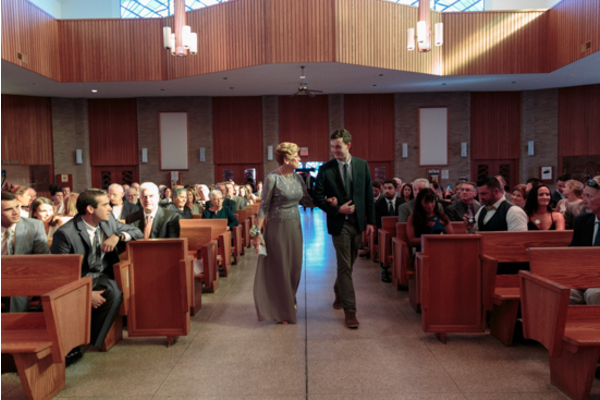 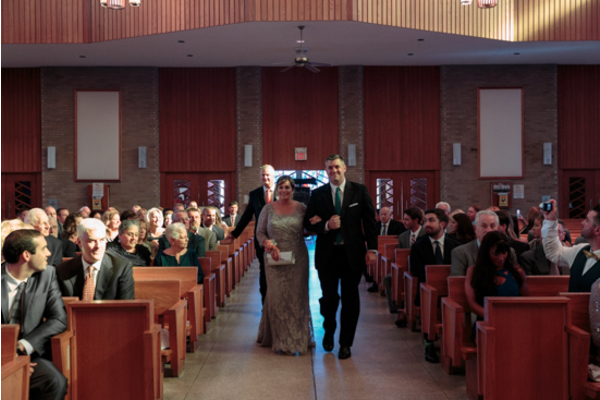 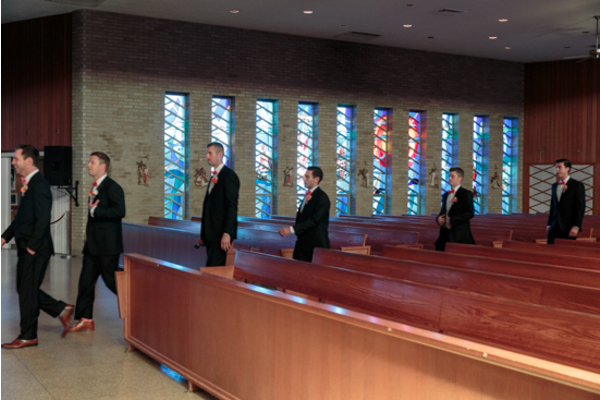 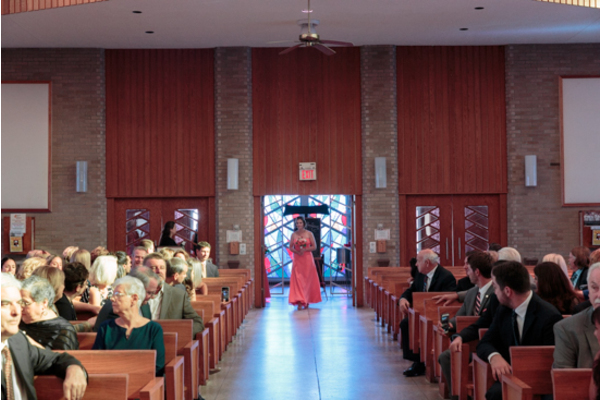 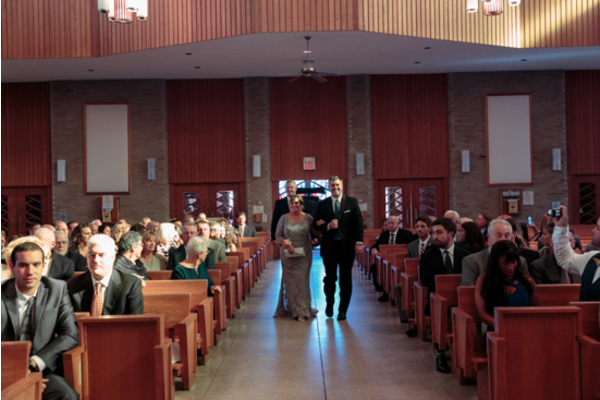 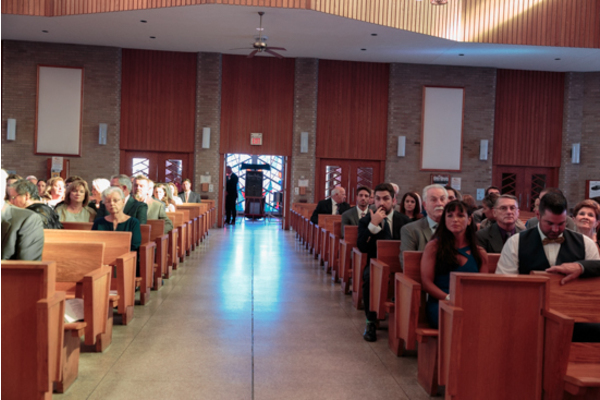 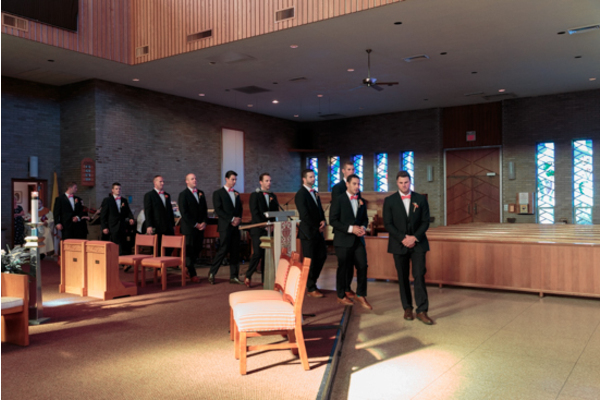 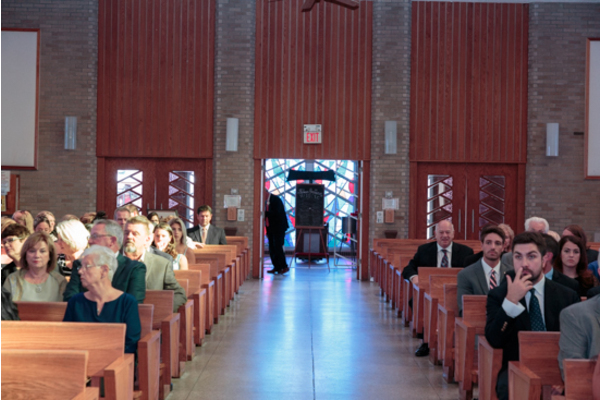 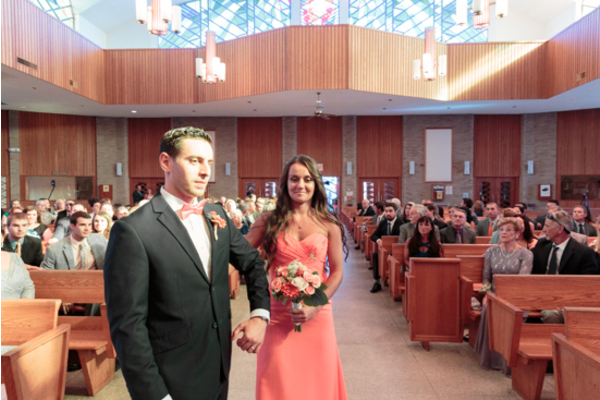 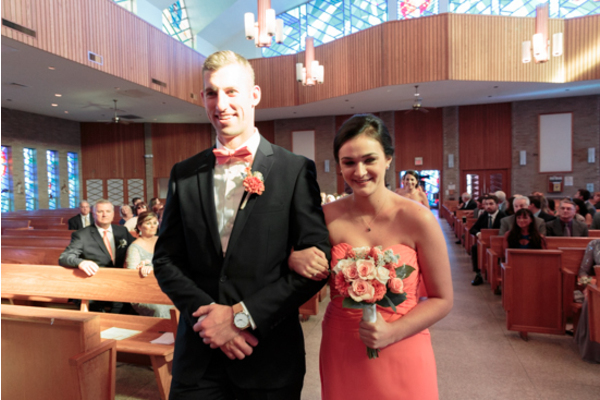 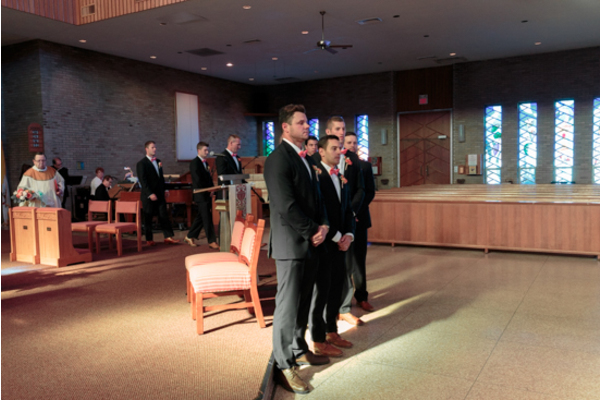 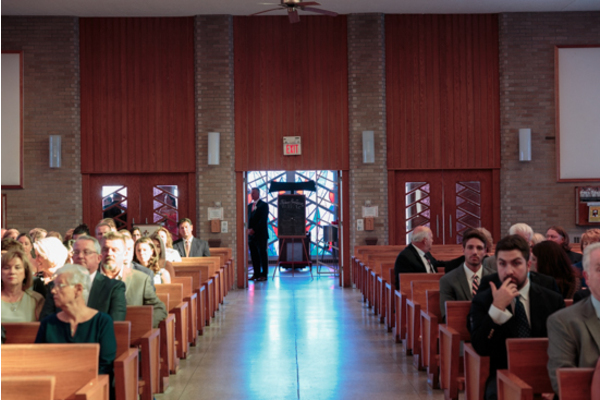 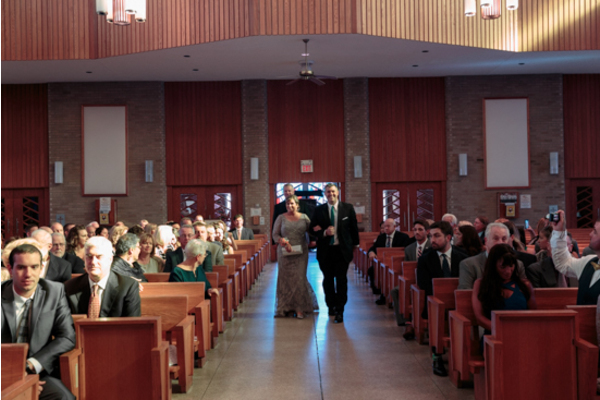 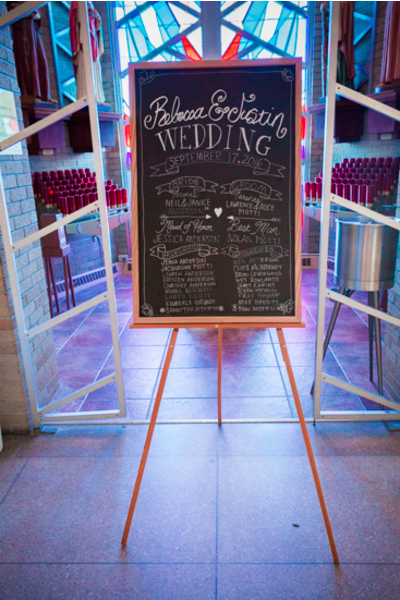 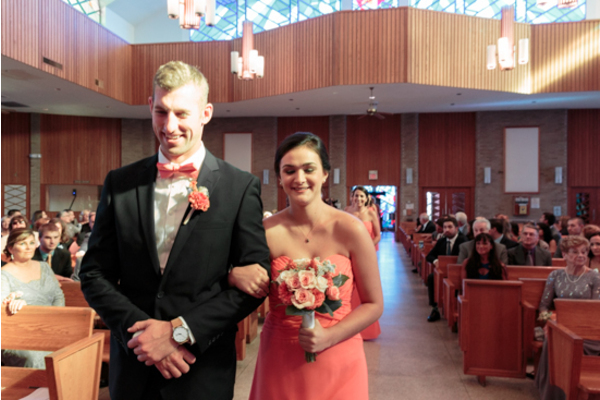 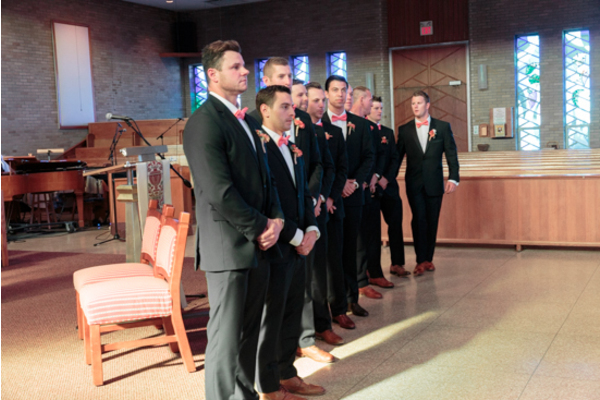 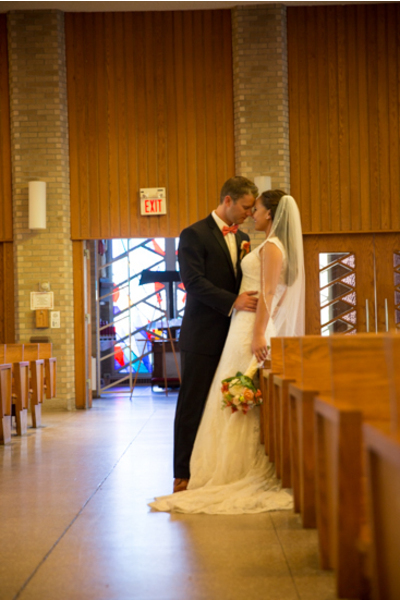 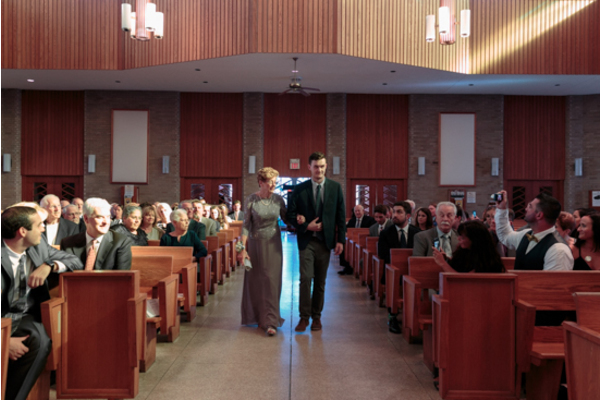 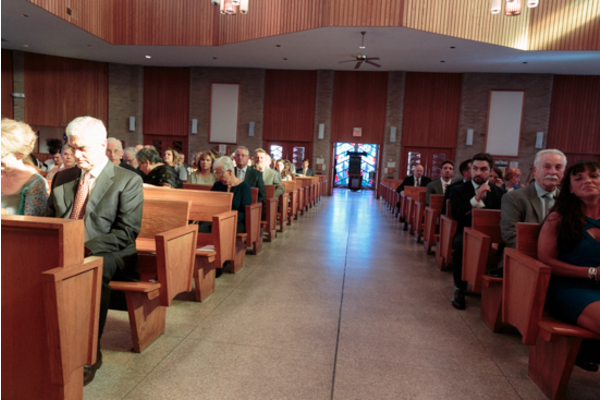 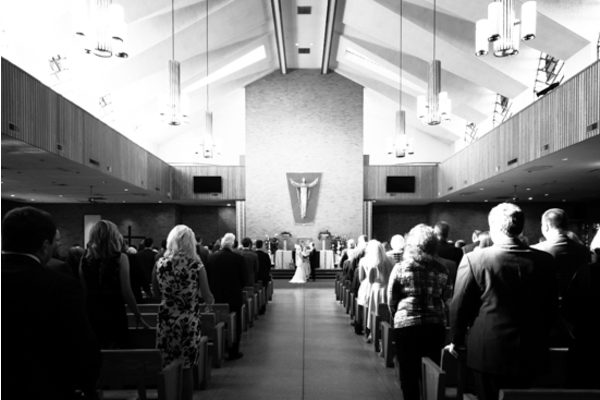 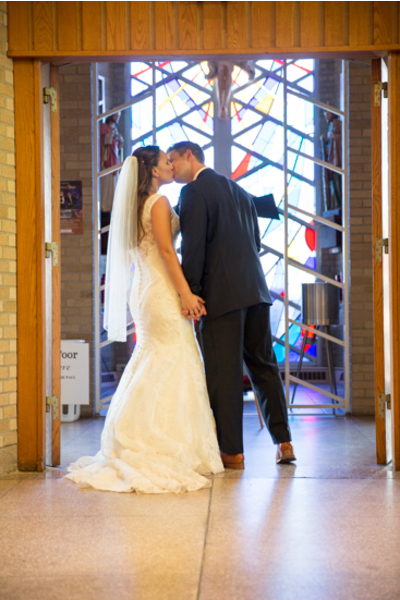 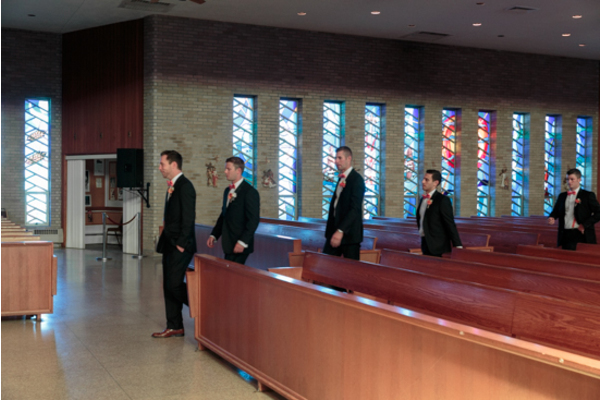 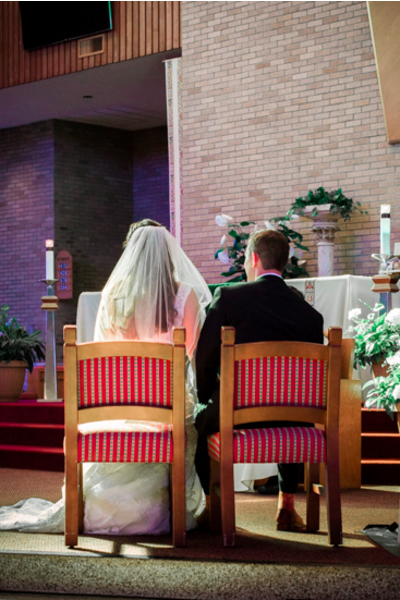 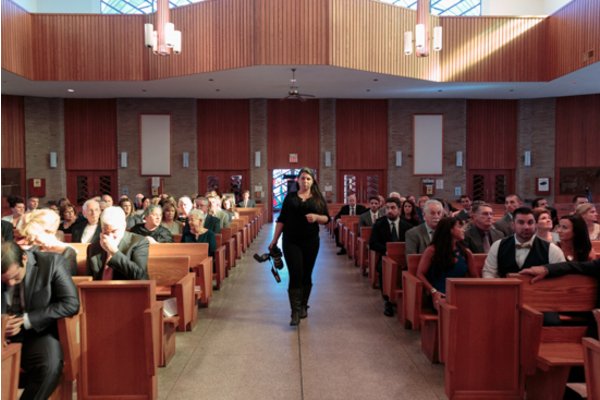 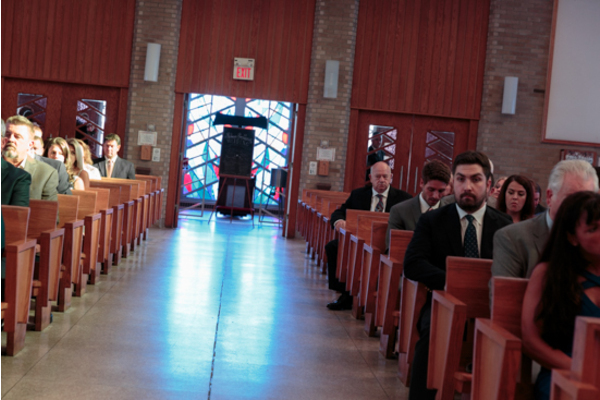 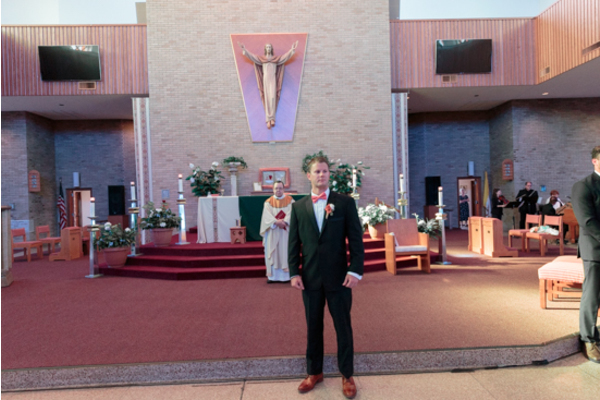 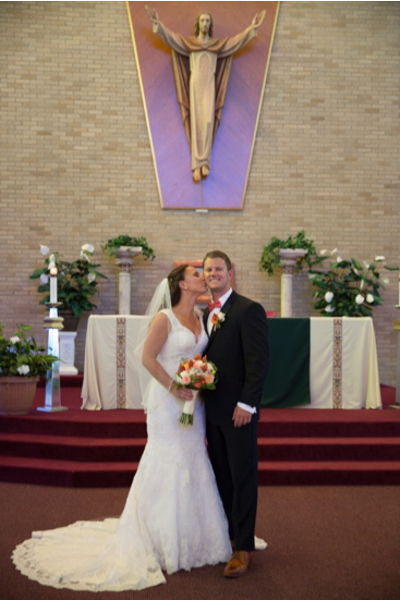 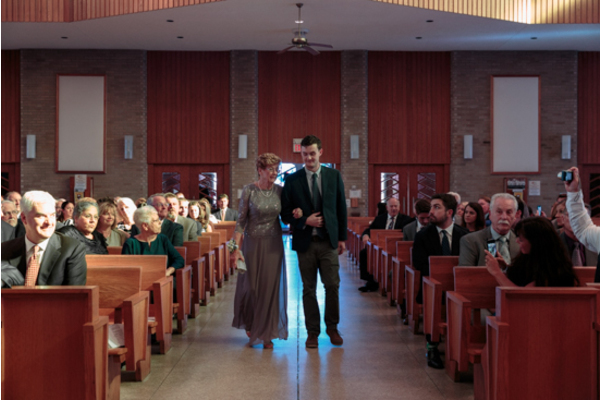 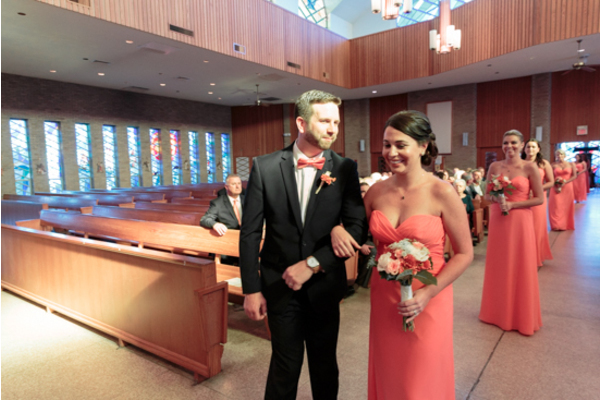 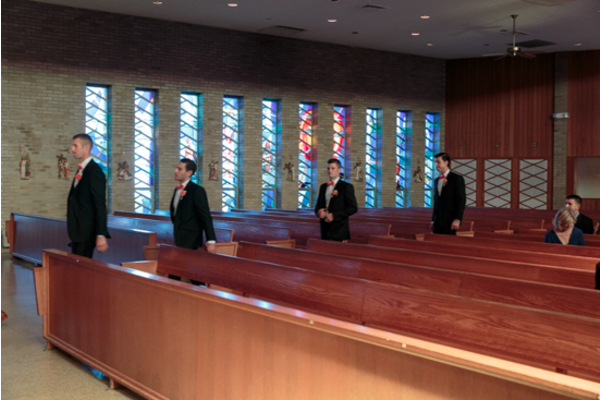 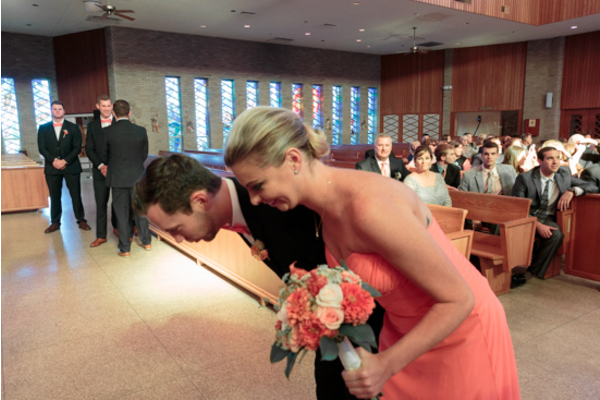 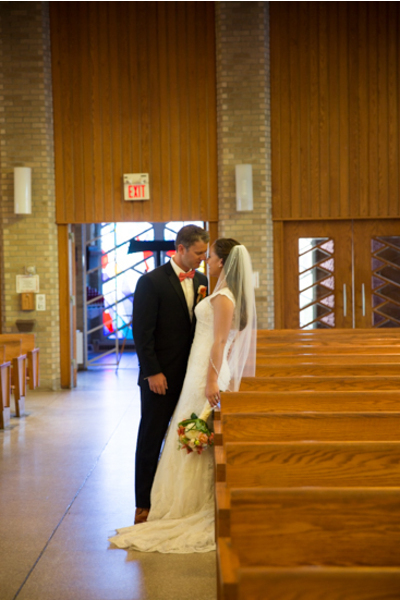 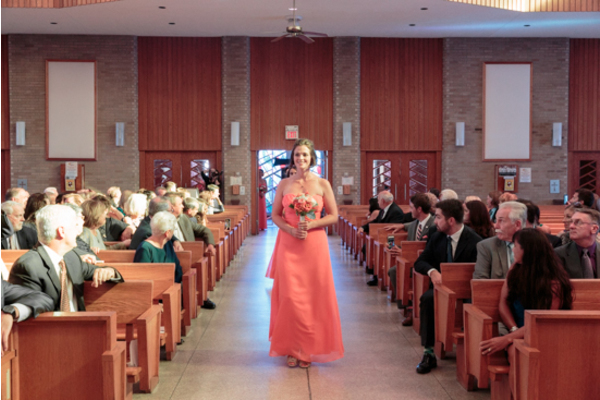 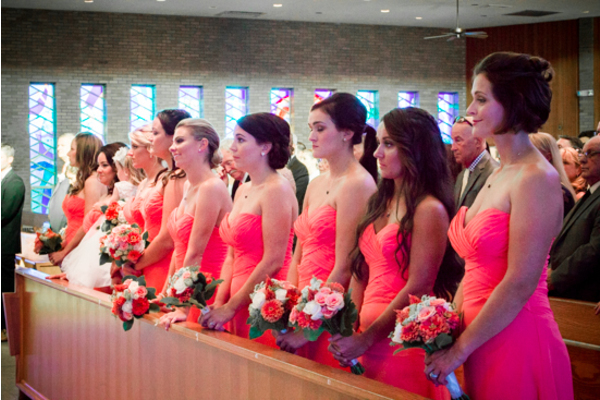 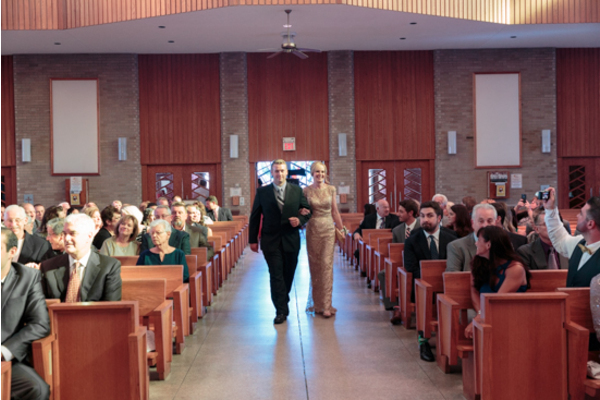 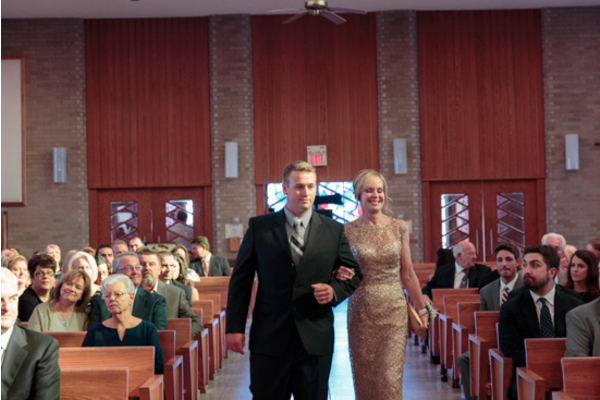 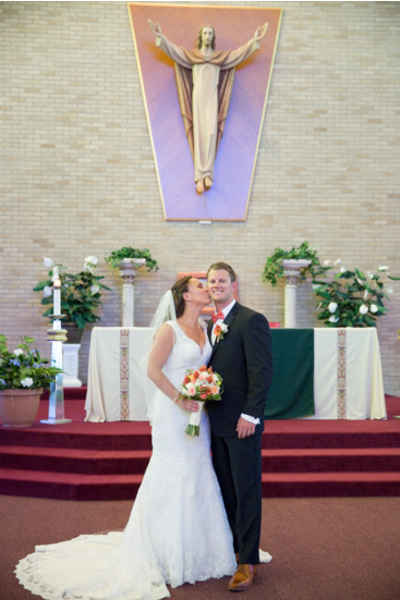 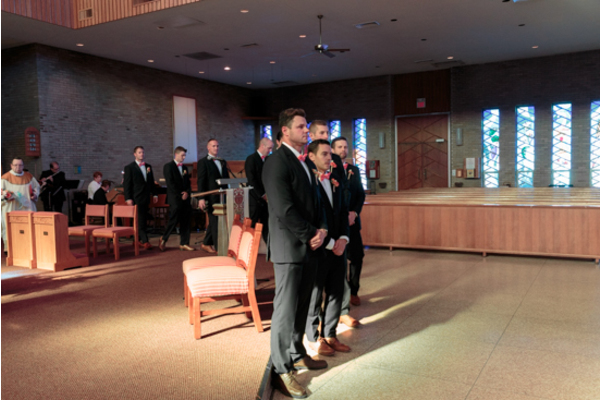 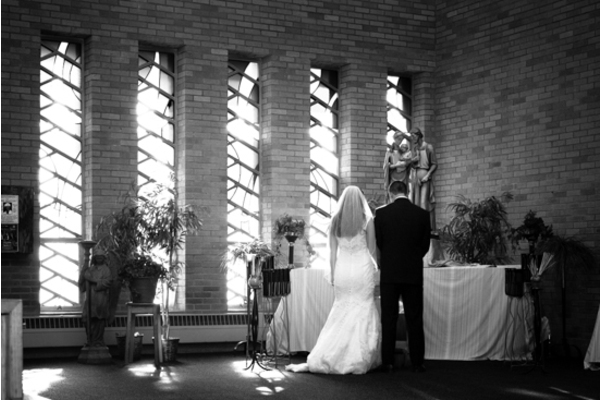 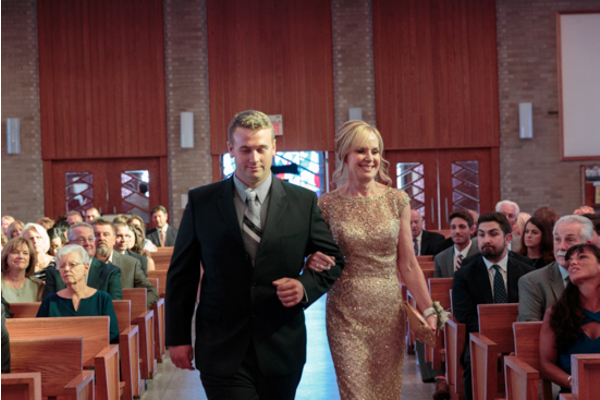 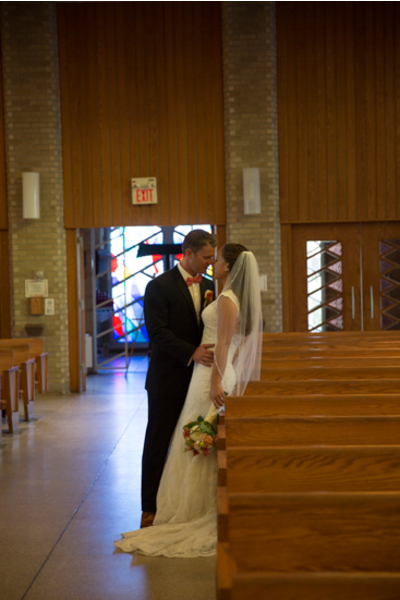 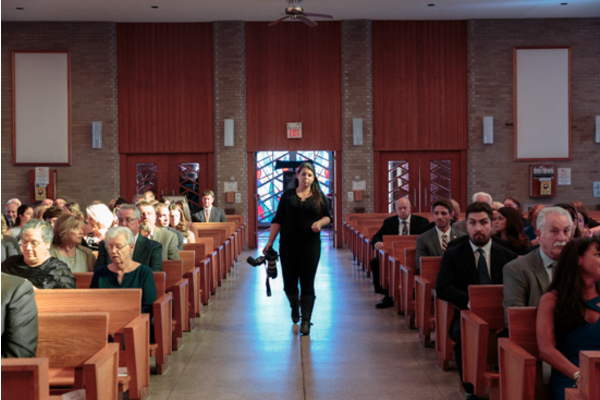 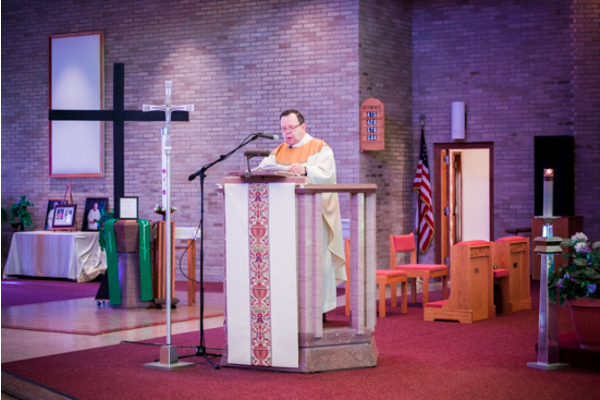 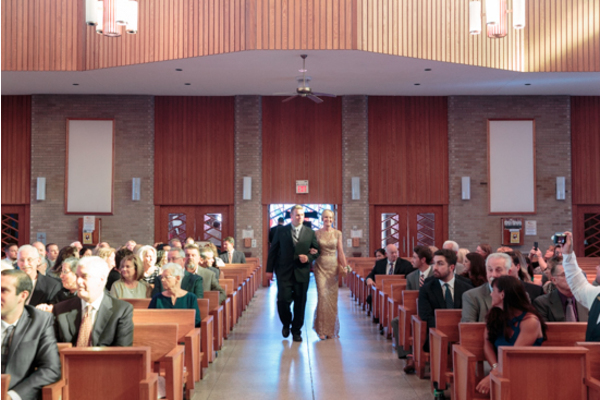 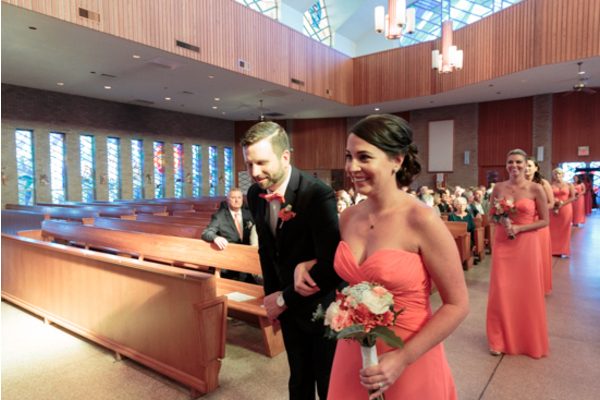 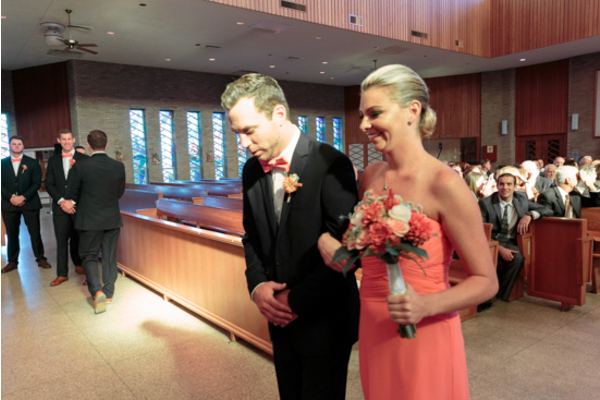 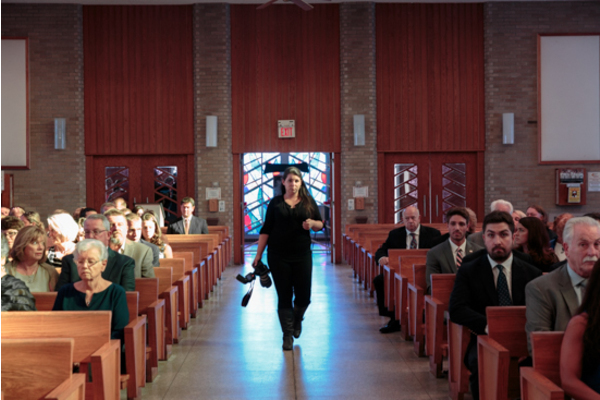 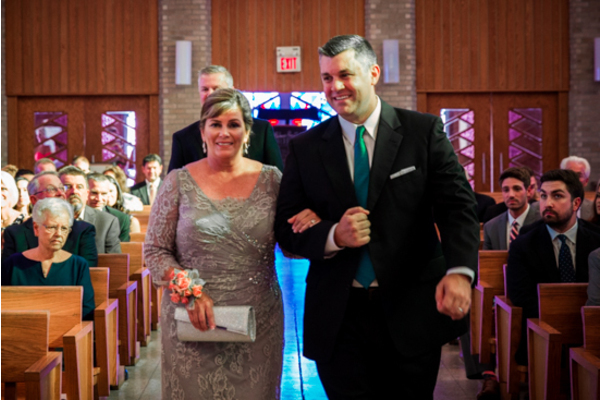 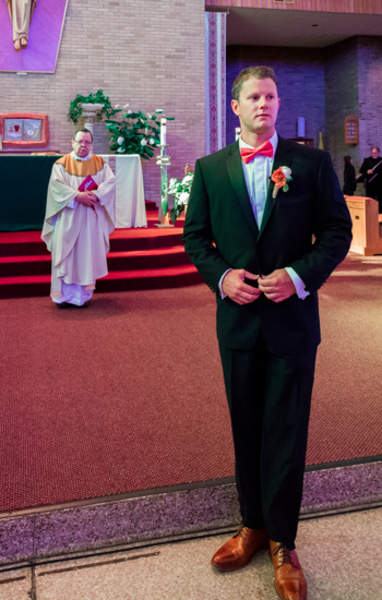 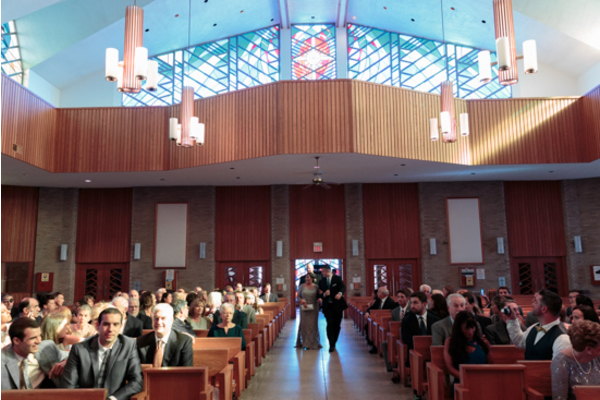 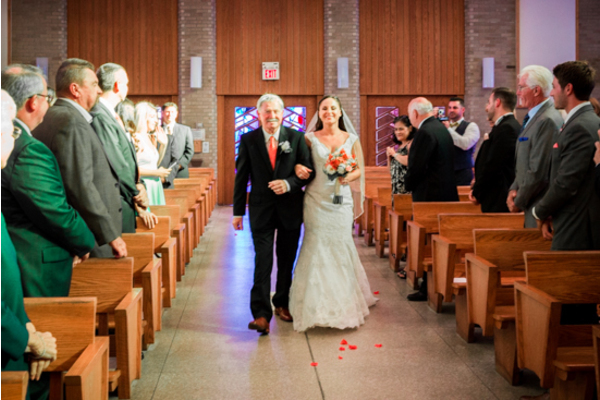 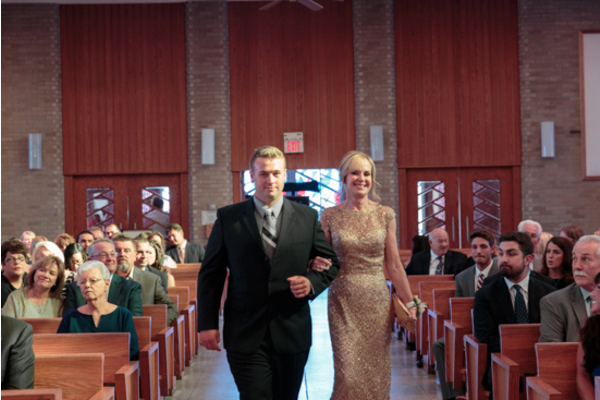 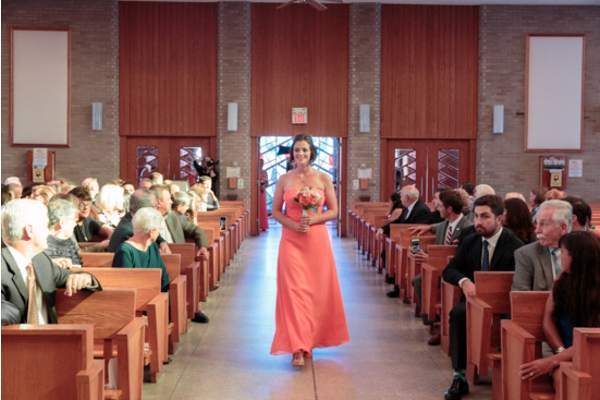 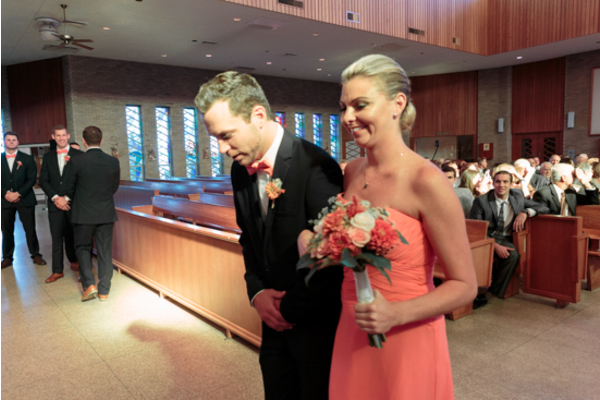 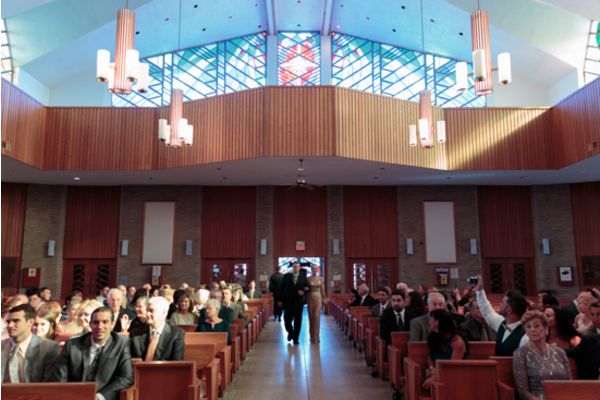 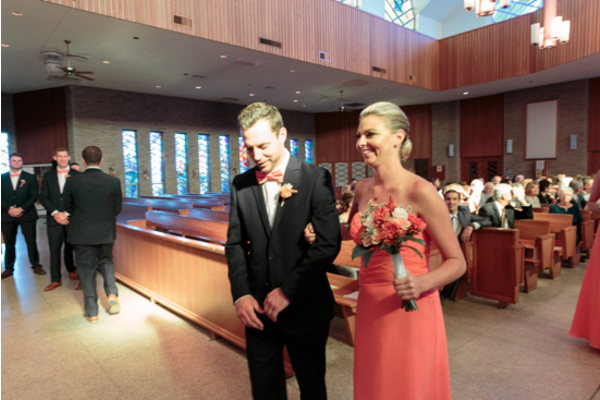 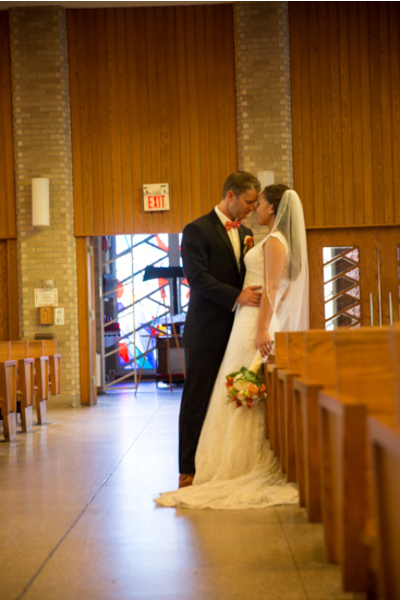 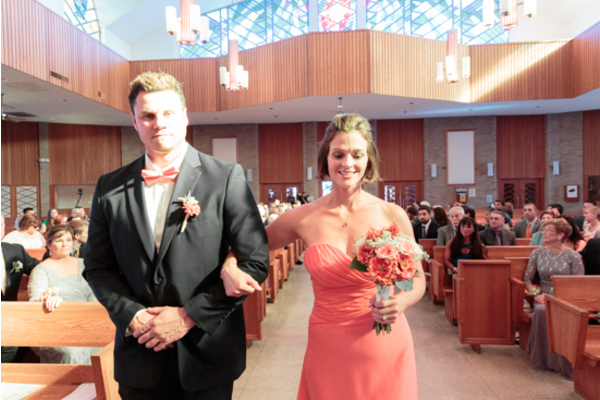 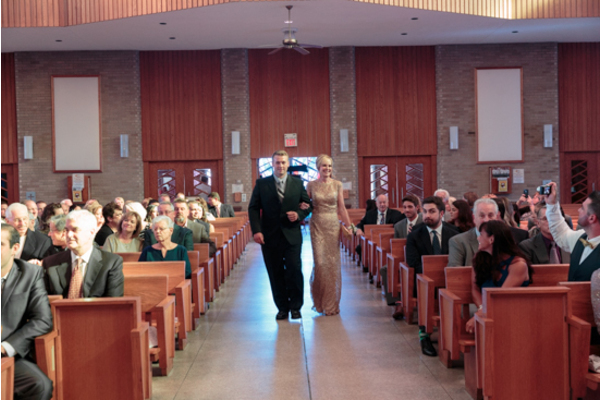 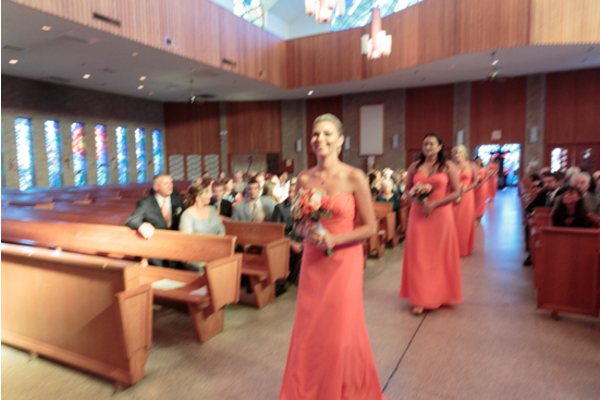 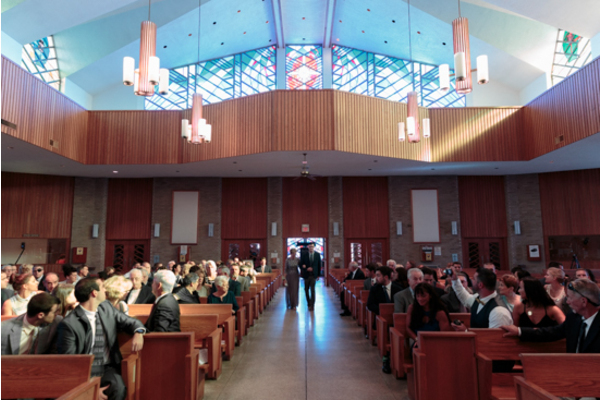 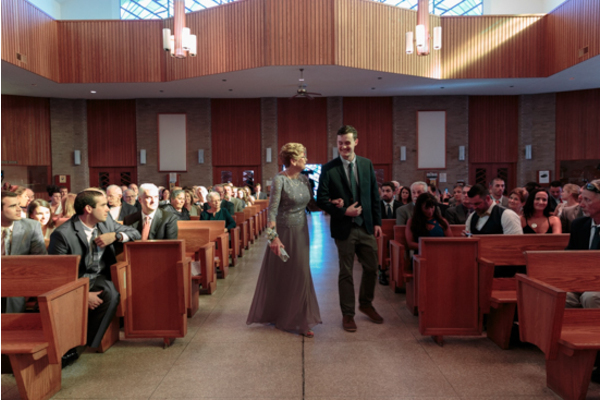 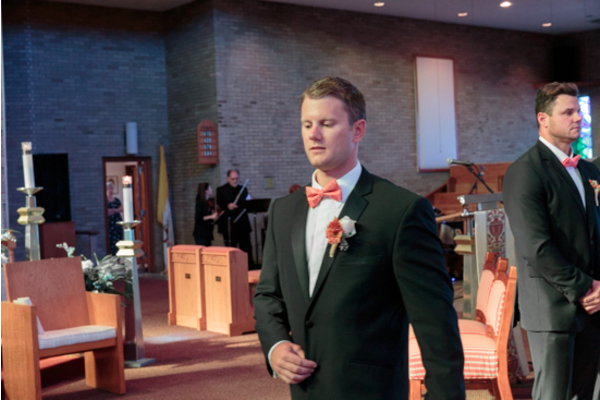 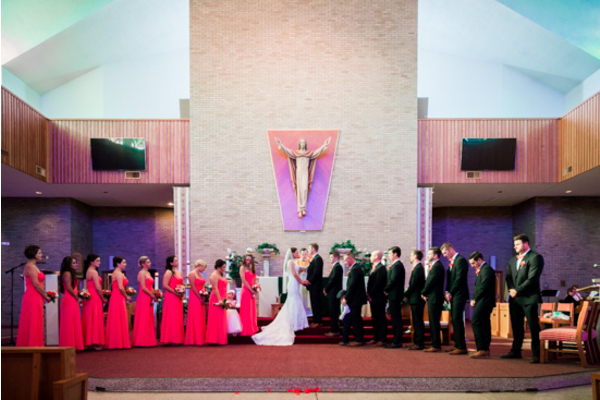 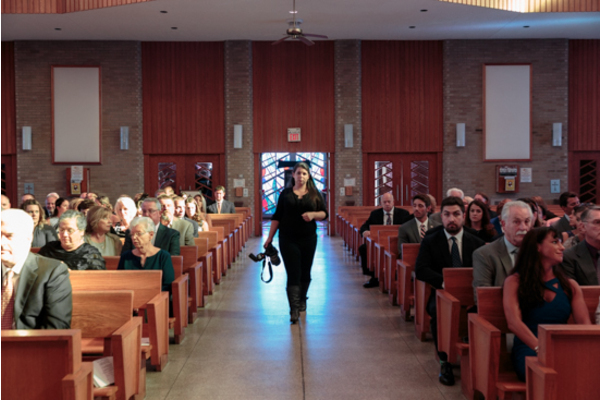 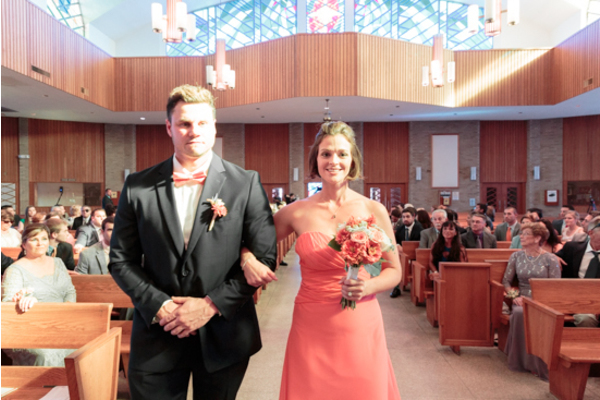 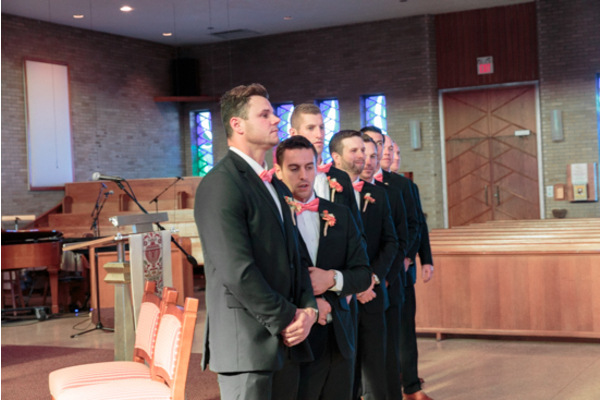 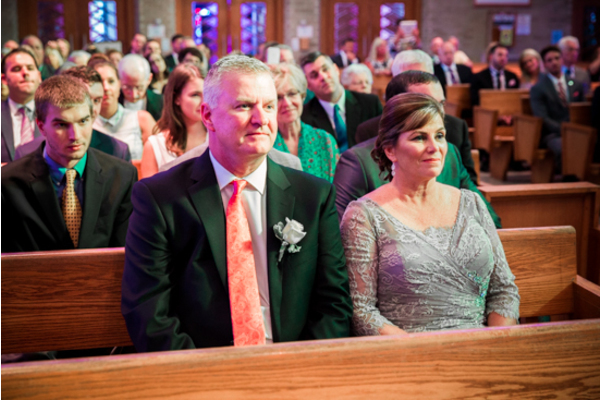 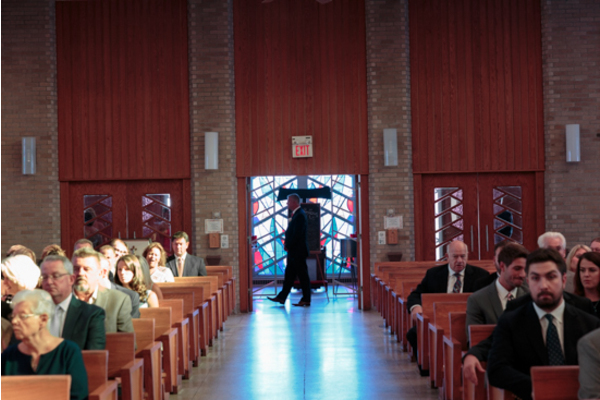 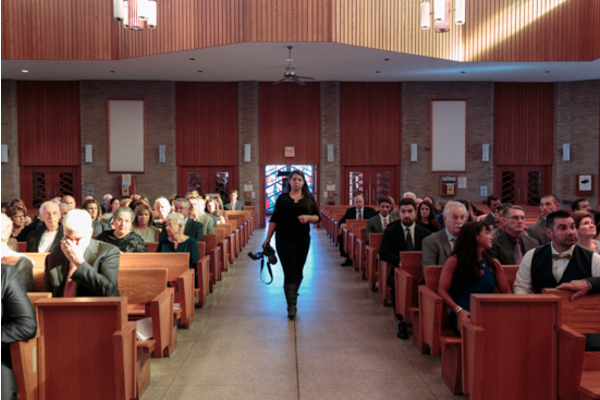 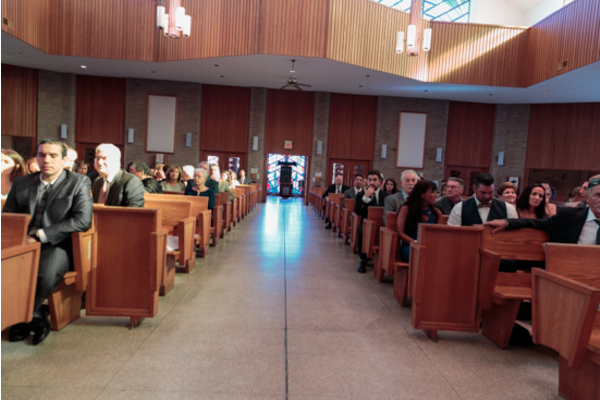 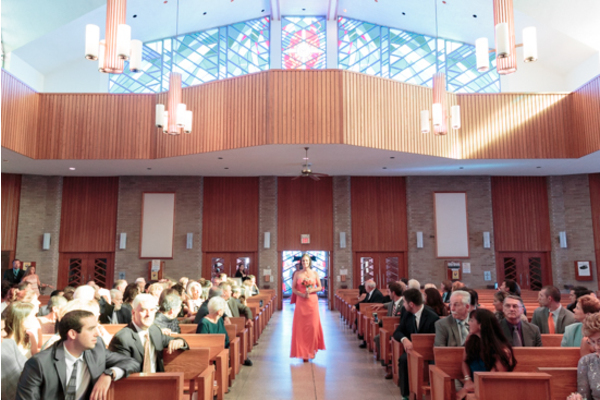 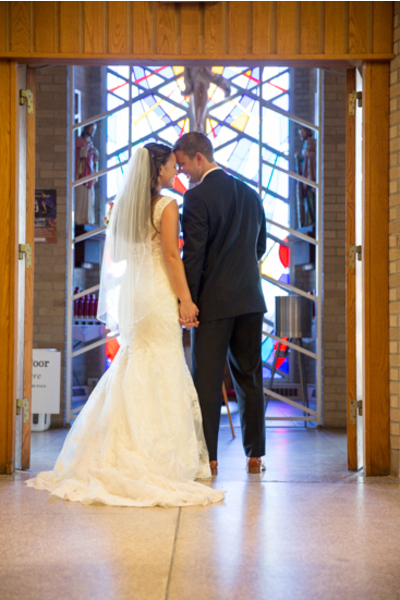 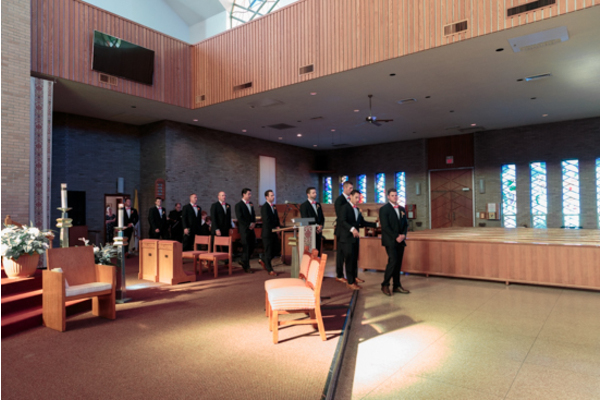 The ceremony was held in a beautiful church full of marvelous stained glass windows. 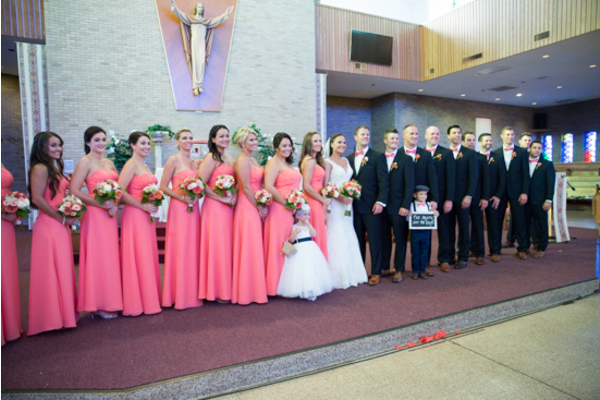 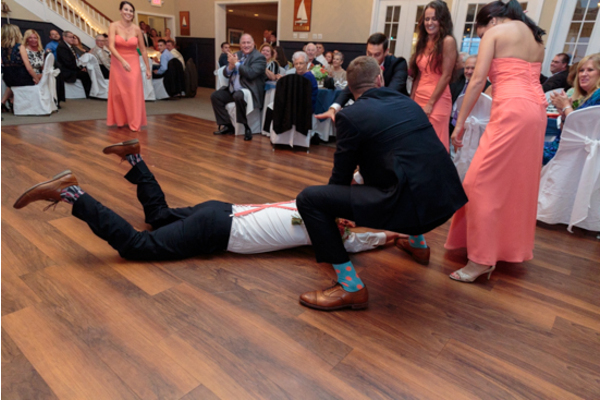 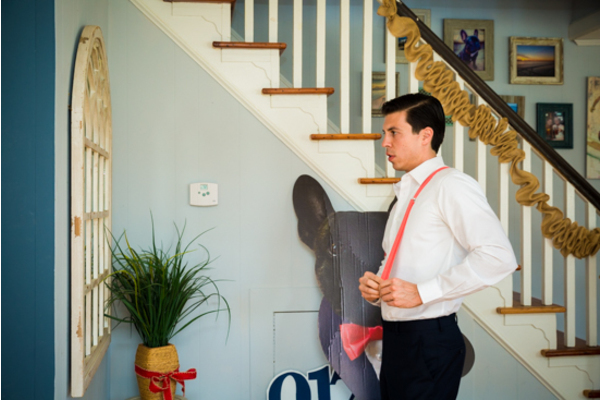 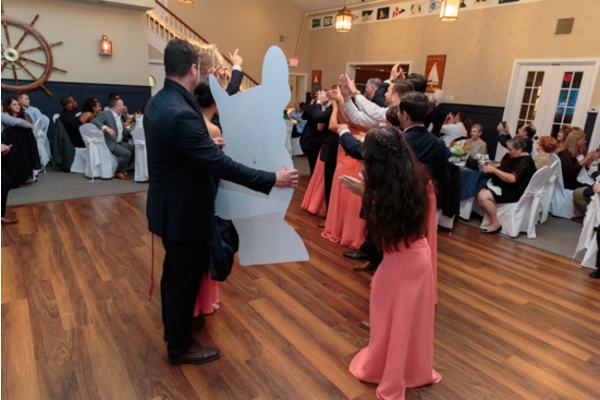 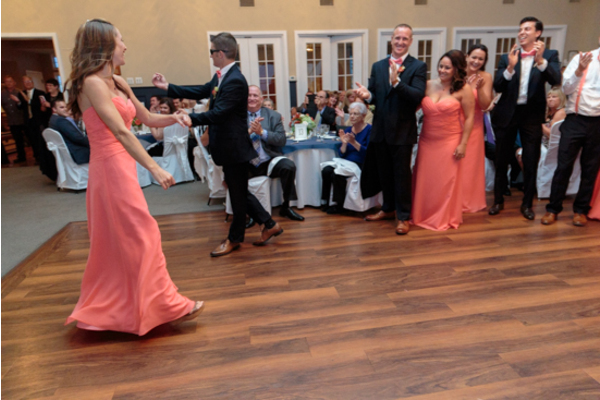 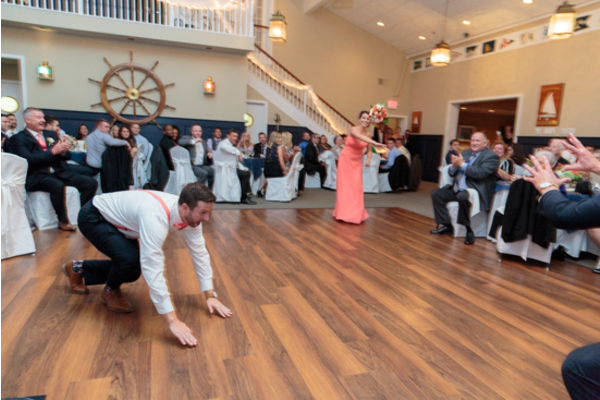 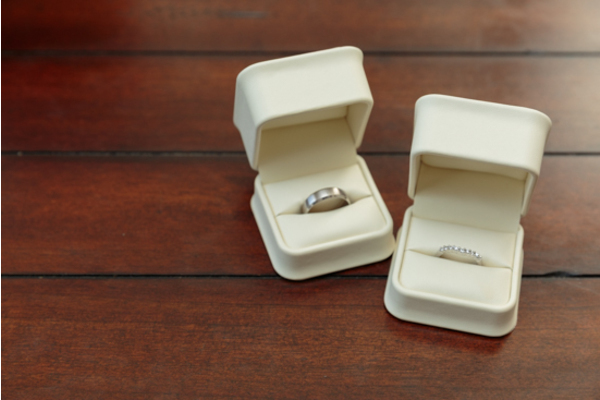 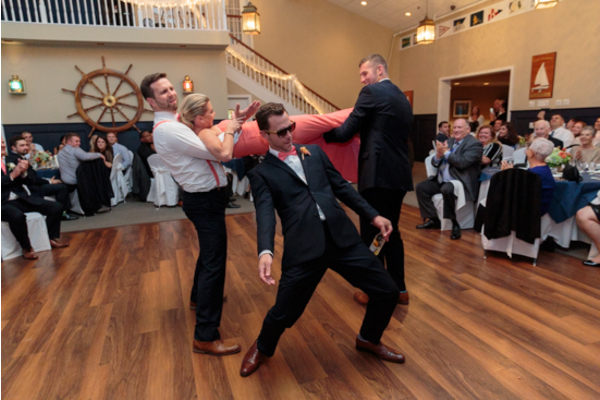 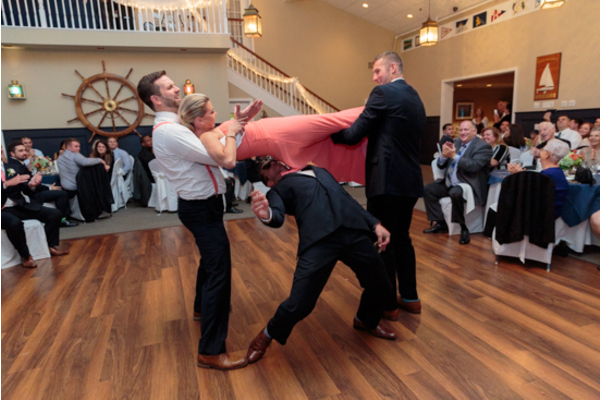 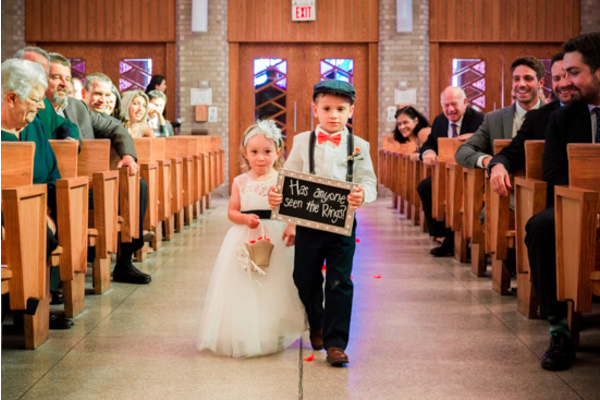 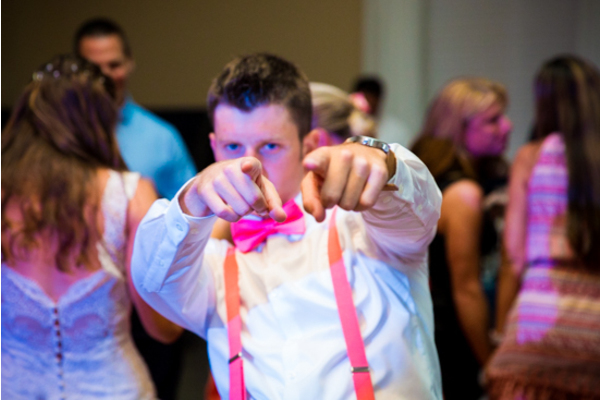 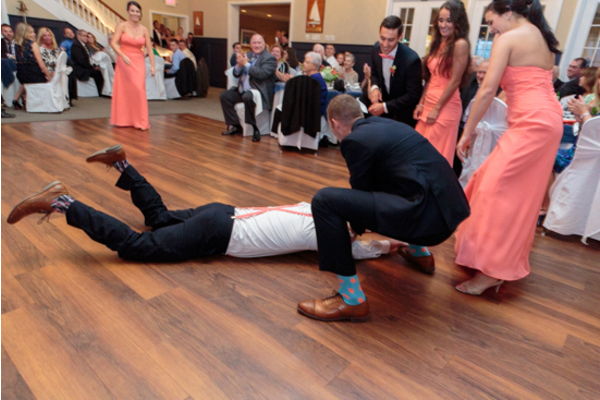 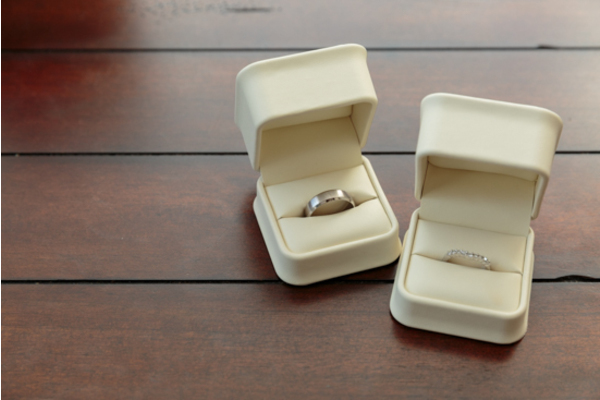 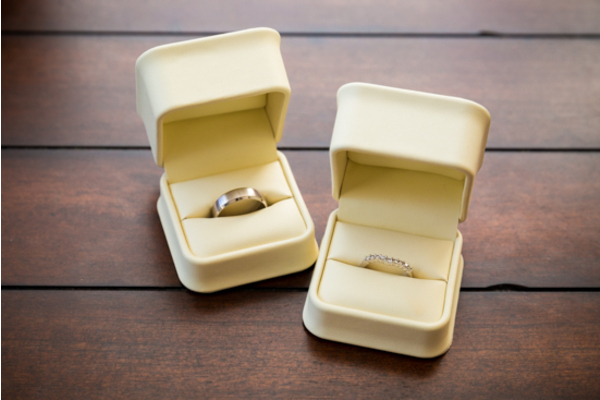 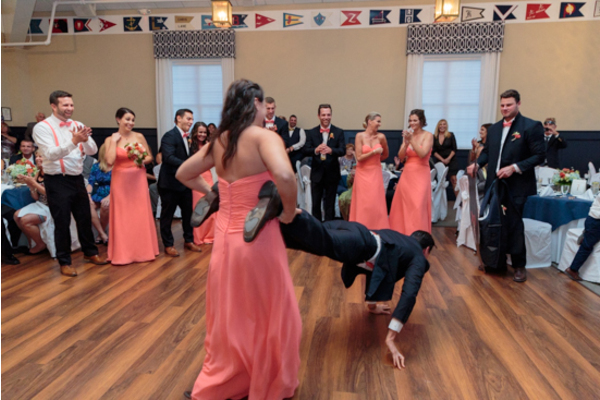 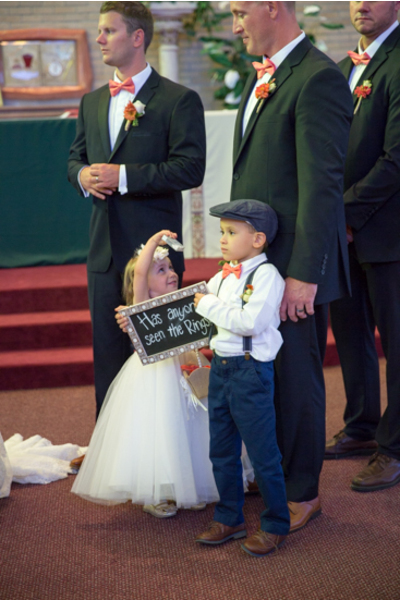 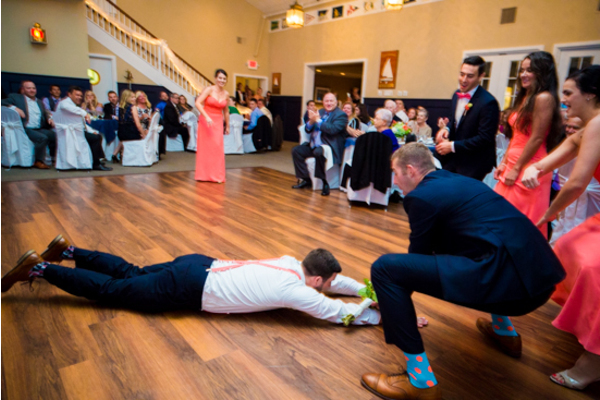 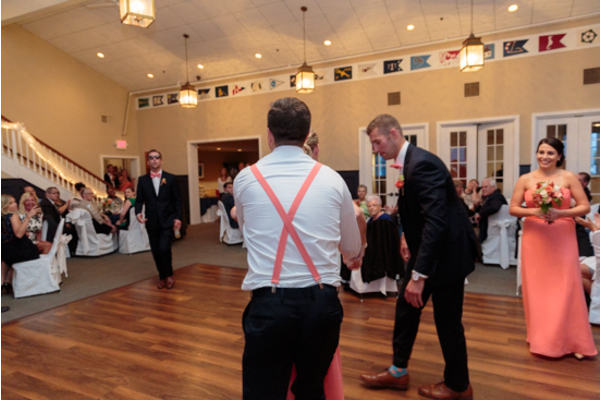 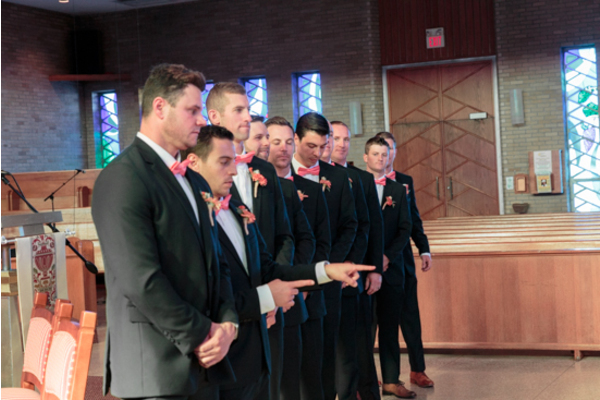 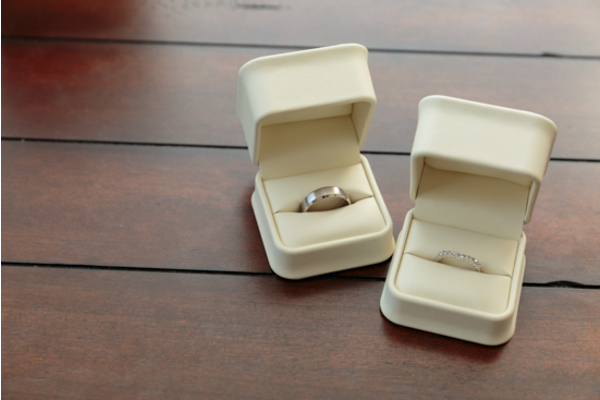 The ceremony began with a unique entrance from the bridal party as well as the ring bearer walked up the aisle with a sign that read “Has anyone seen the rings”. 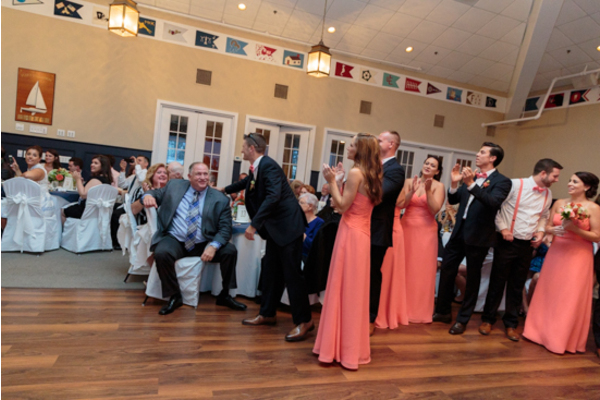 After the ceremony the bridal party was picked up by a historical trolley car to take them to the reception. 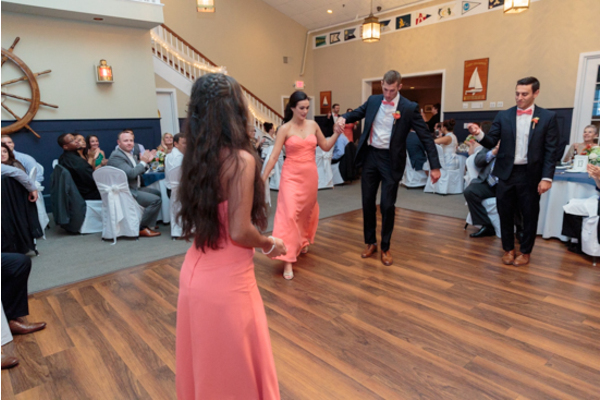 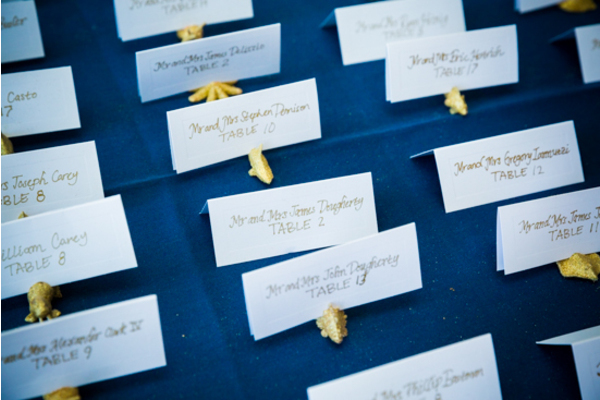 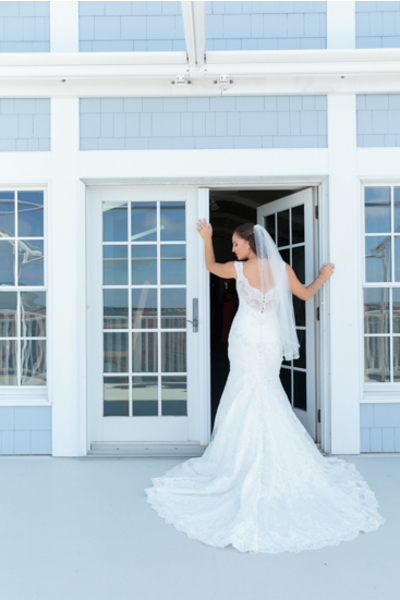 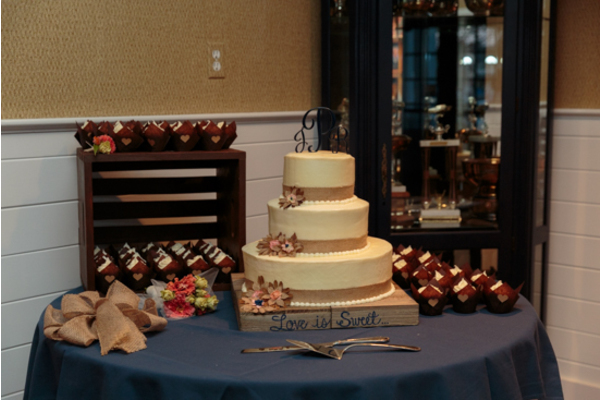 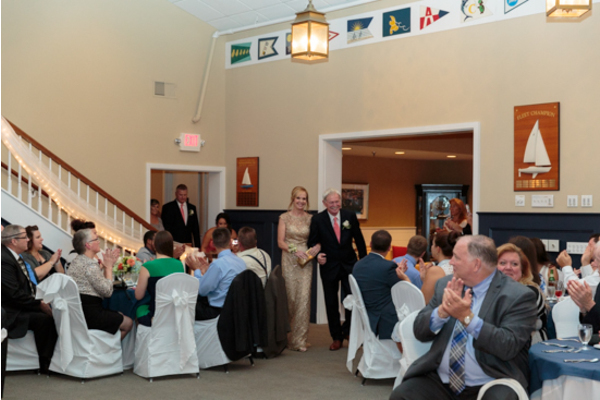 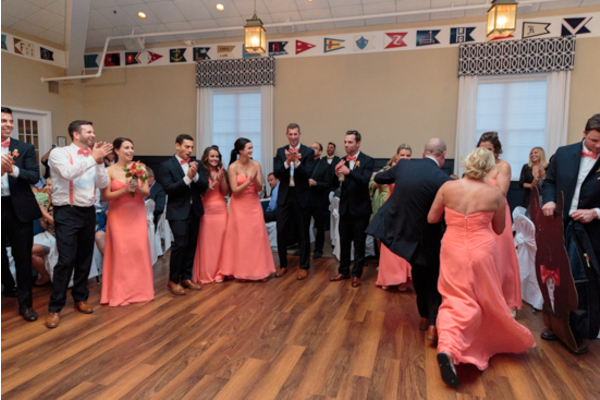 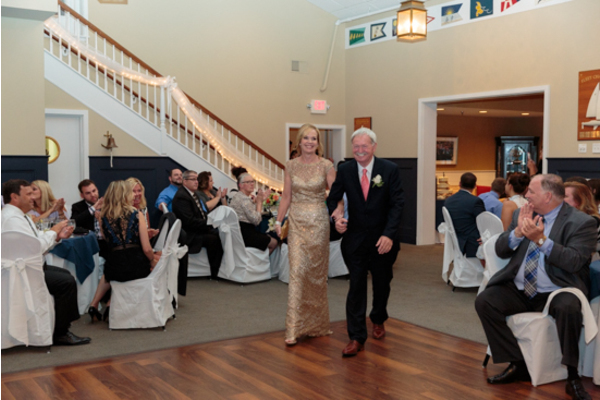 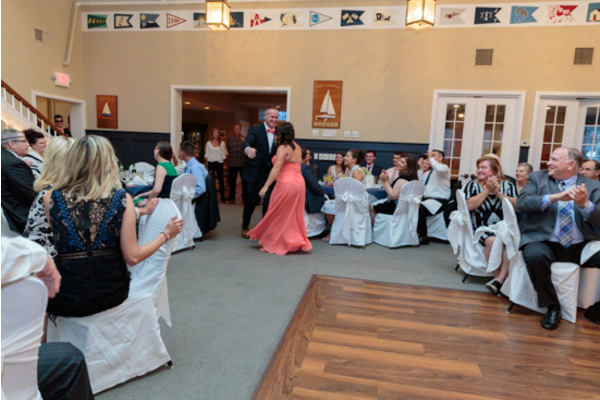 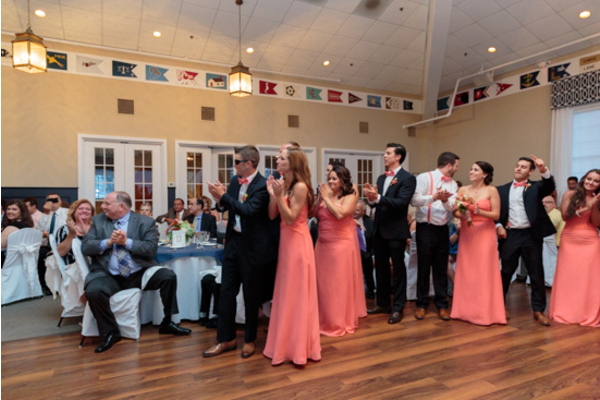 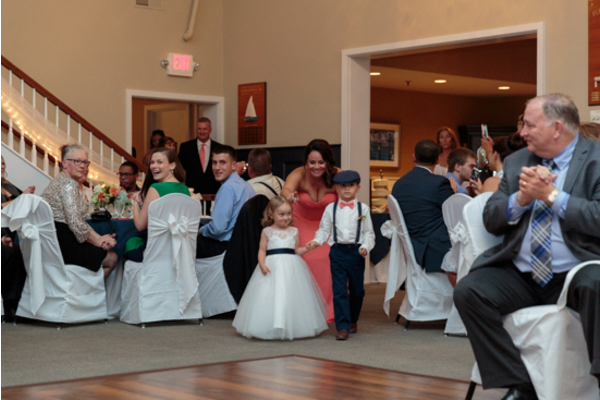 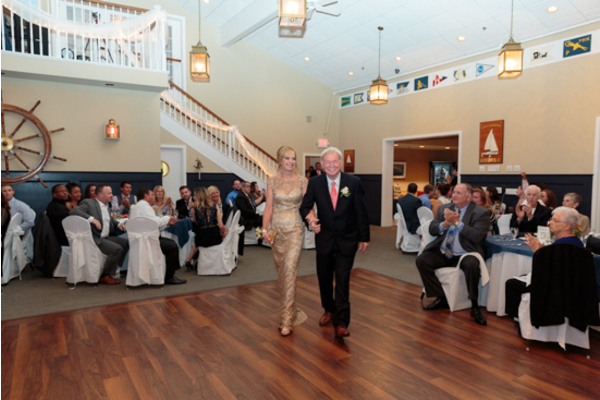 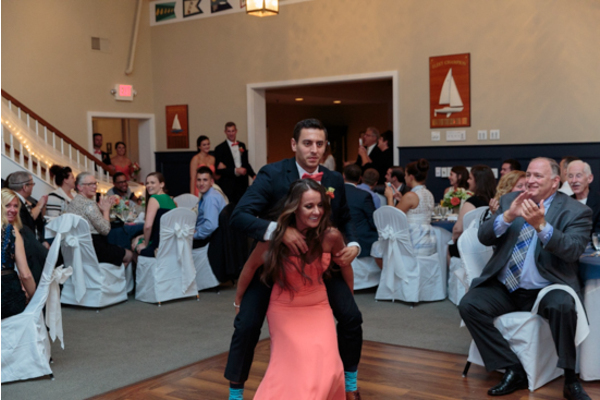 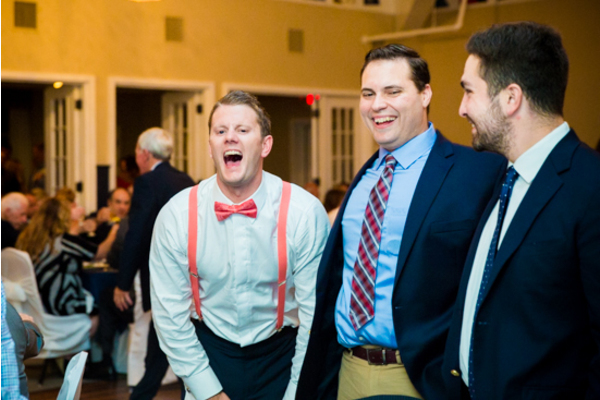 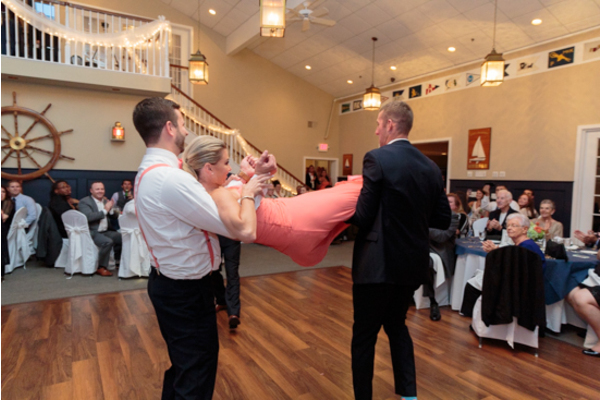 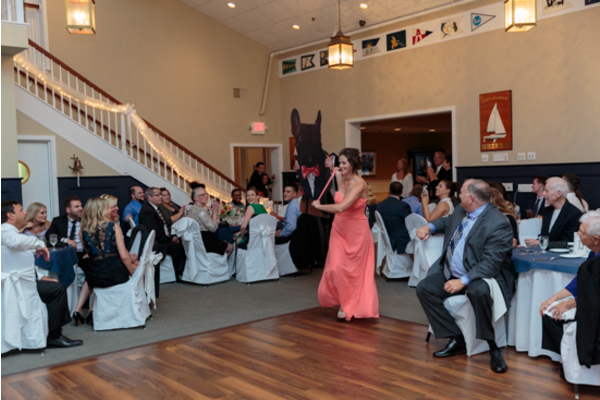 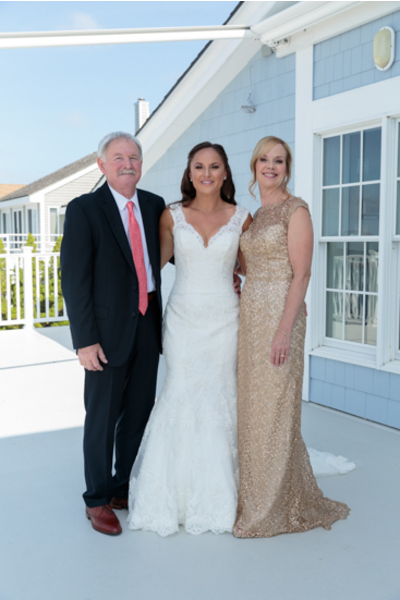 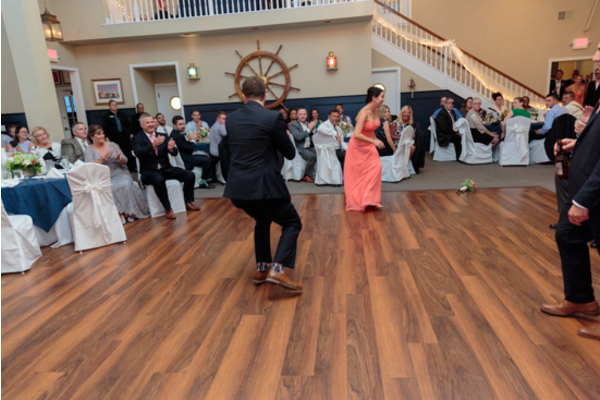 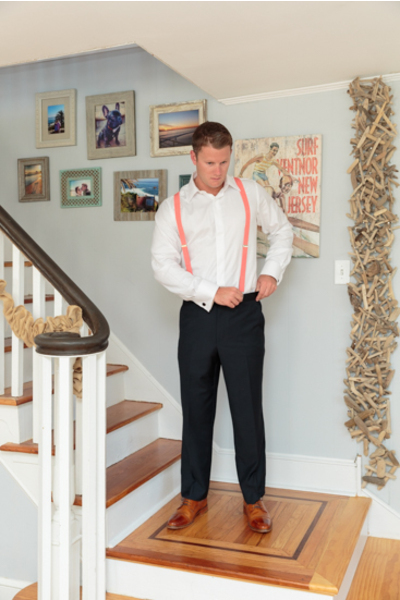 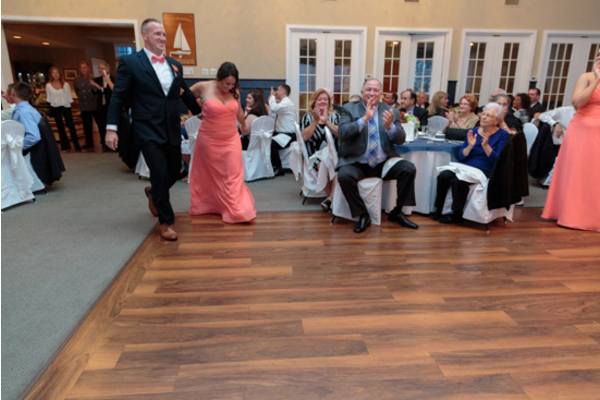 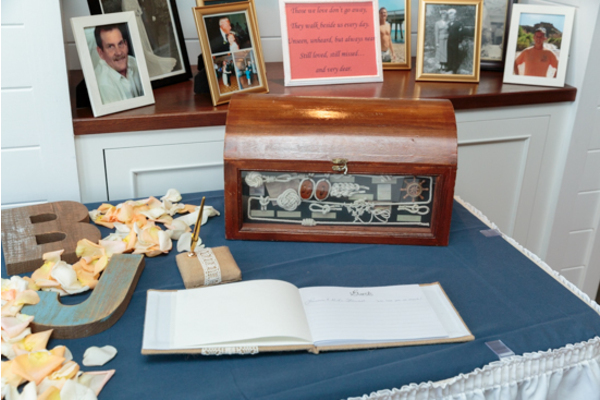 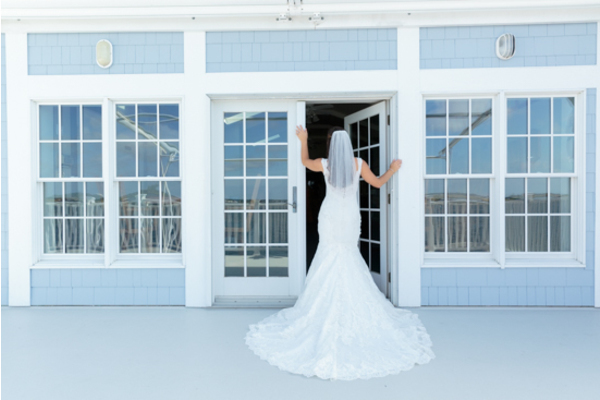 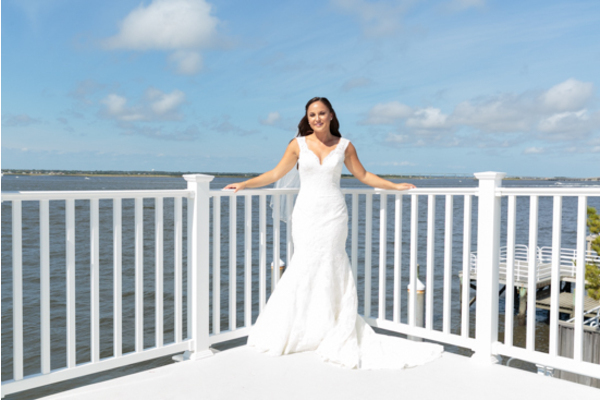 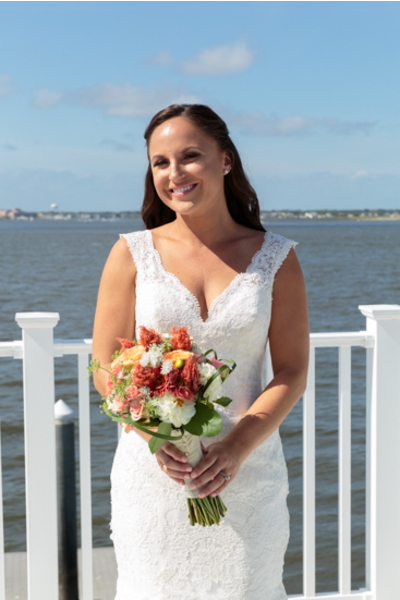 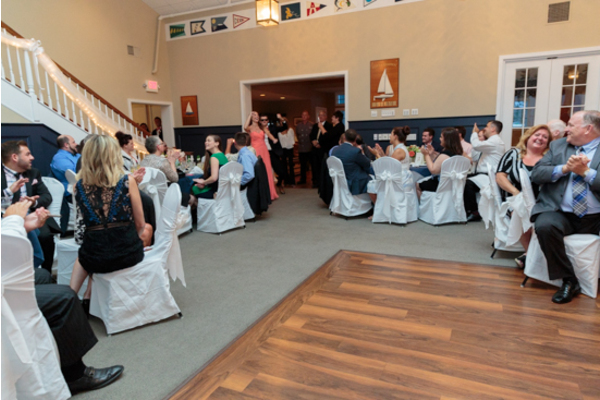 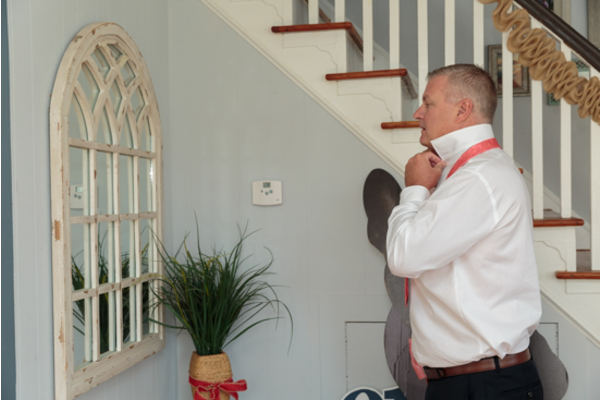 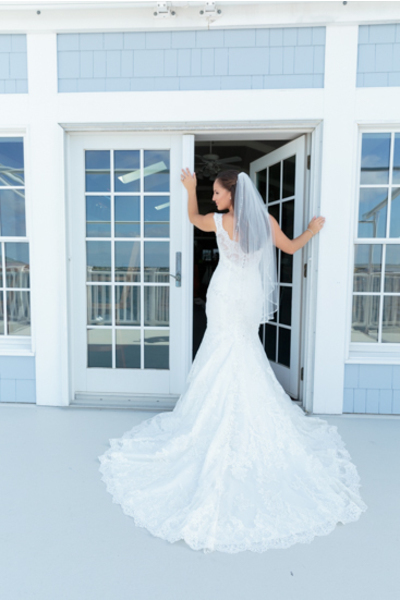 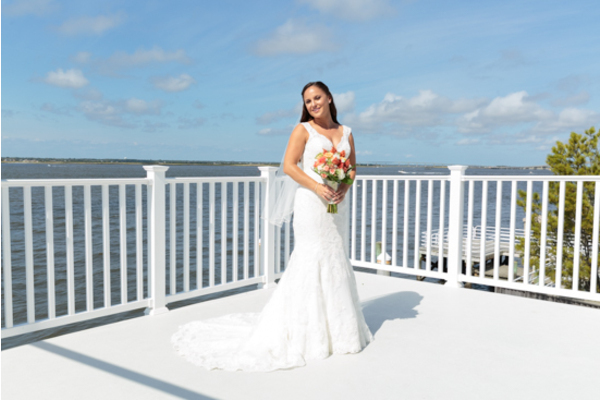 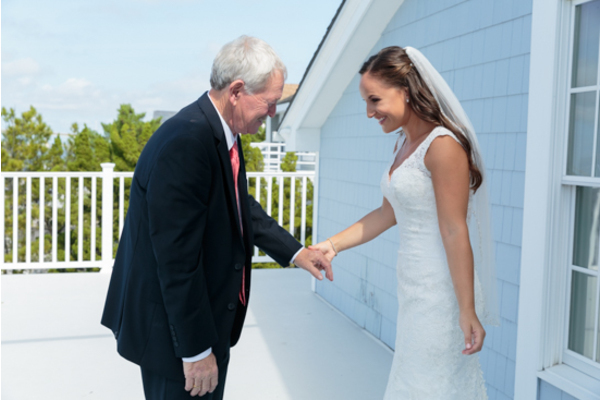 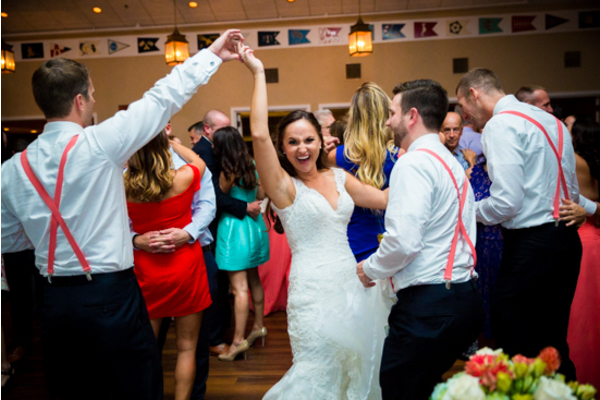 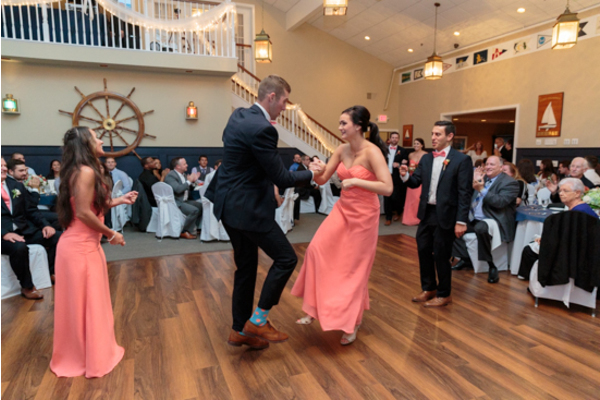 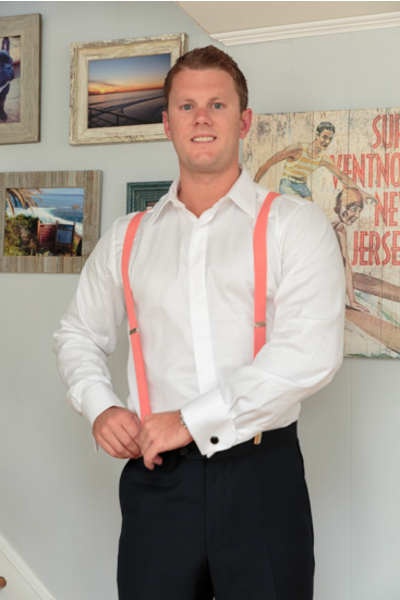 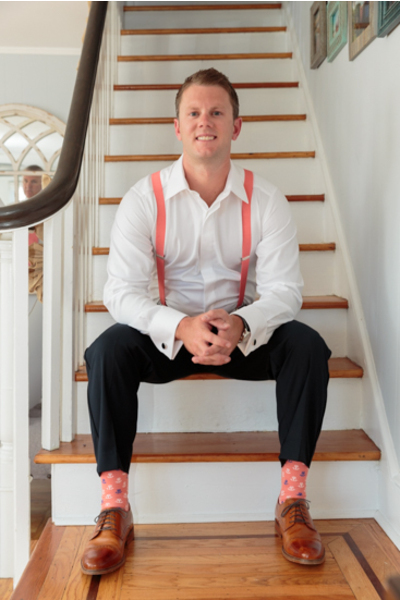 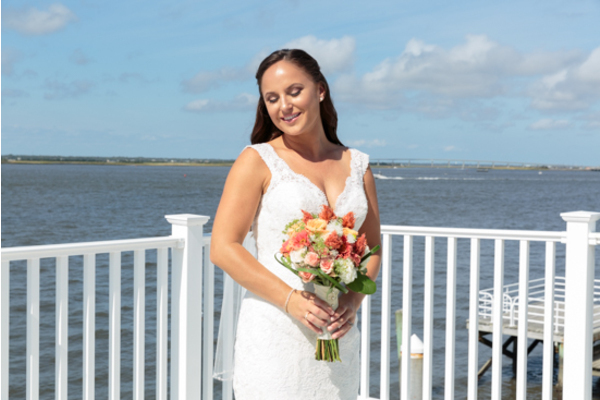 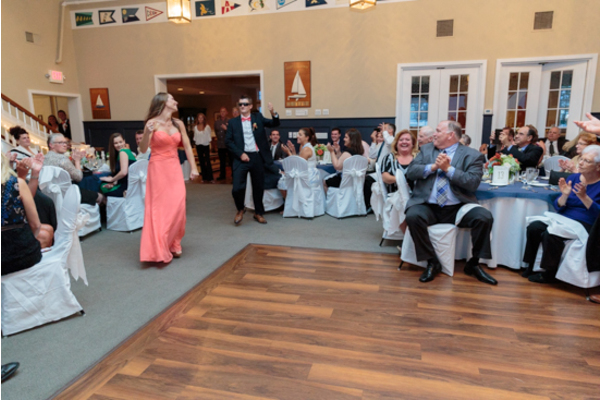 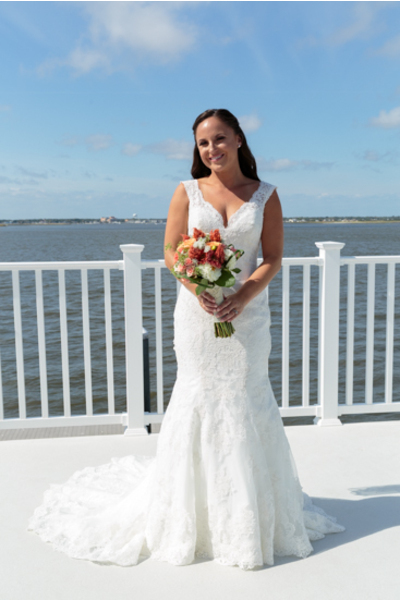 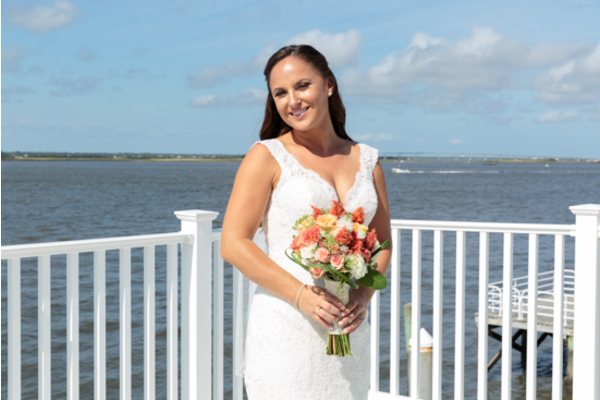 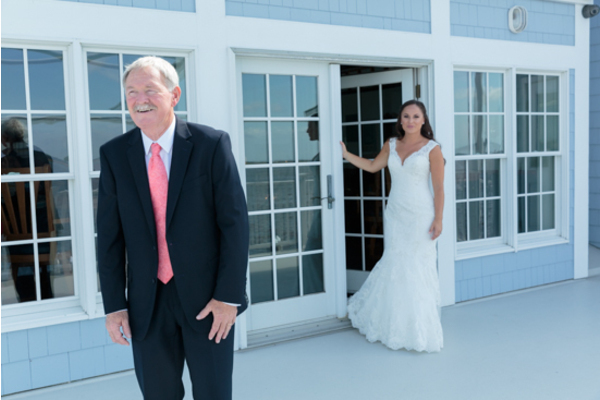 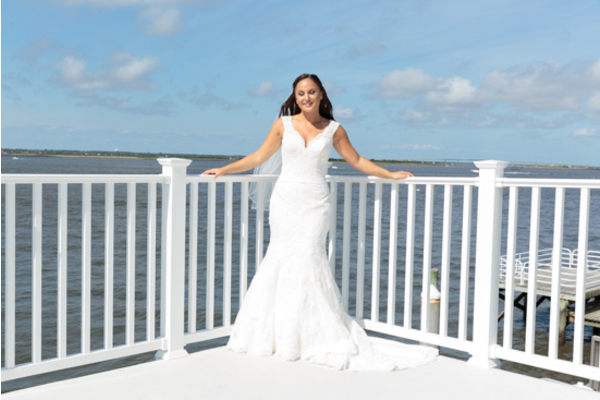 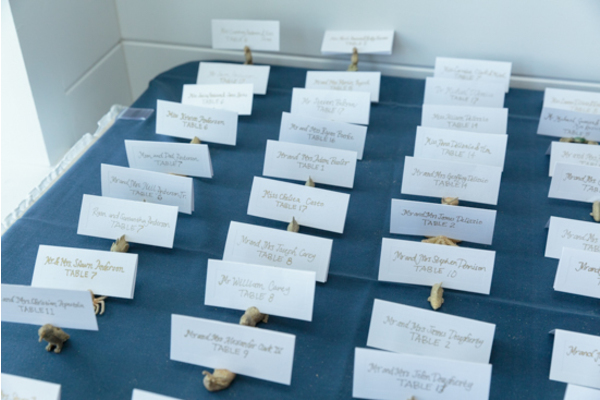 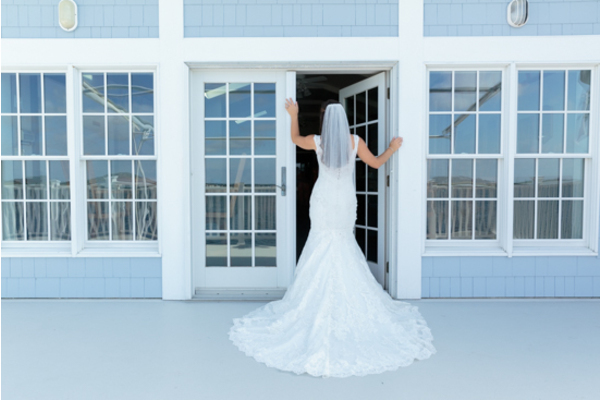 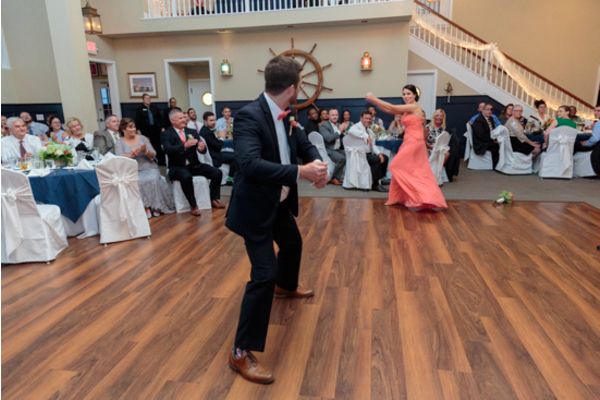 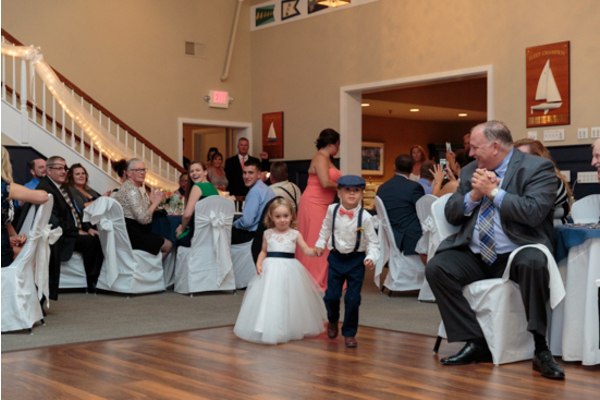 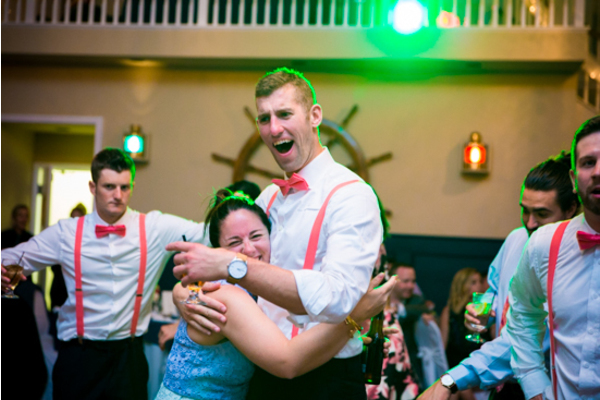 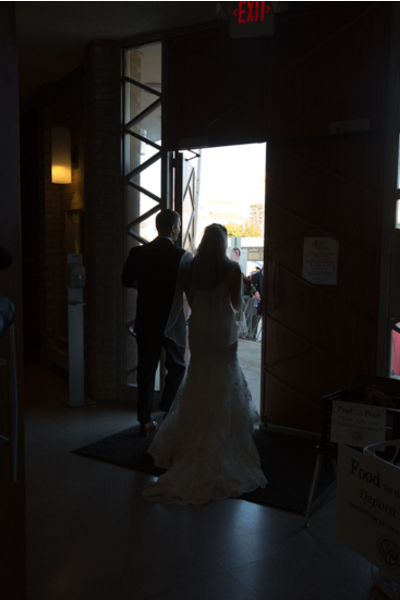 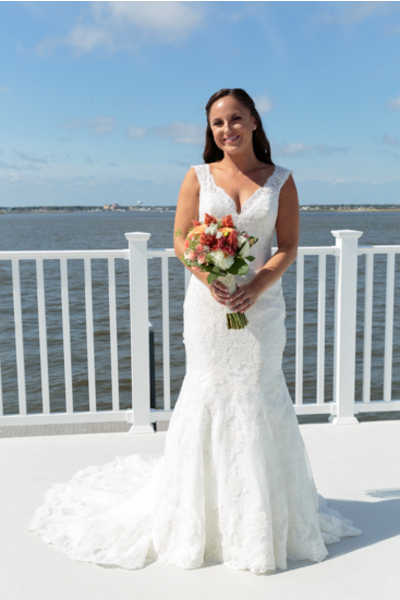 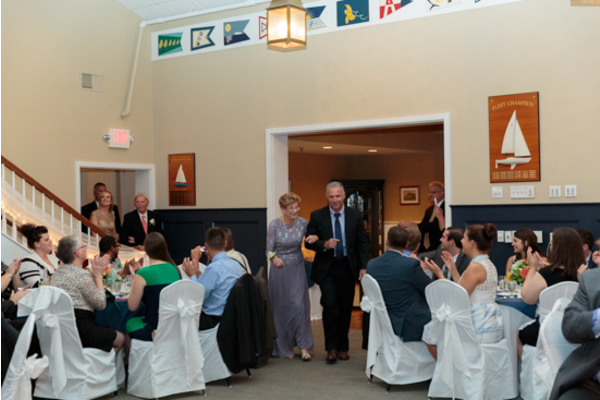 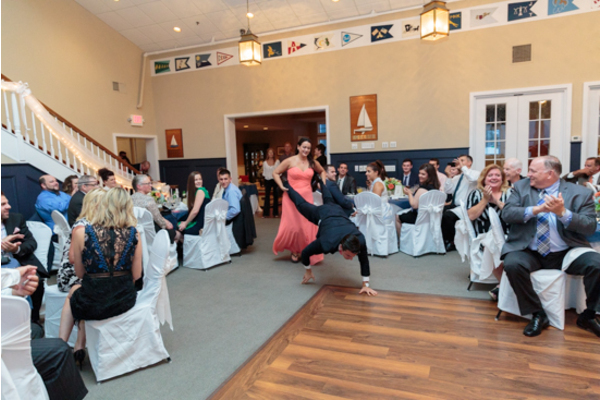 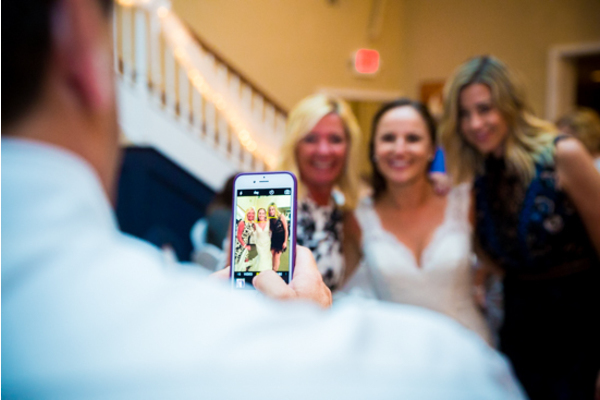 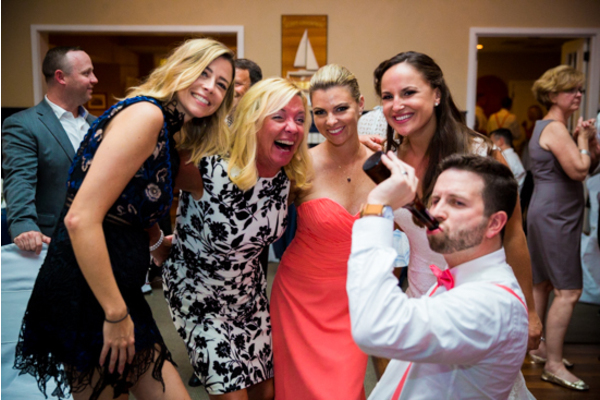 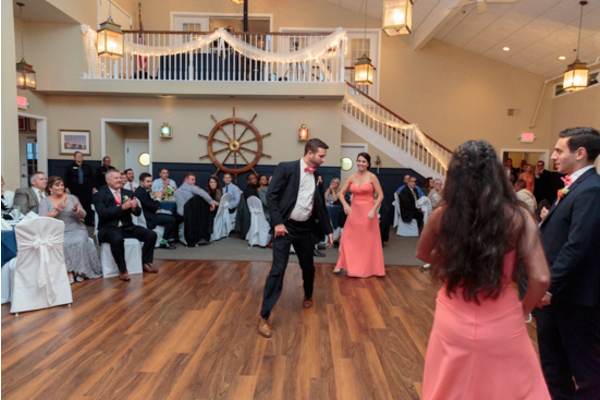 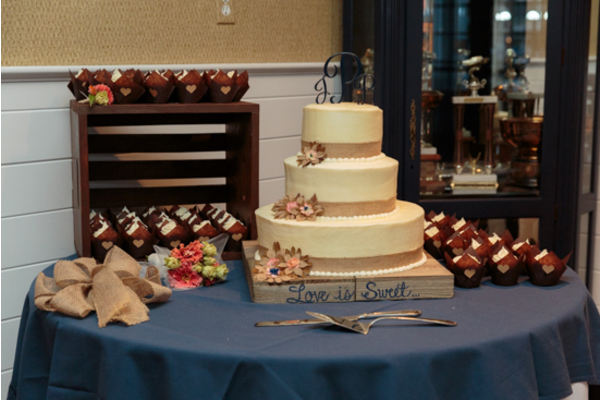 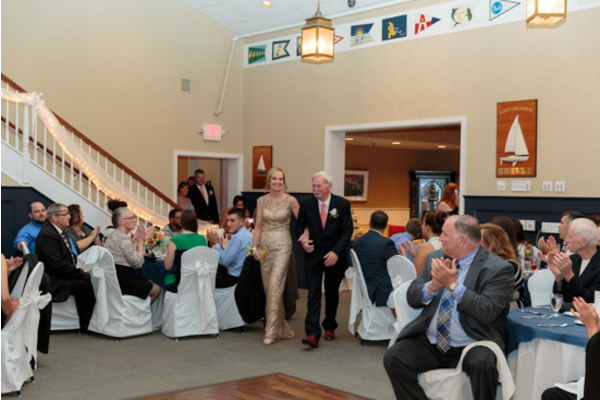 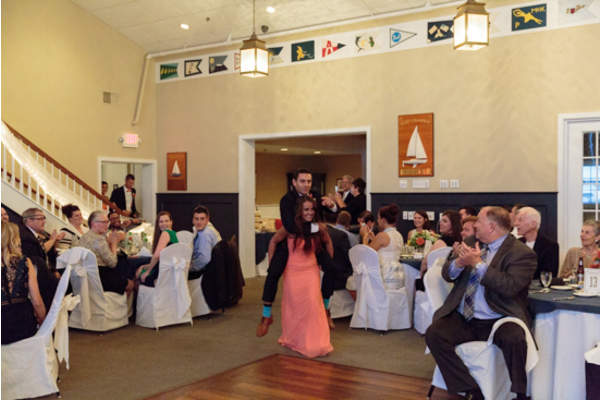 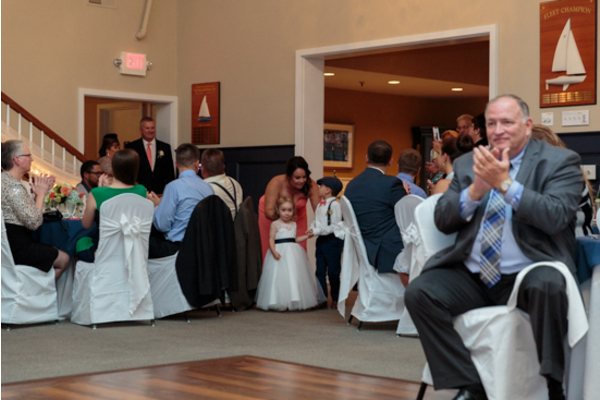 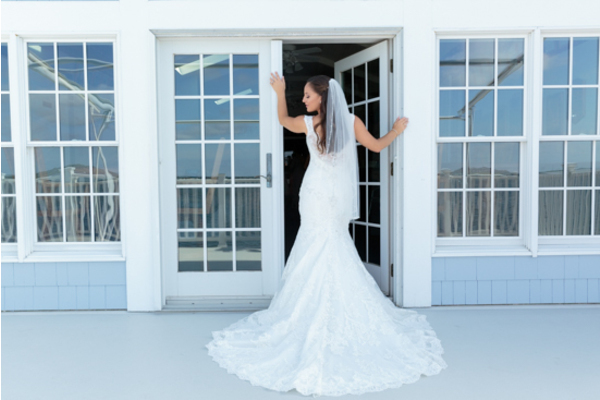 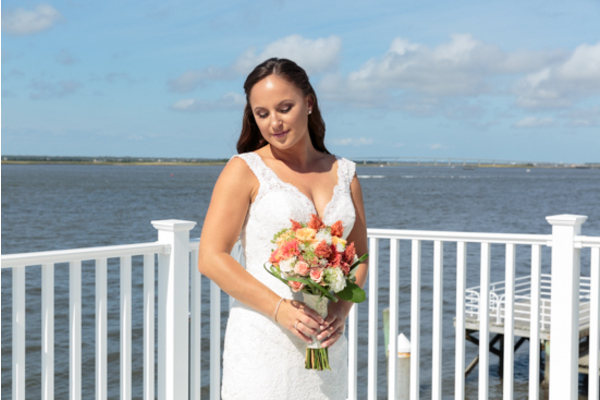 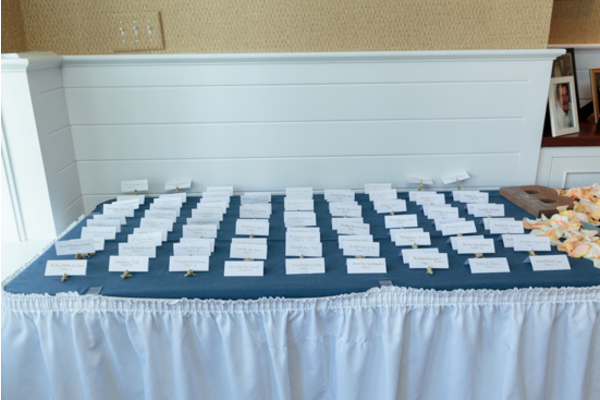 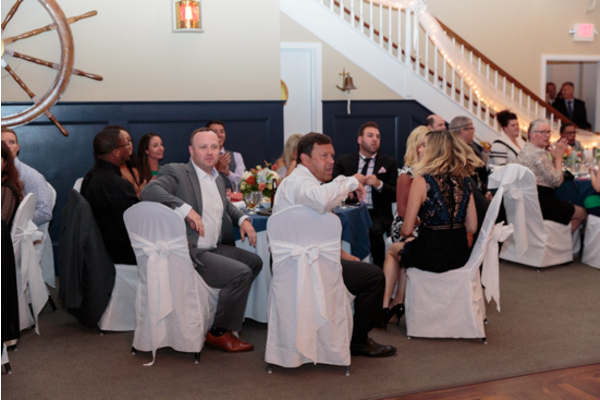 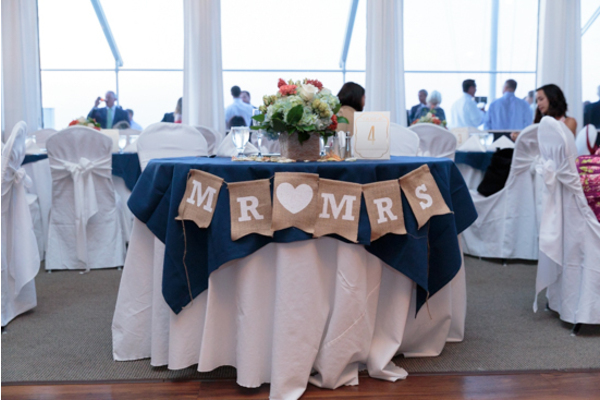 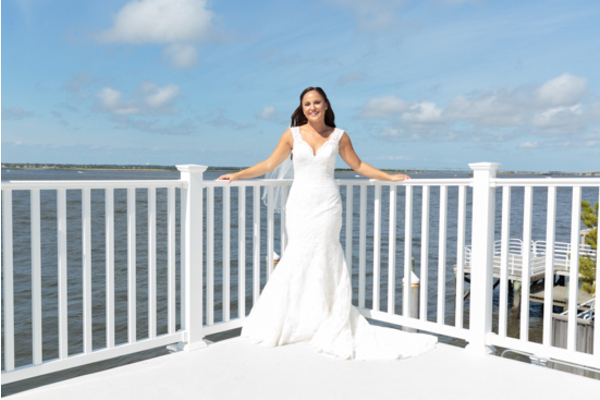 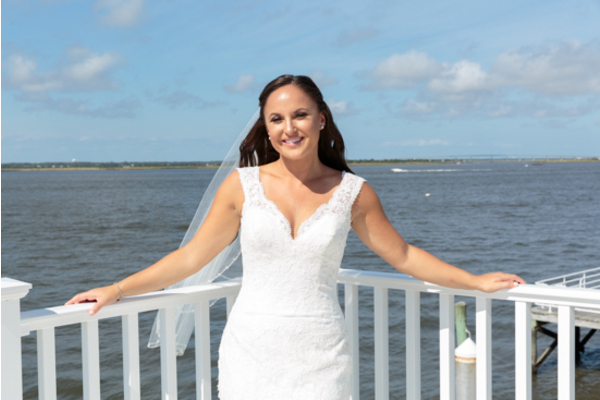 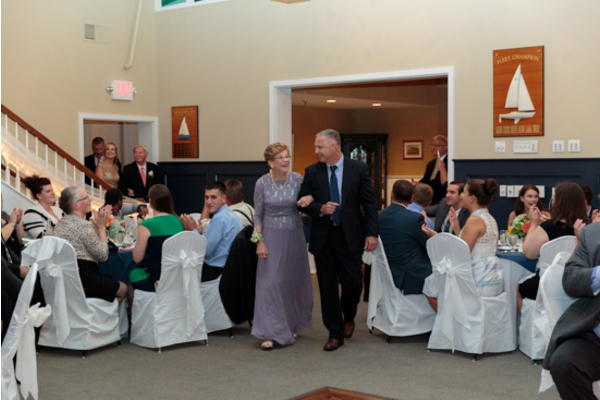 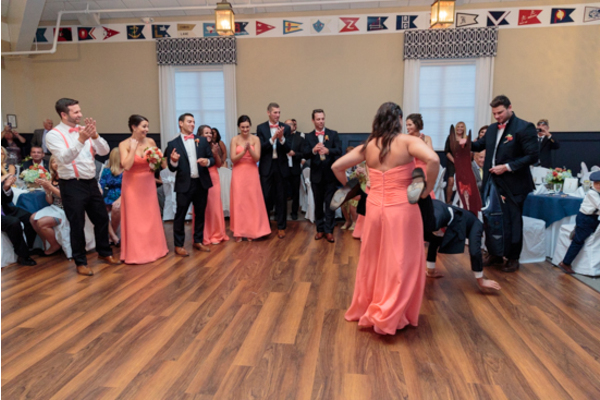 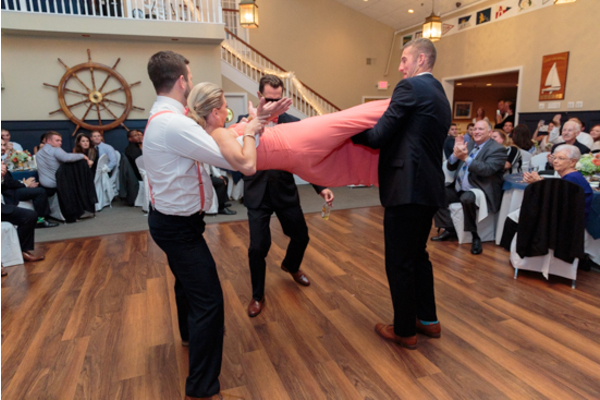 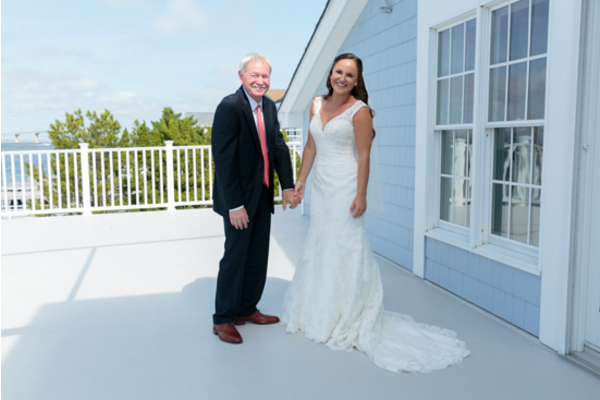 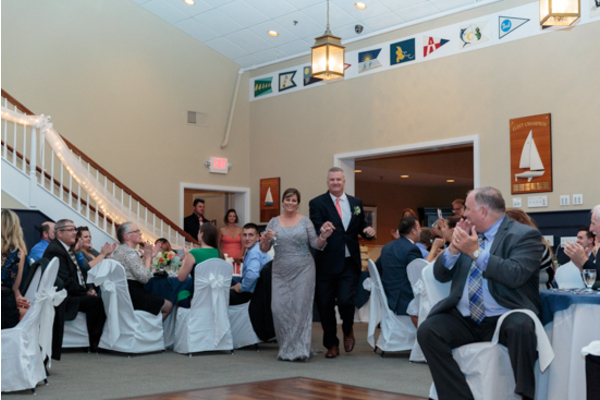 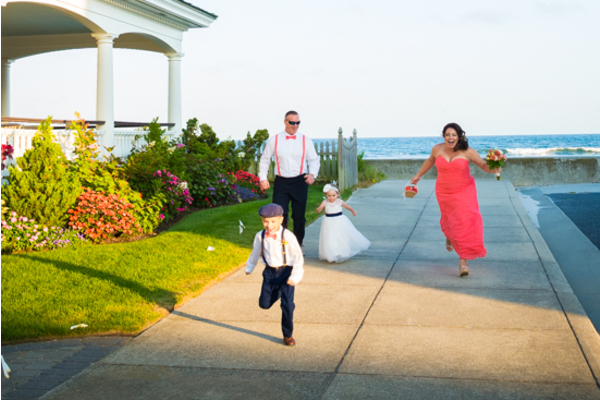 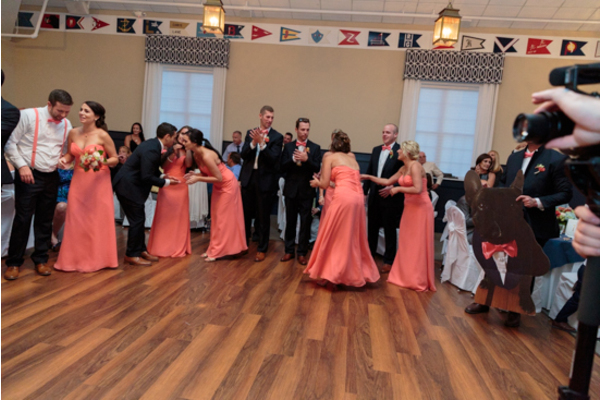 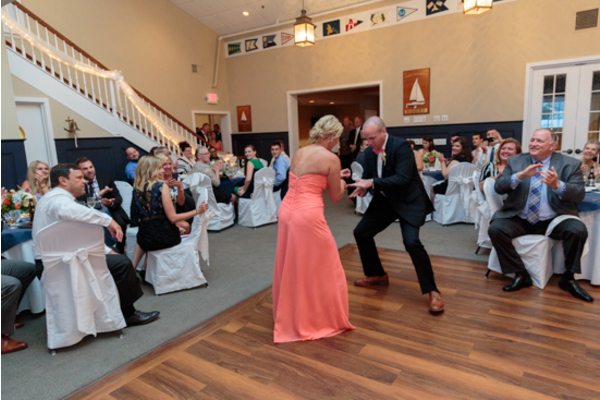 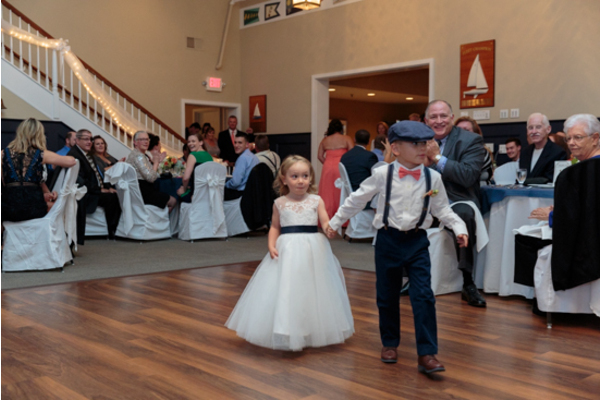 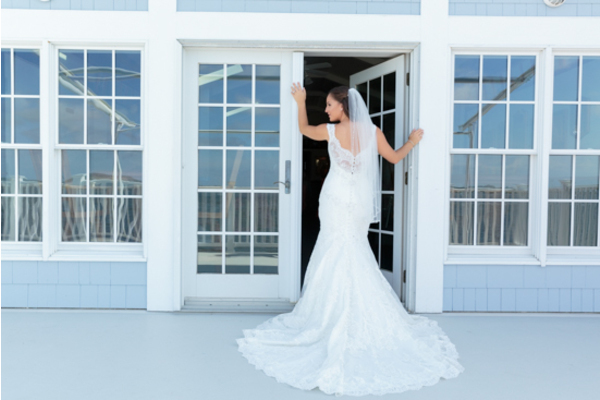 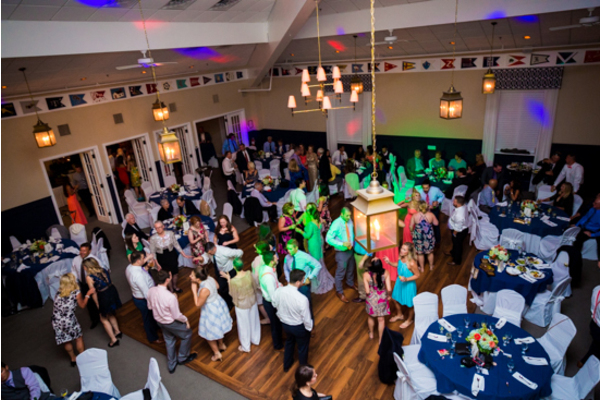 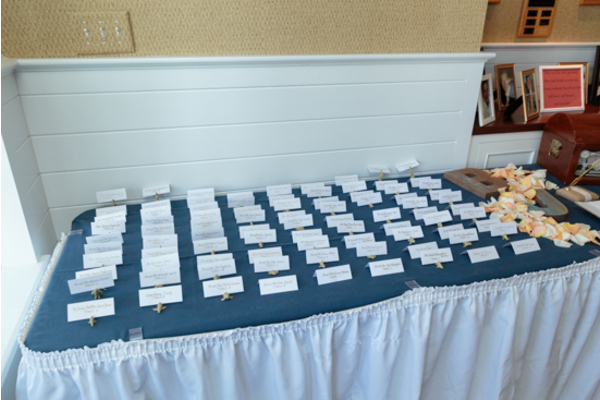 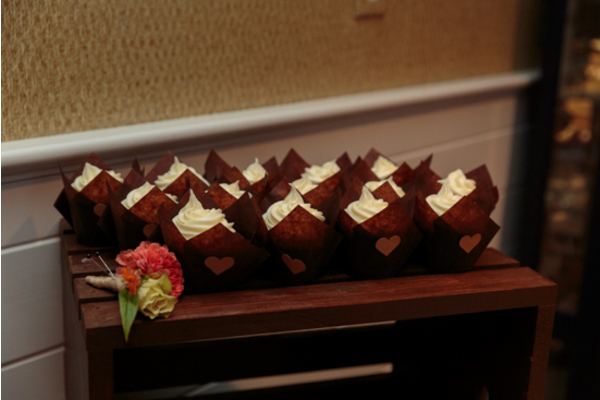 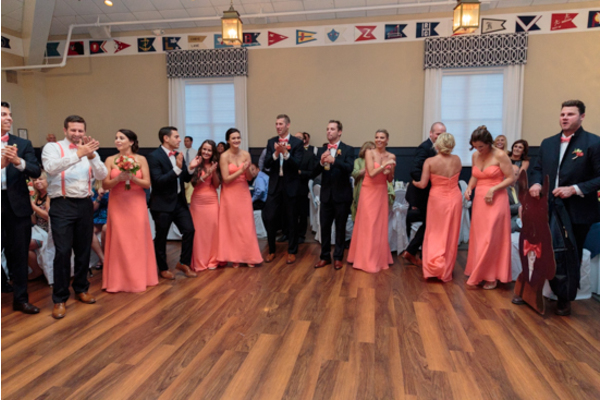 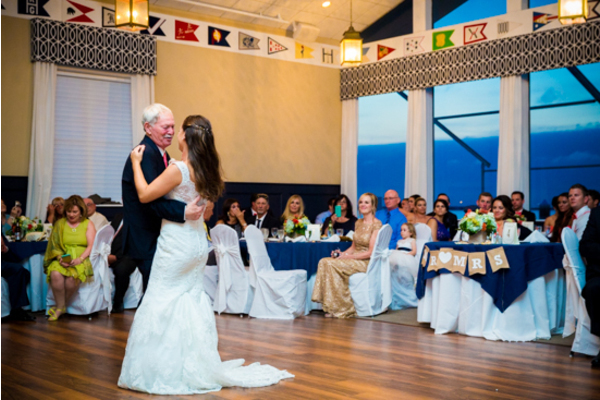 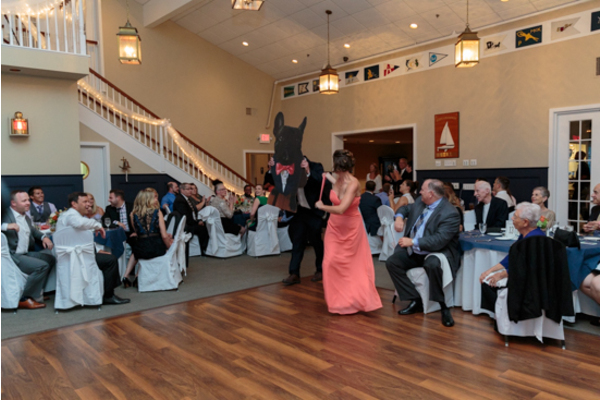 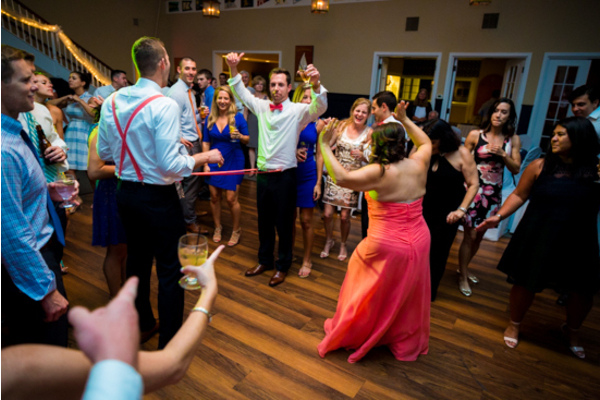 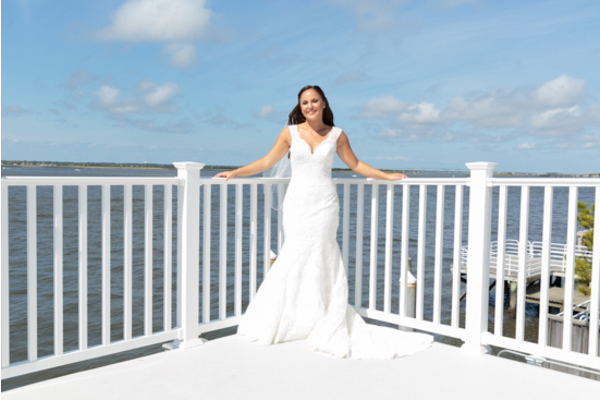 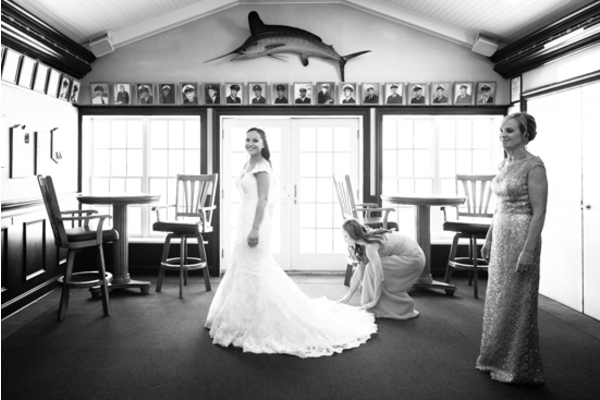 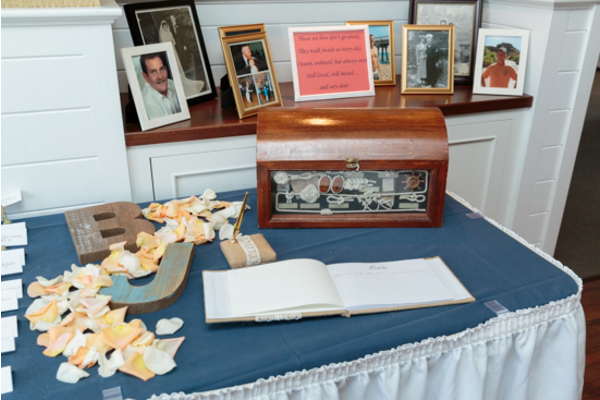 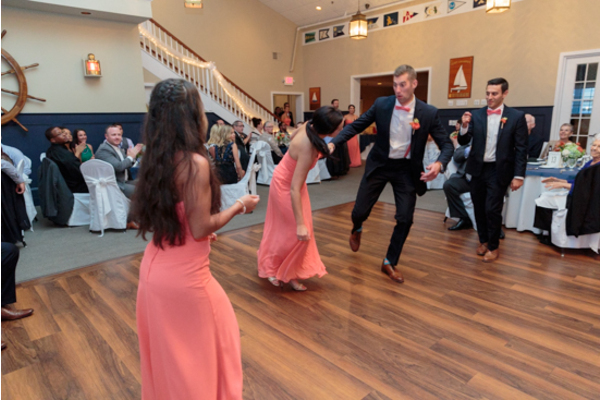 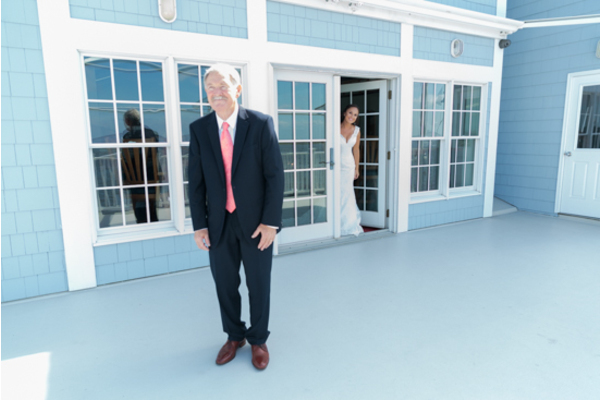 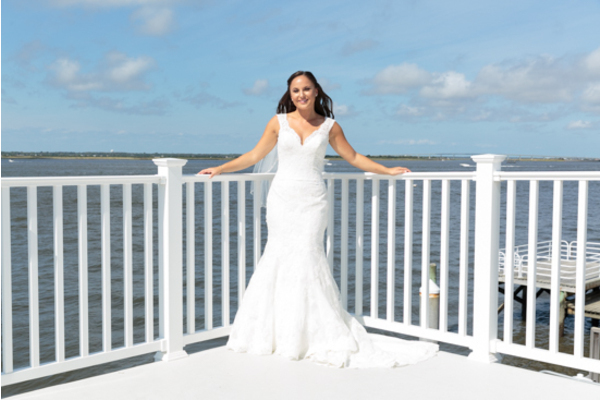 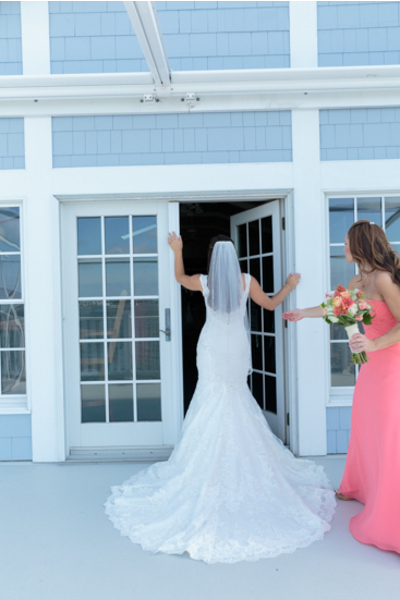 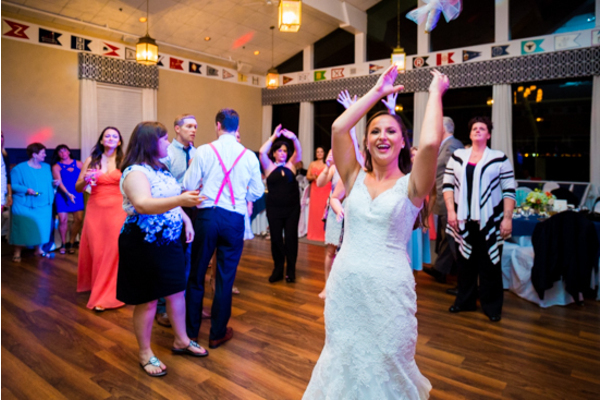 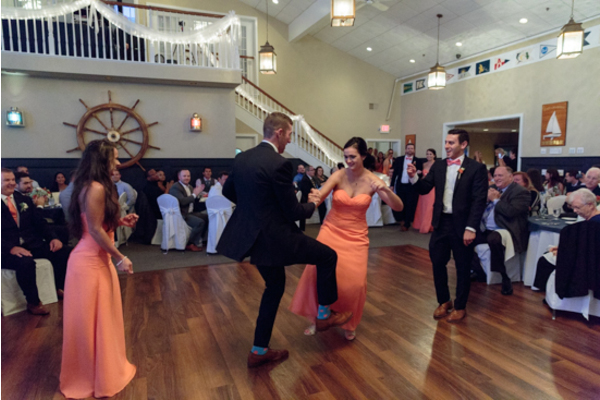 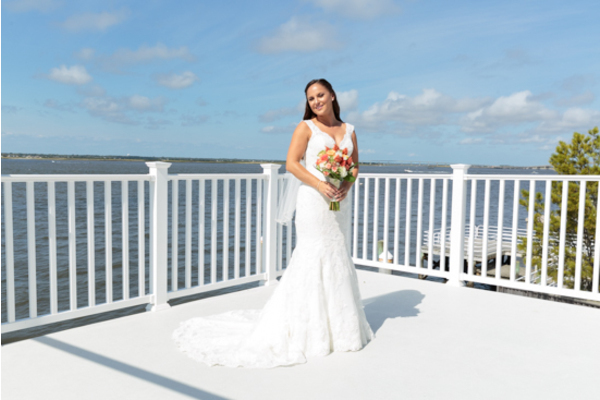 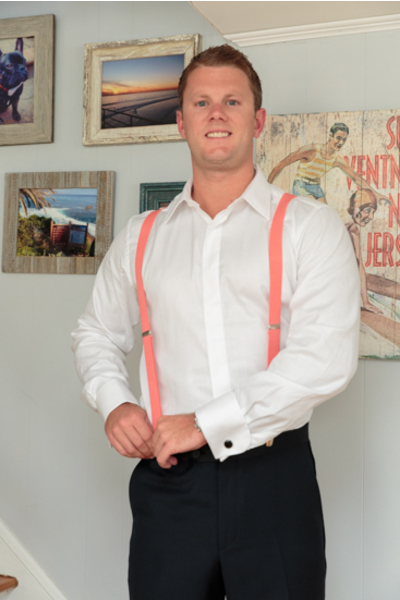 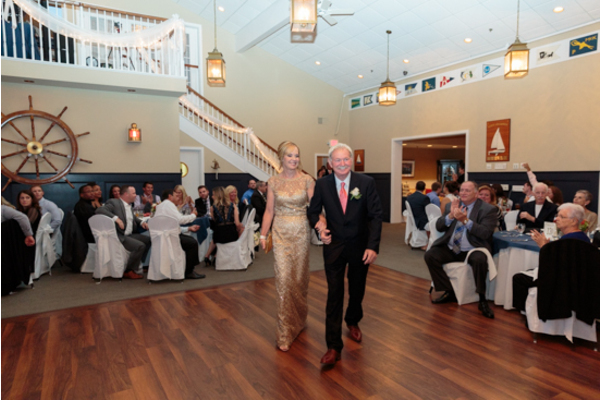 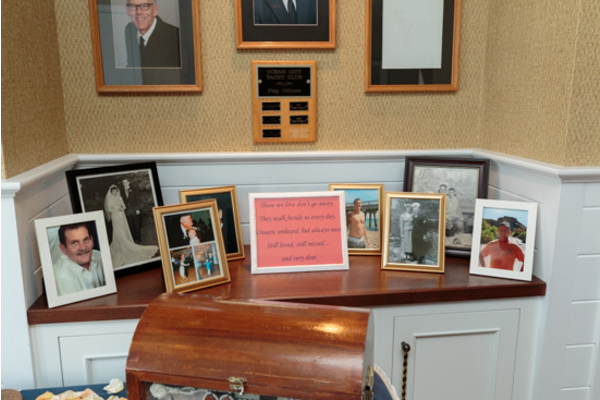 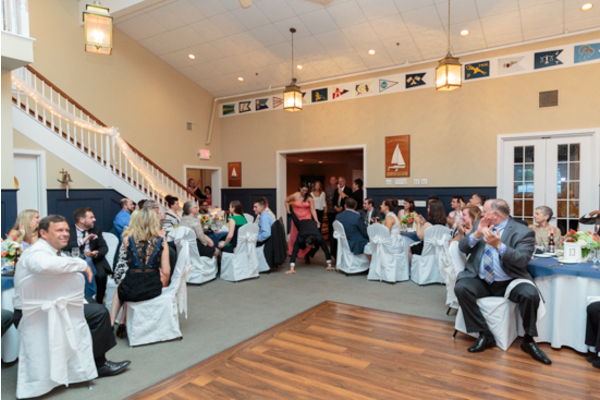 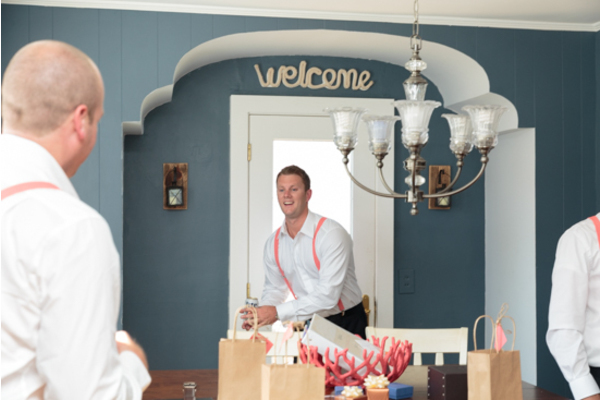 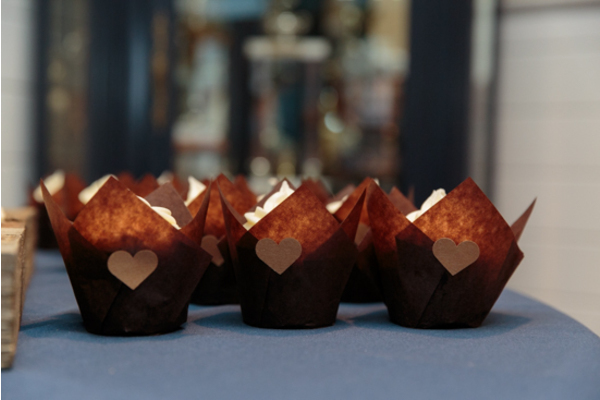 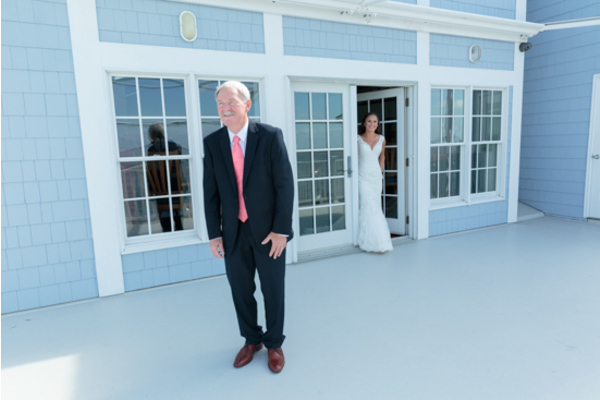 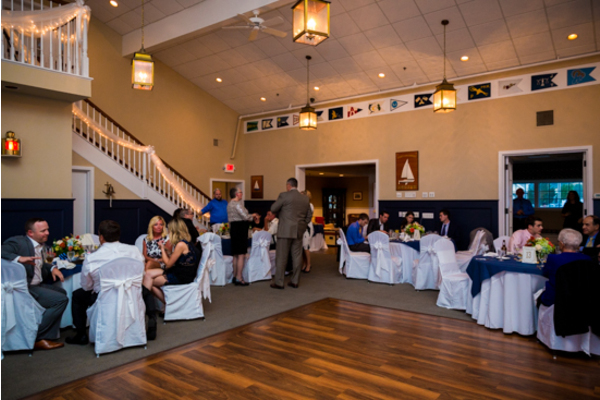 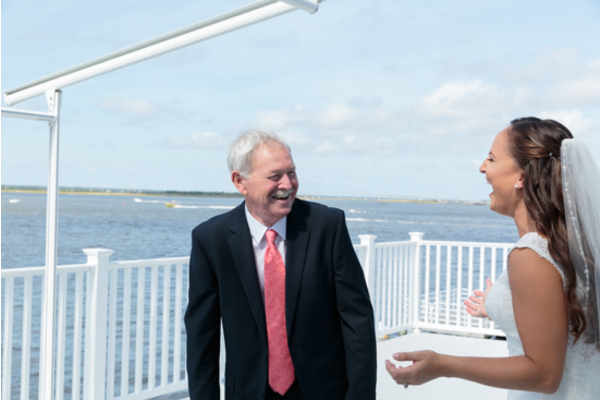 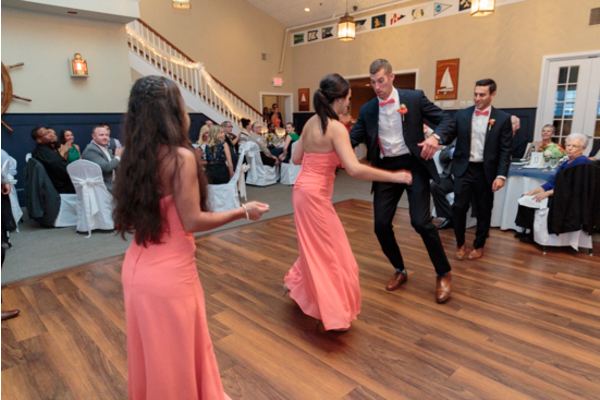 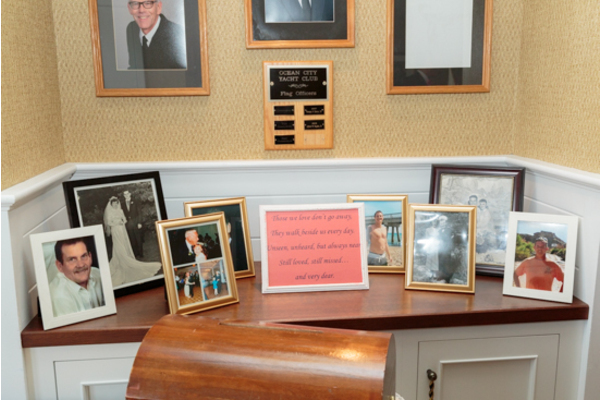 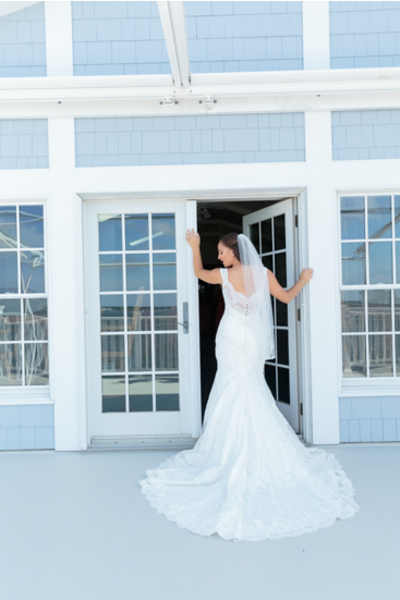 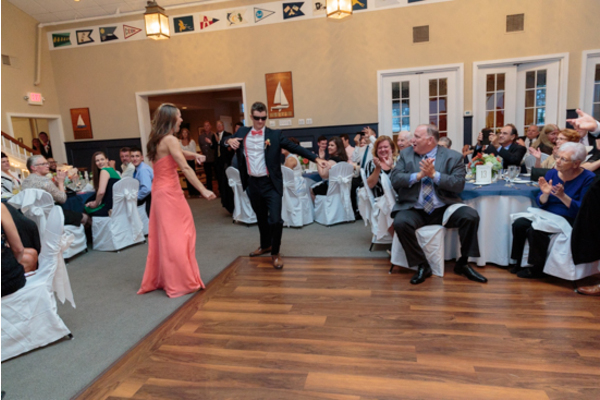 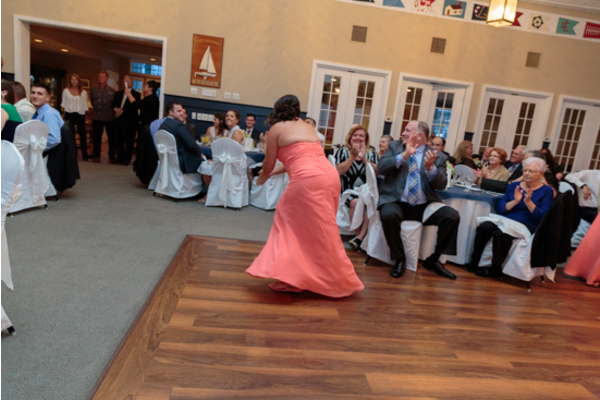 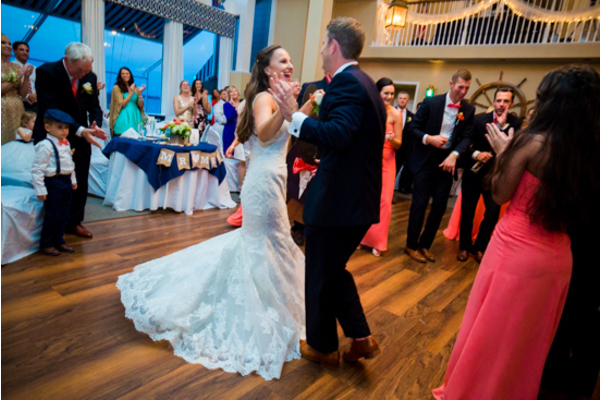 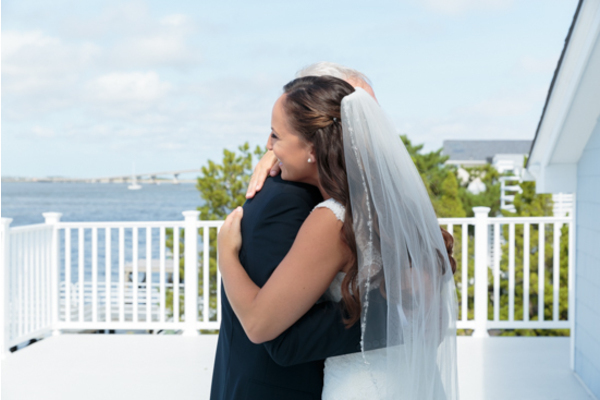 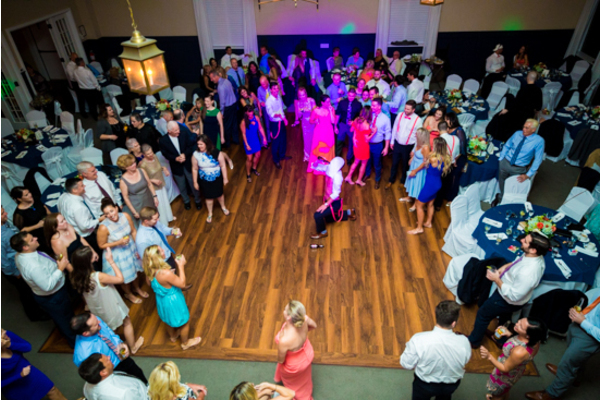 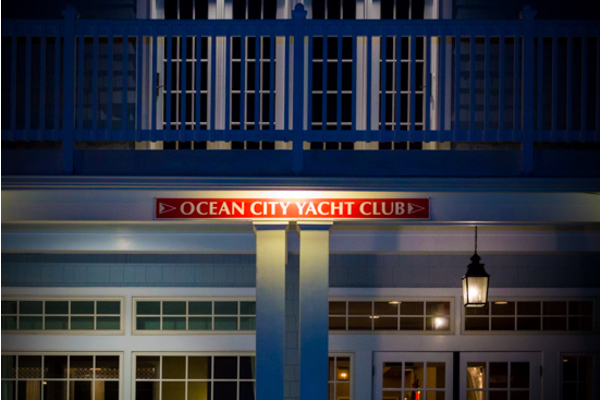 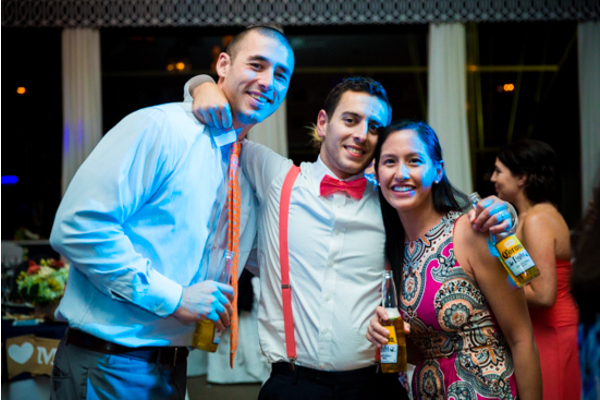 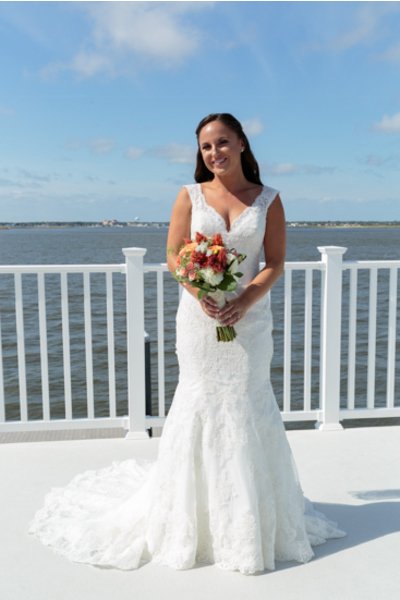 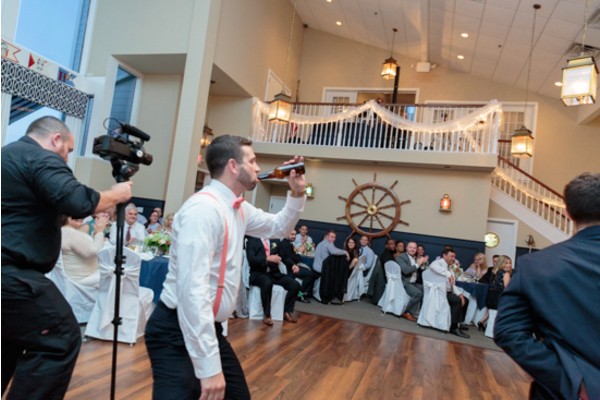 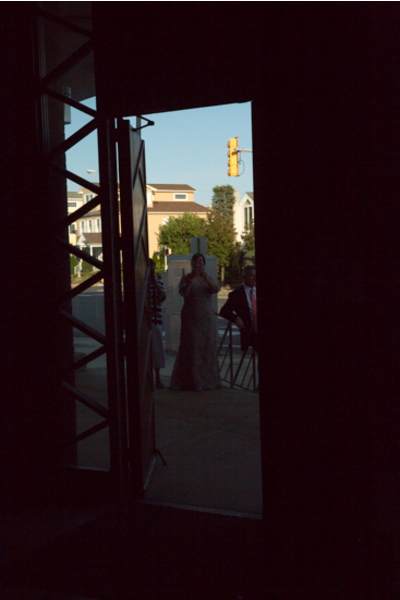 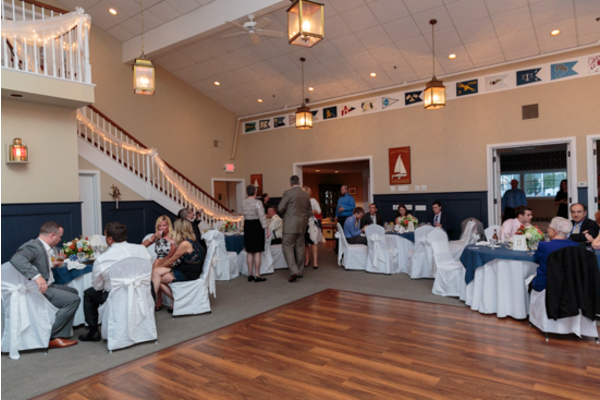 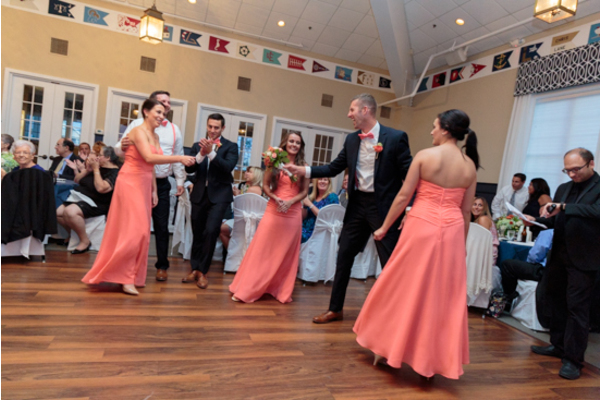 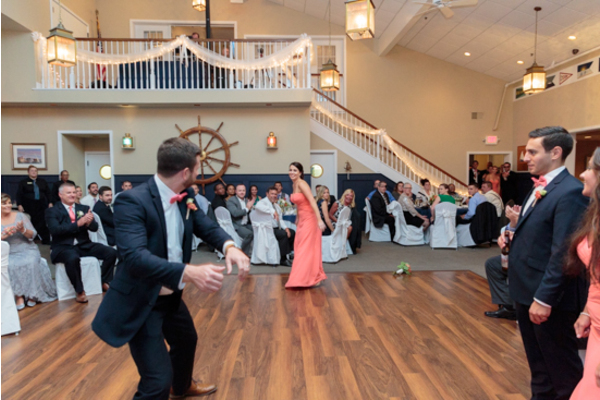 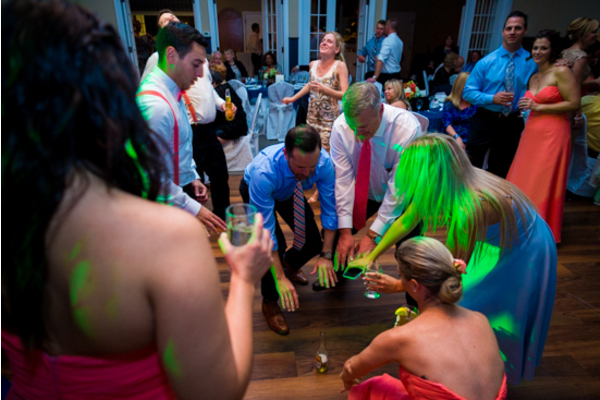 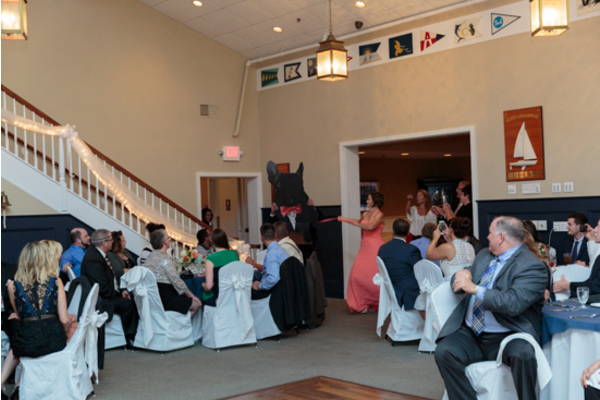 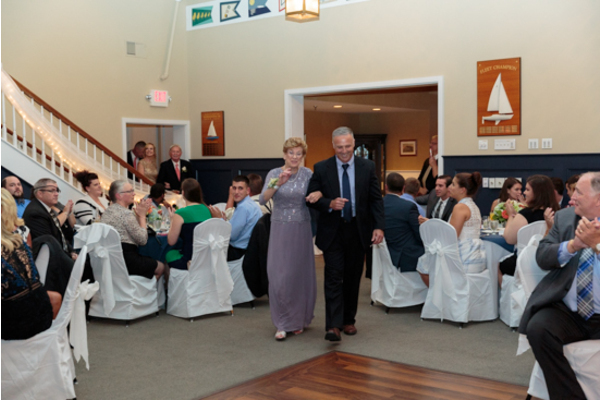 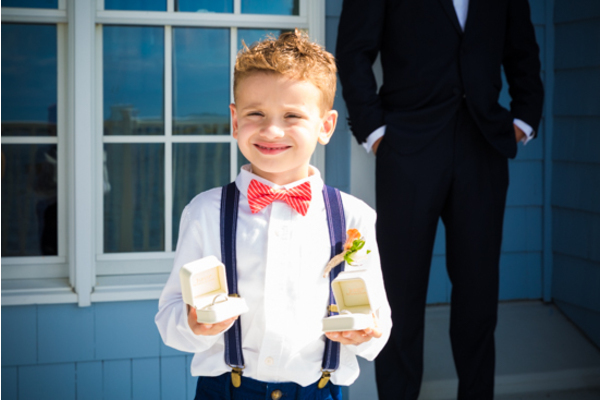 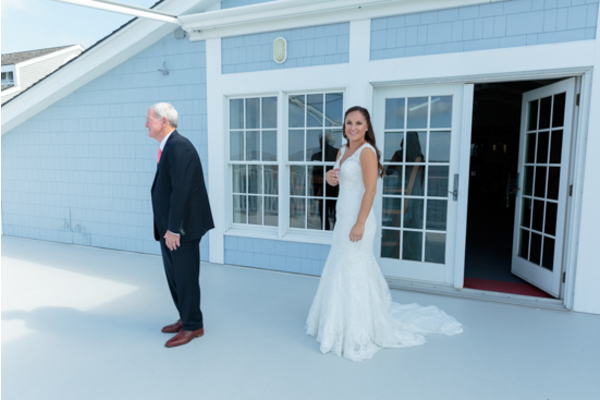 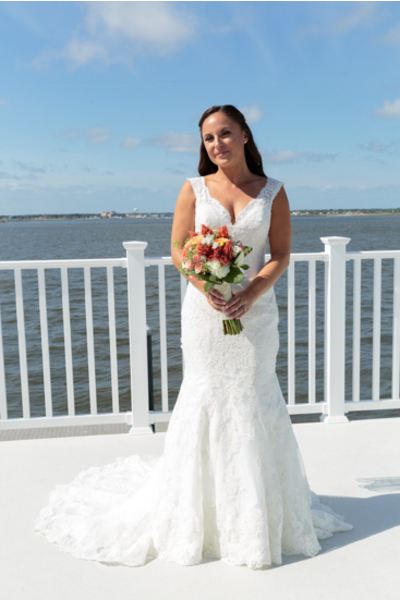 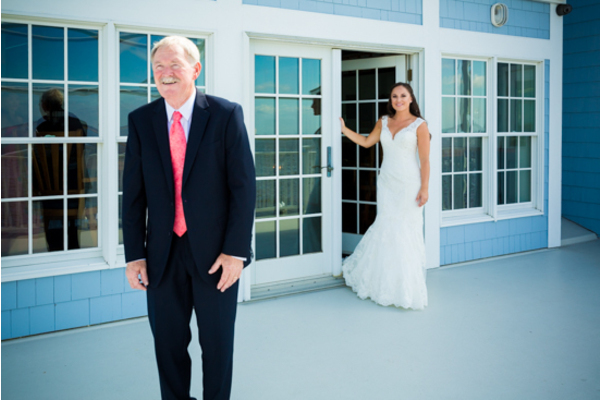 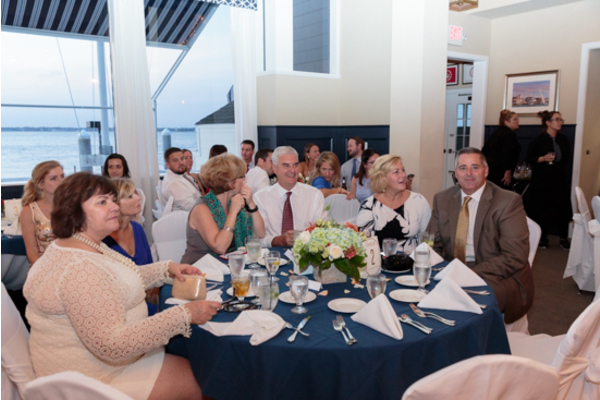 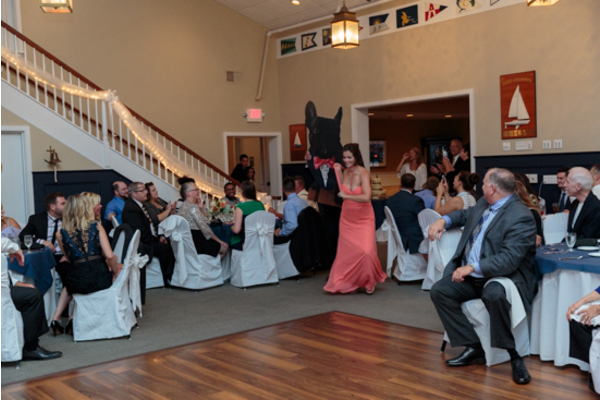 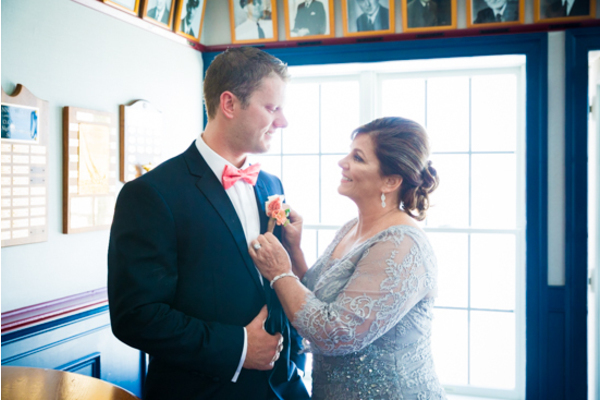 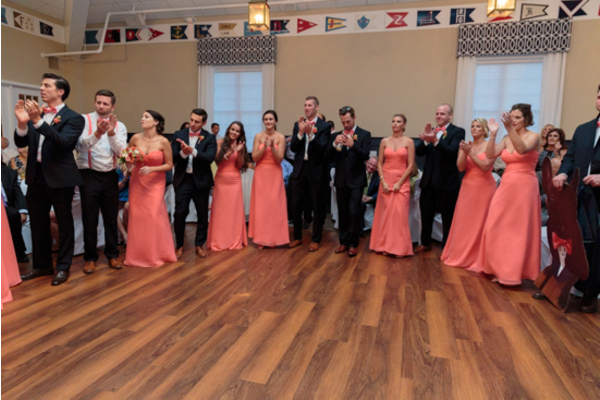 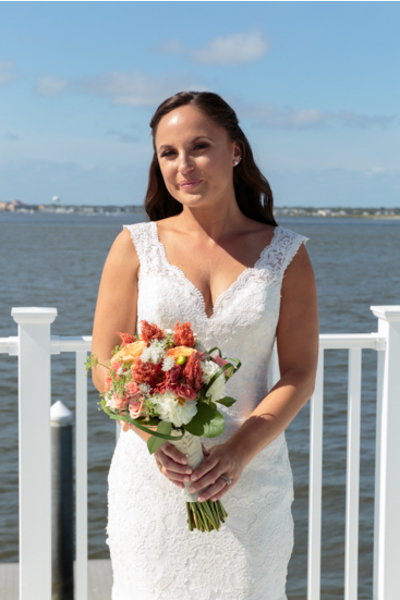 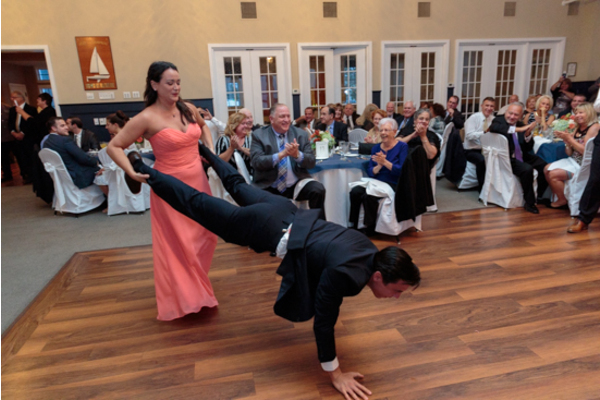 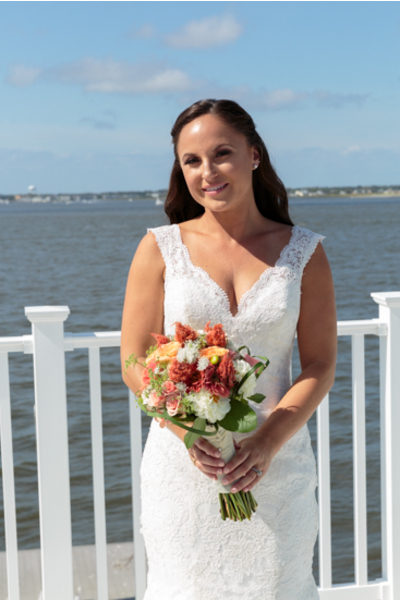 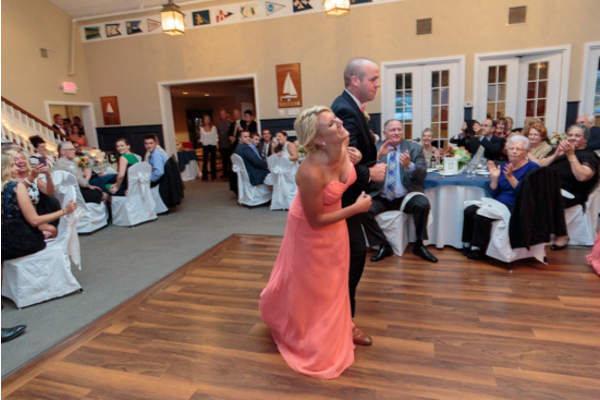 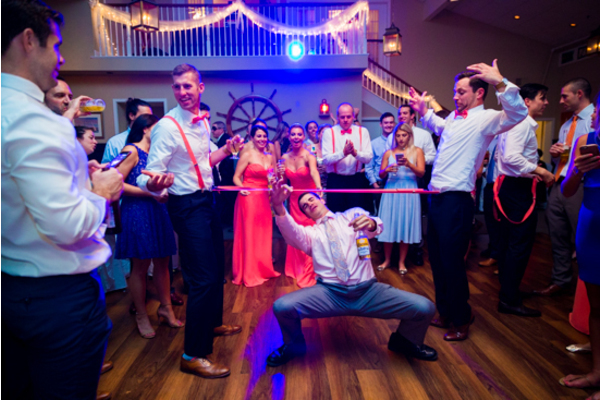 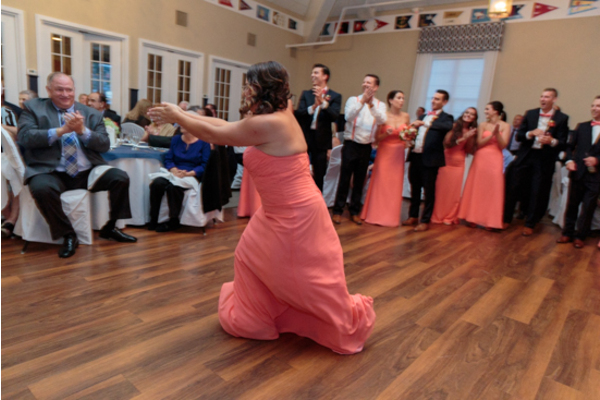 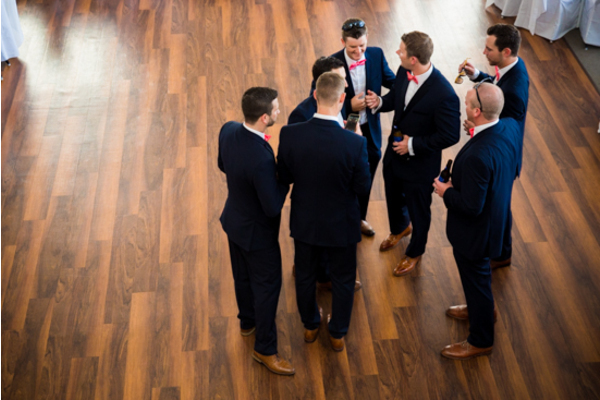 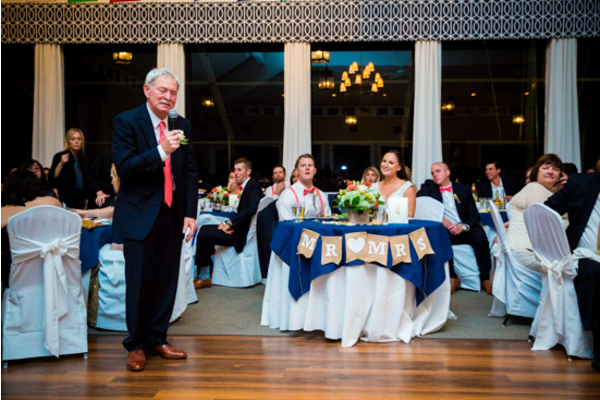 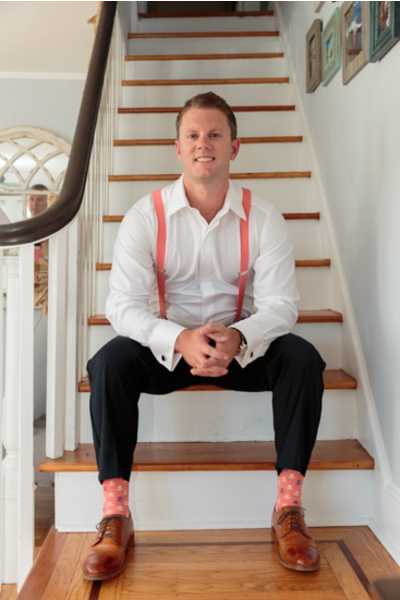 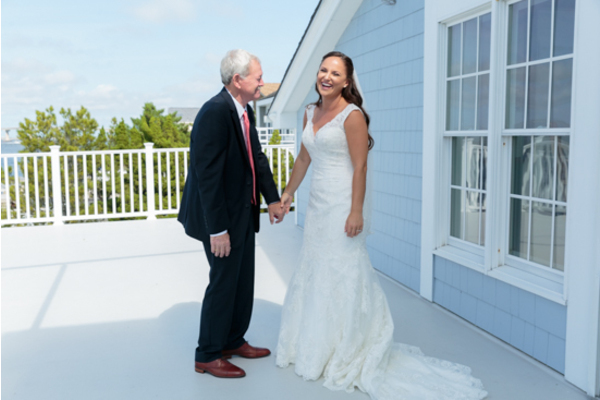 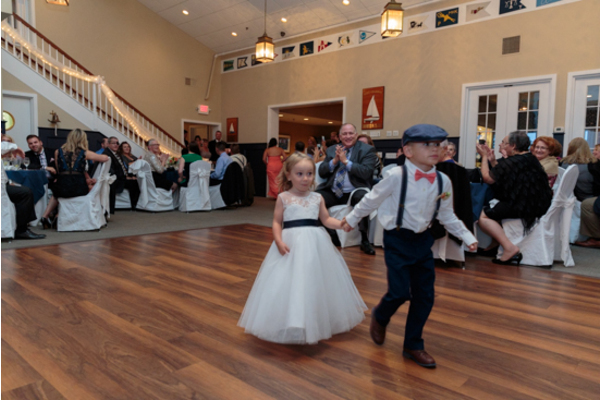 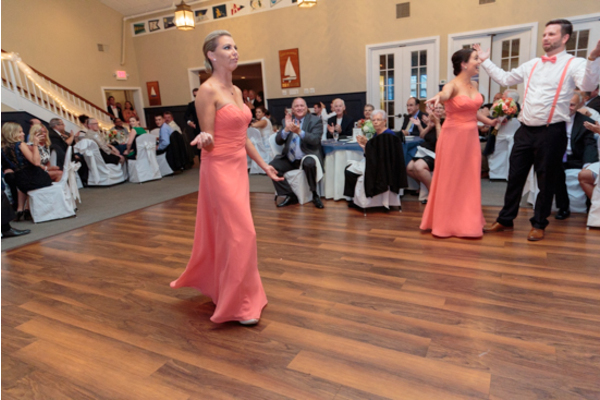 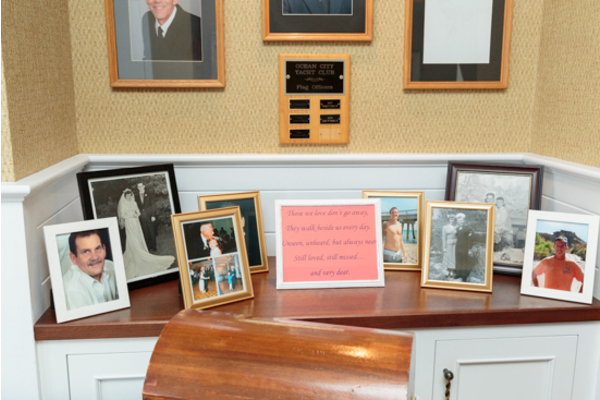 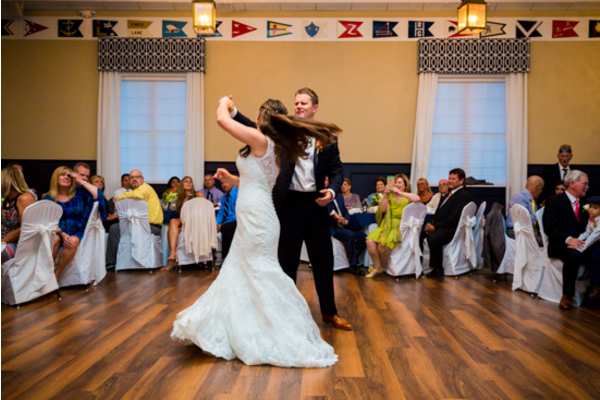 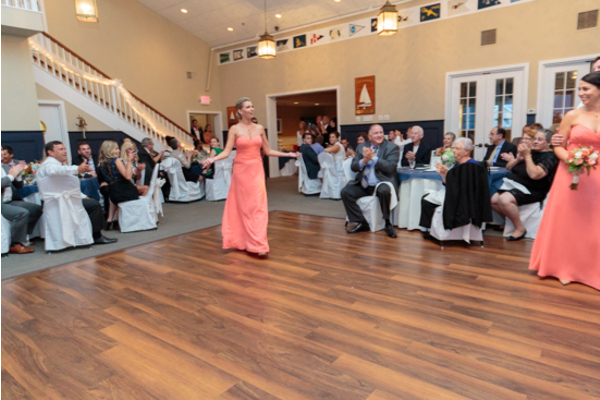 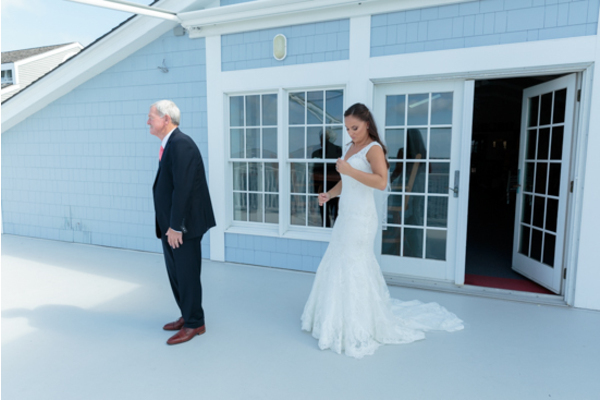 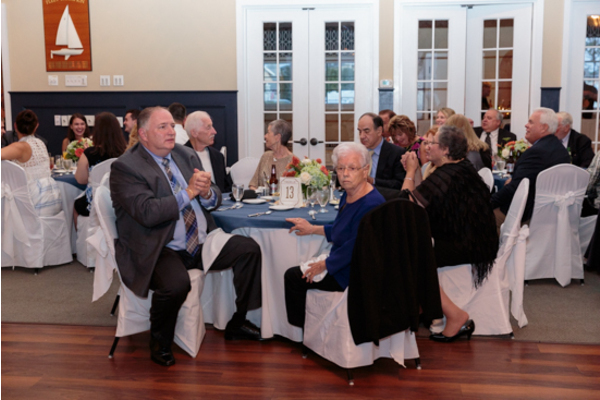 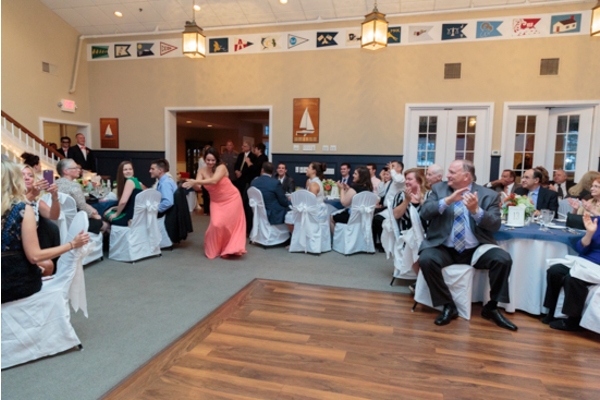 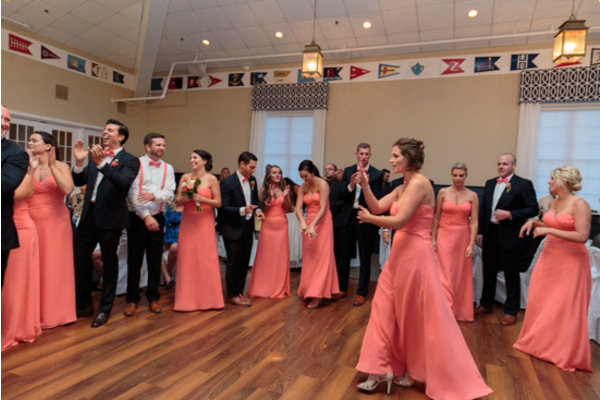 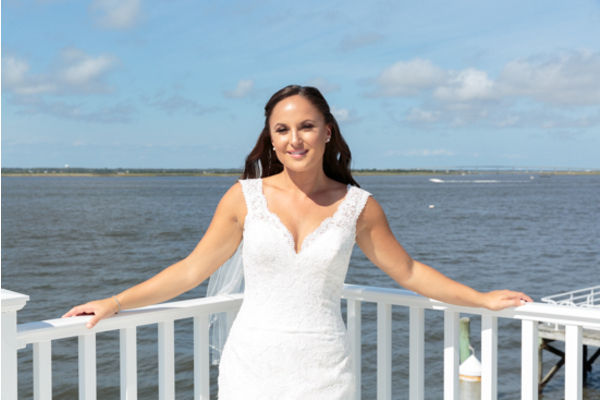 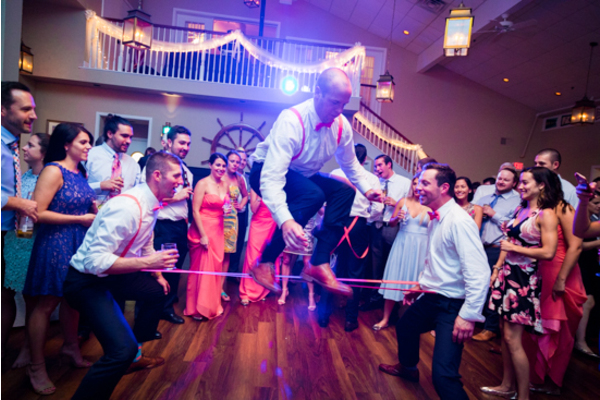 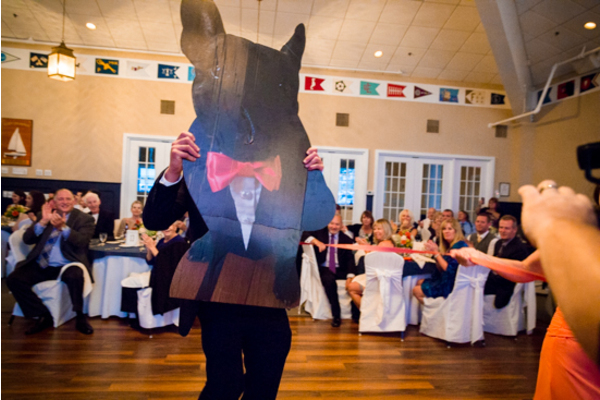 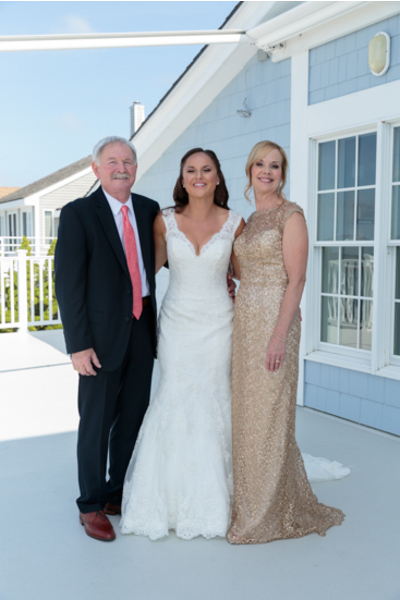 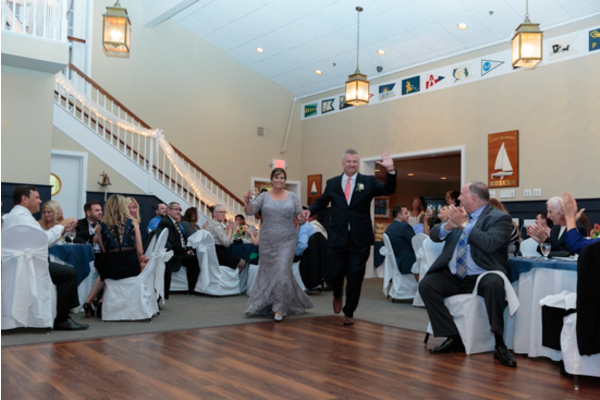 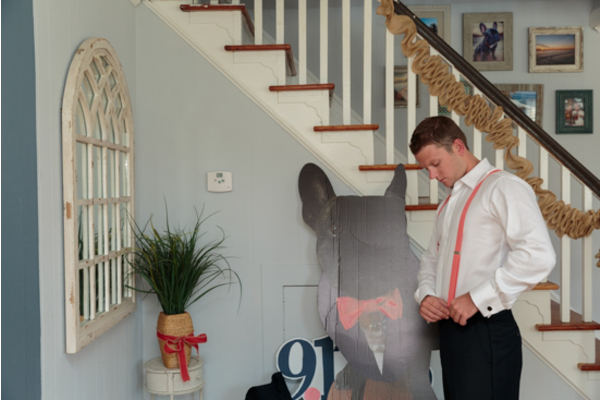 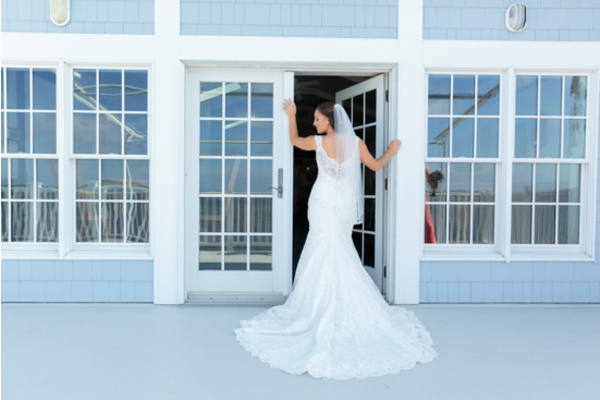 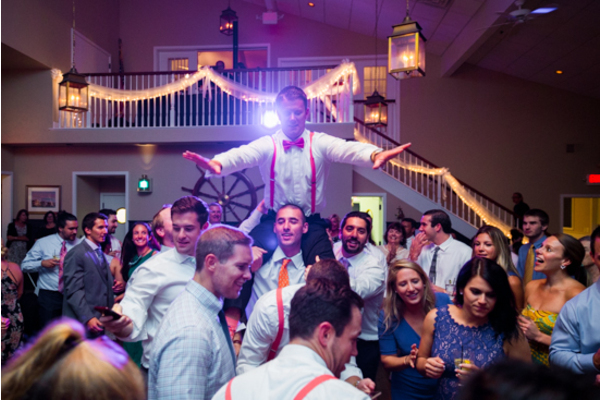 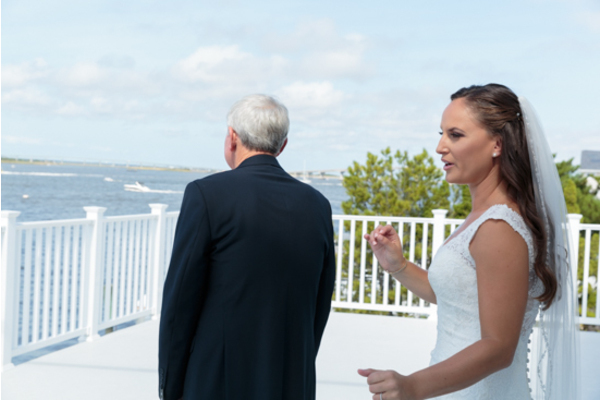 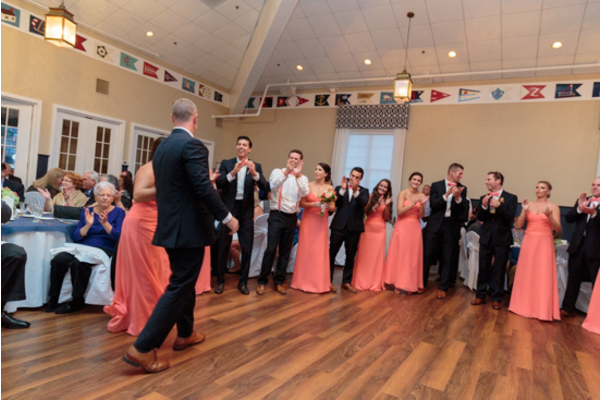 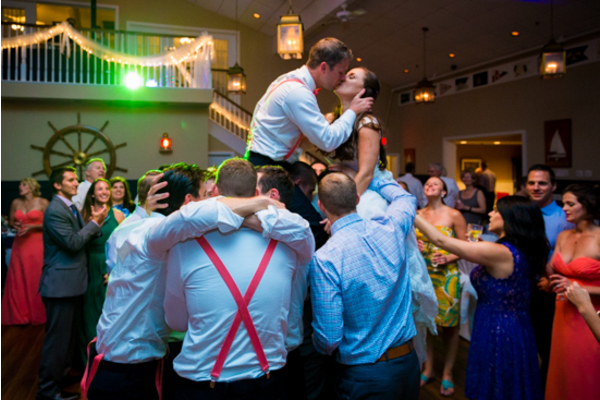 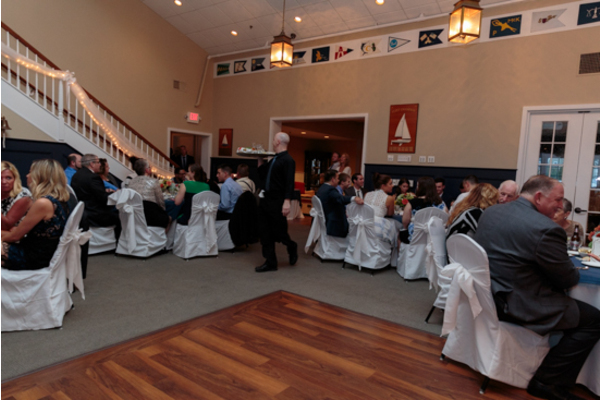 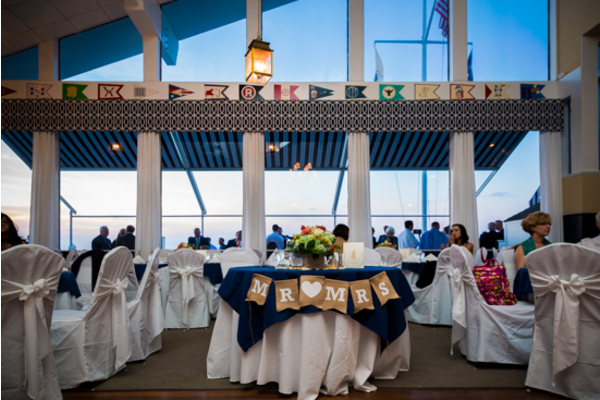 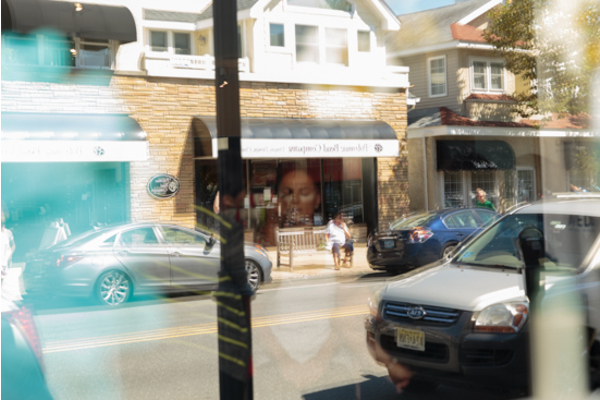 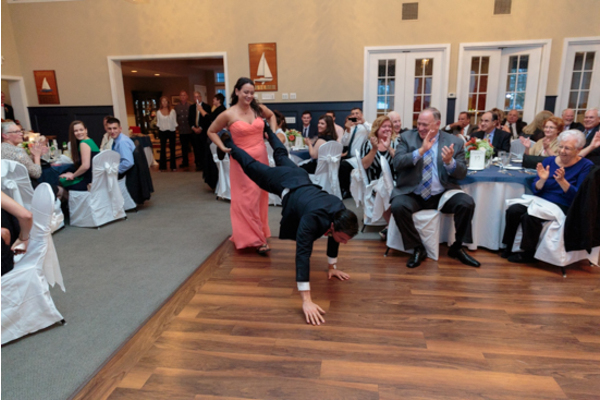 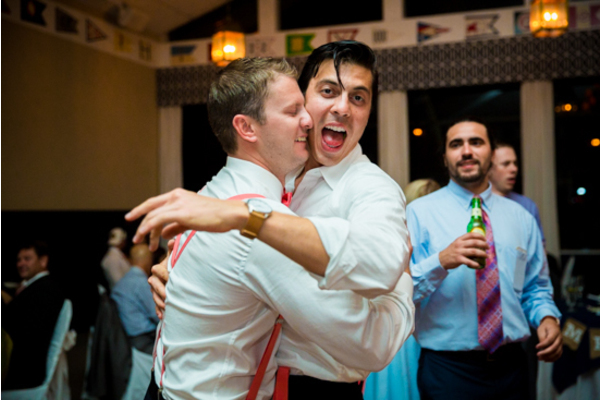 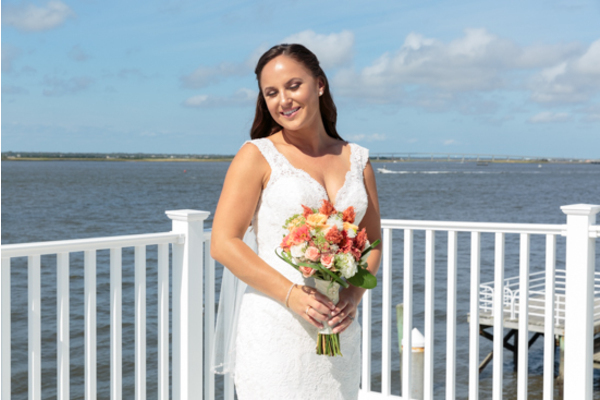 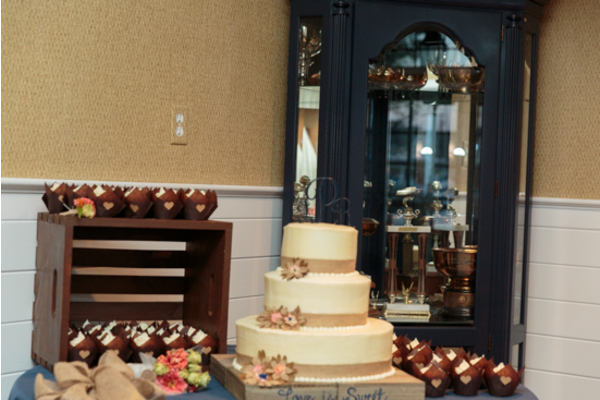 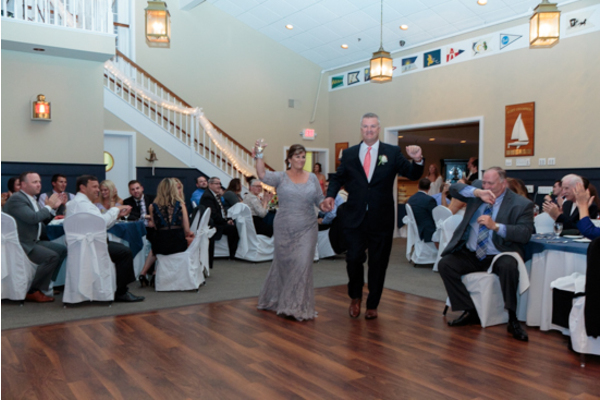 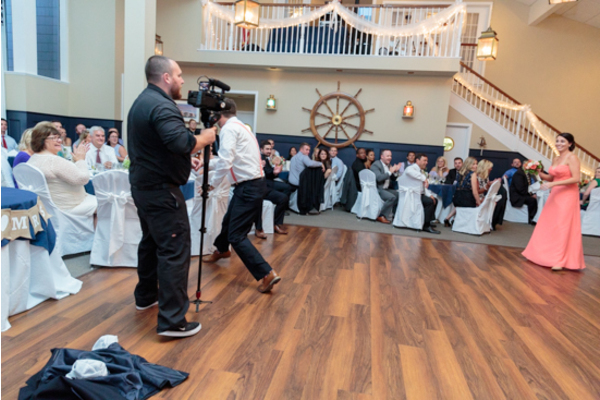 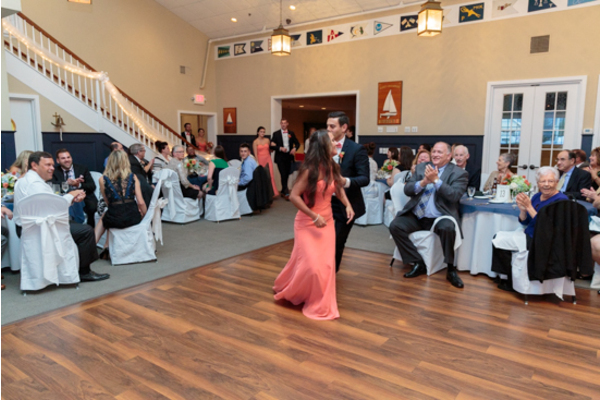 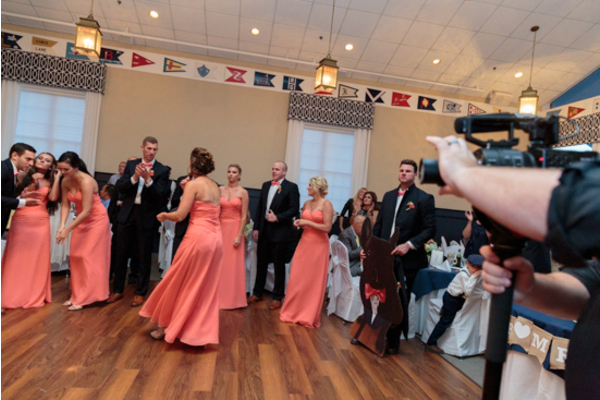 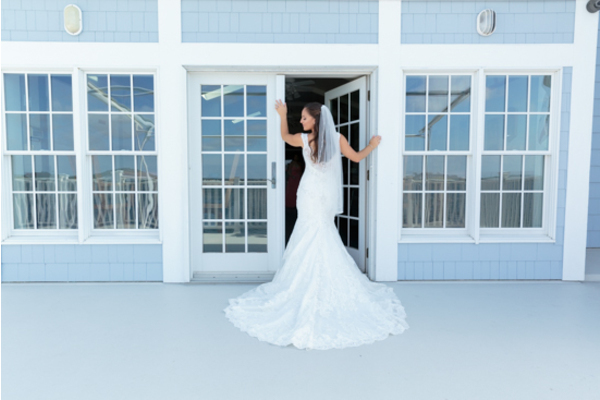 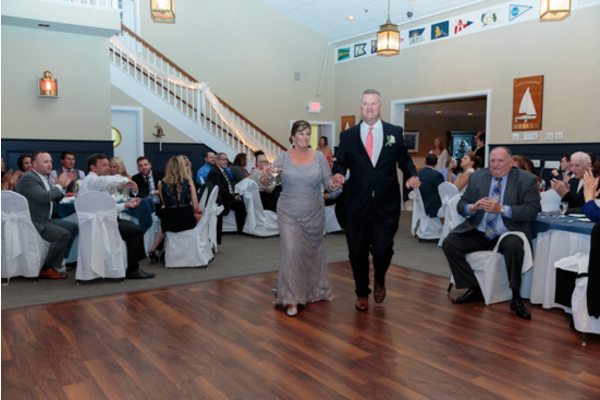 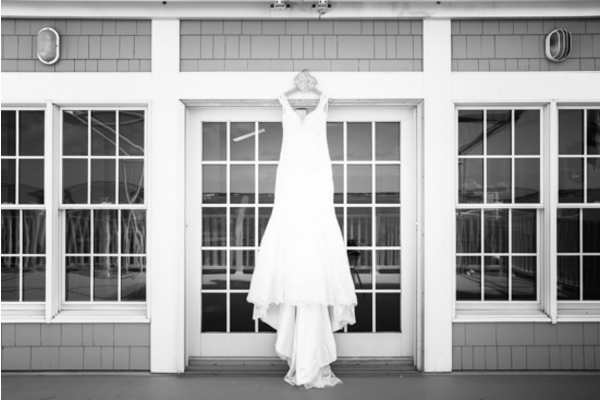 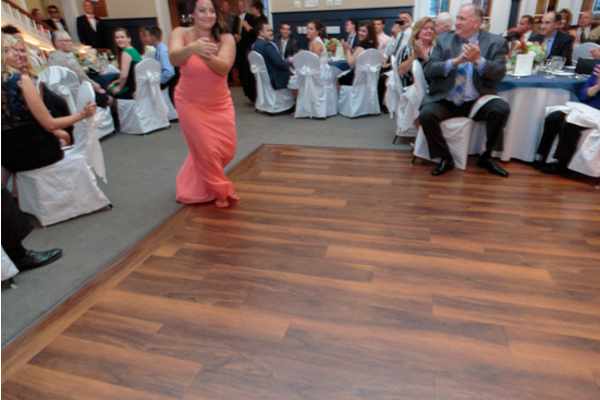 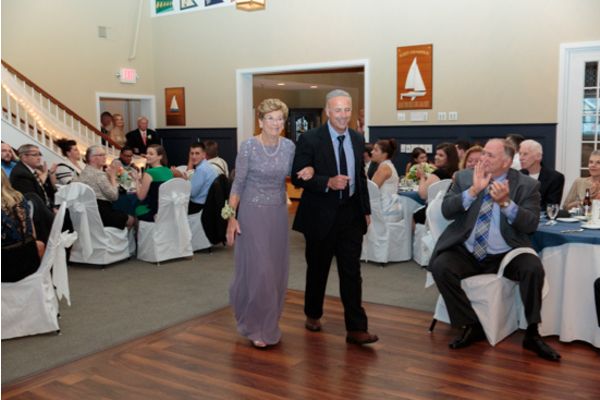 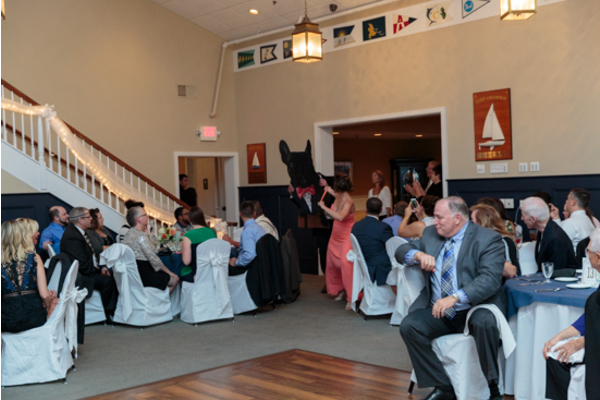 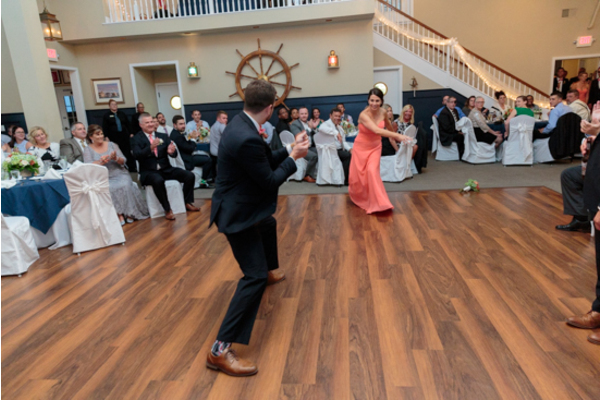 The reception was held at the historic Ocean City Yacht Club. 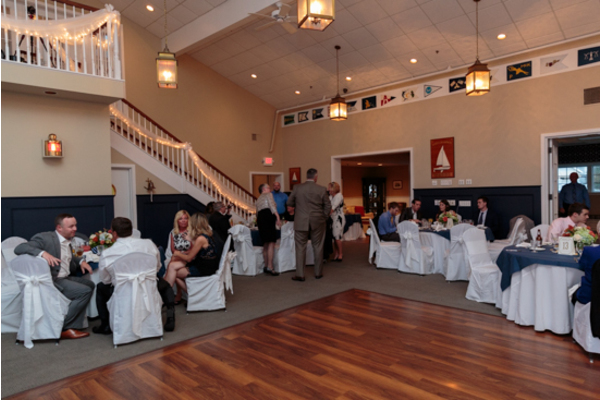 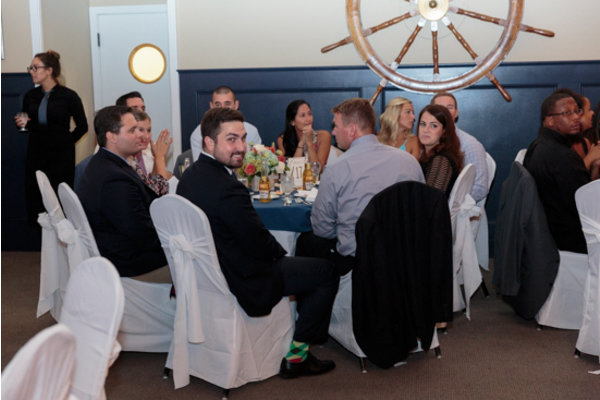 The OC Yacht Club was a terrific venue for the evening as it hosted the most important night of Rebecca and Justin’s lives.